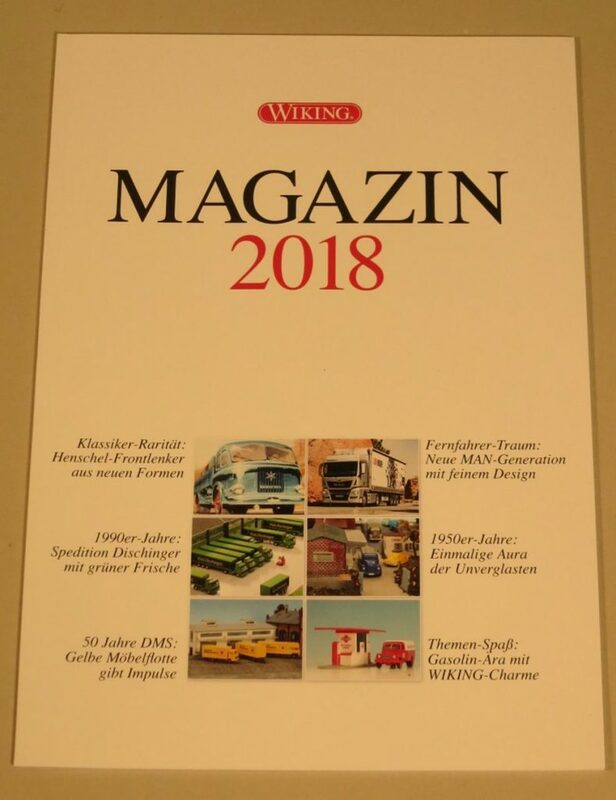 This article covers the models that Wiking expect to release in August 2018. 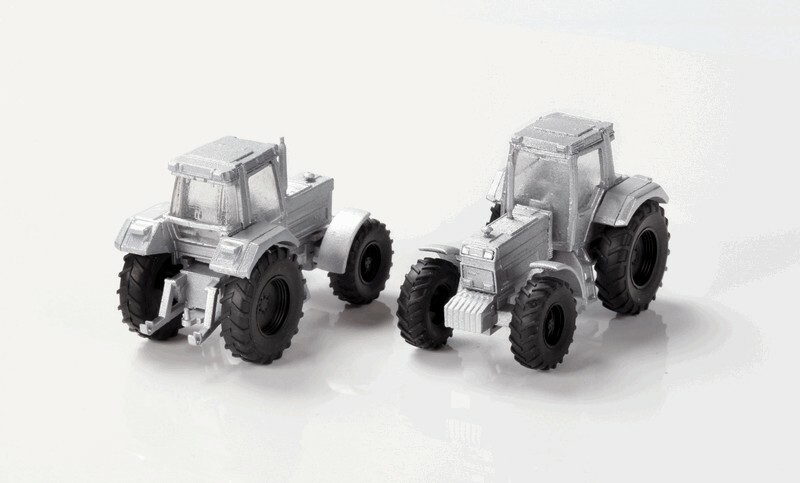 As usual there are some new items and several upgrades based on existing mouldings. 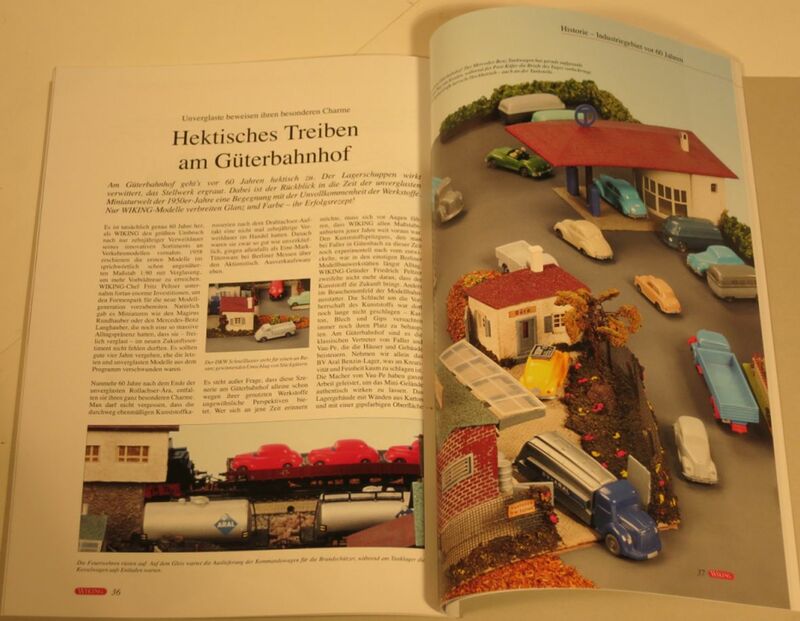 All text is by, and copyright of the Author. 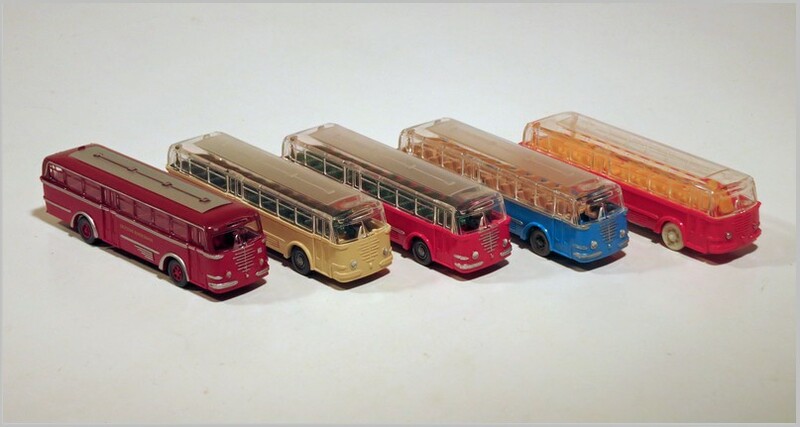 Photographs in the Büssing Trambus section below are by, and copyright of, the Author. 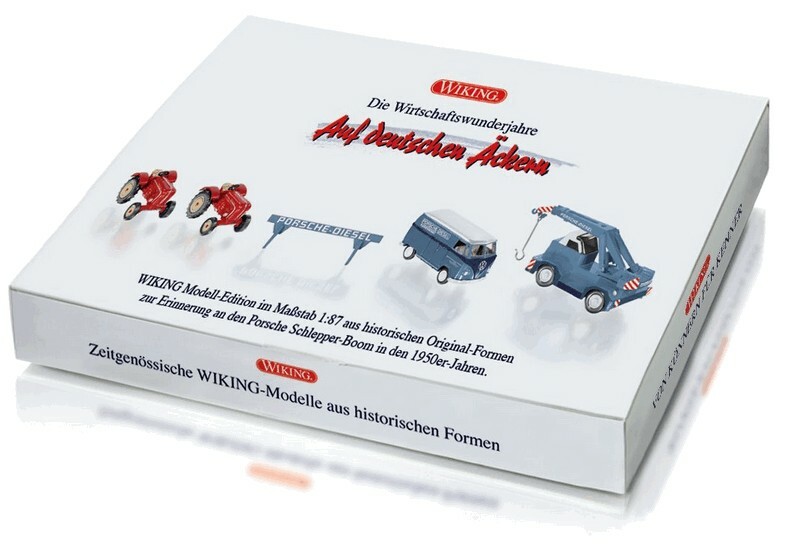 The photographs of the July release are all provided by and copyright of Wiking. 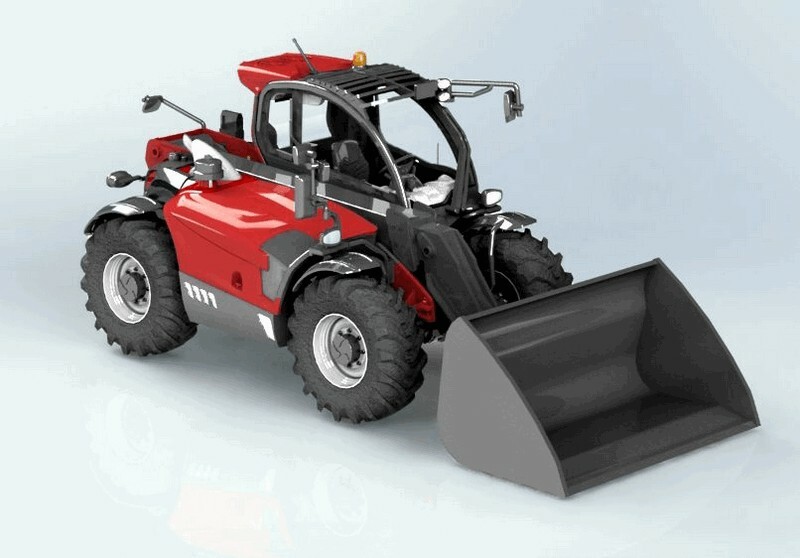 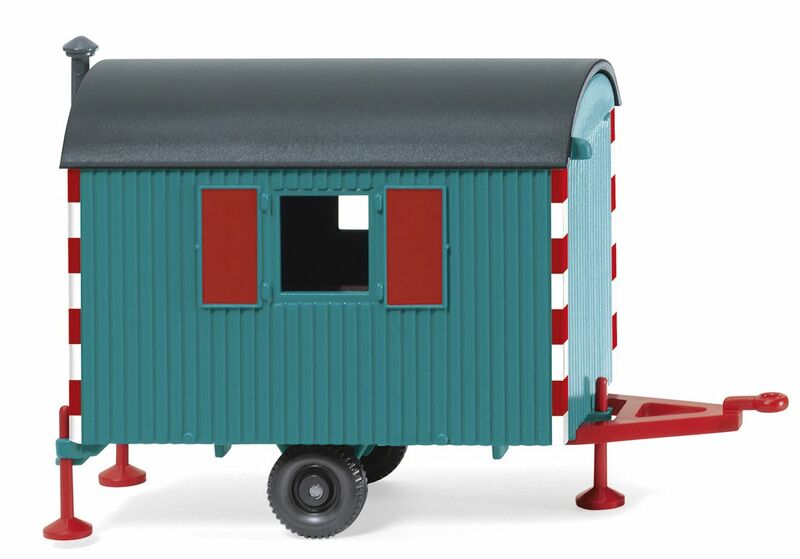 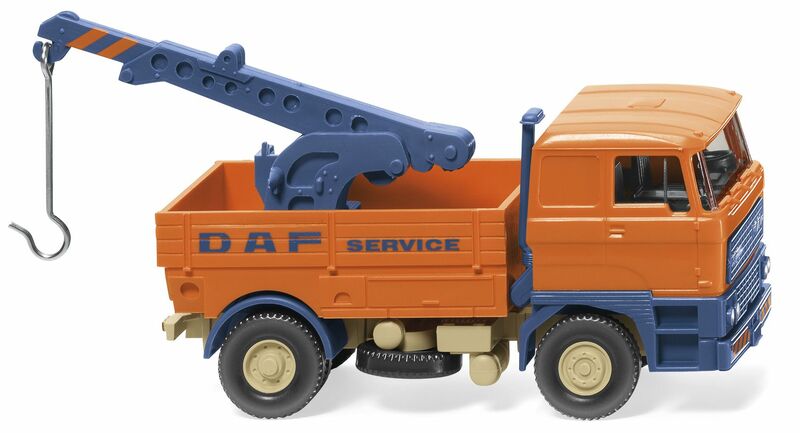 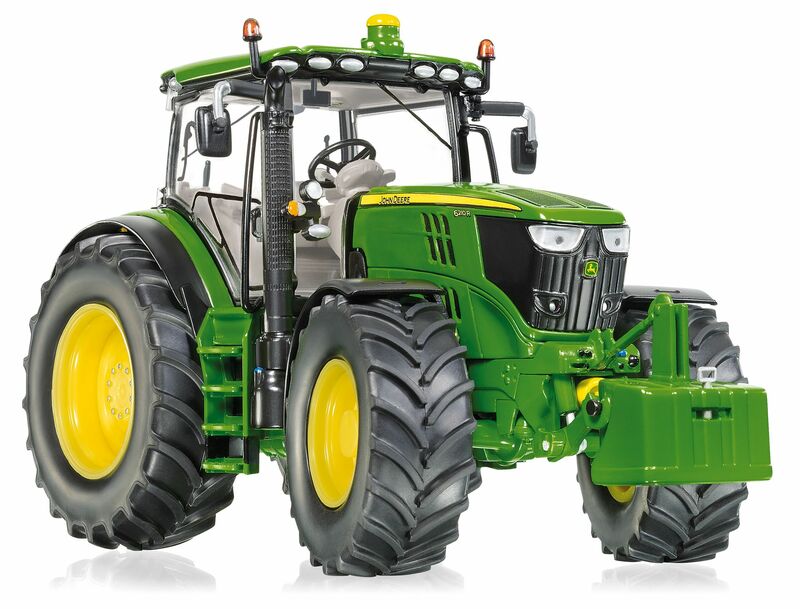 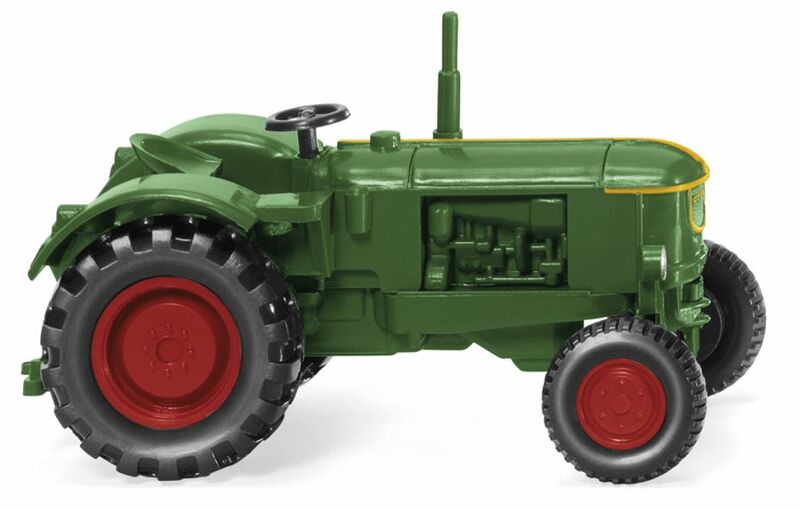 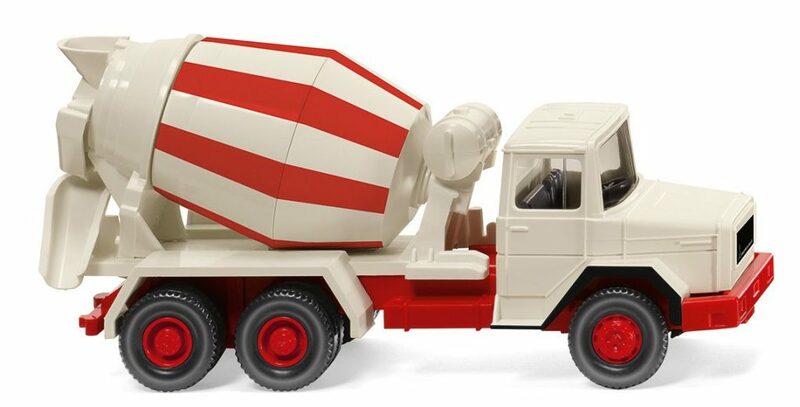 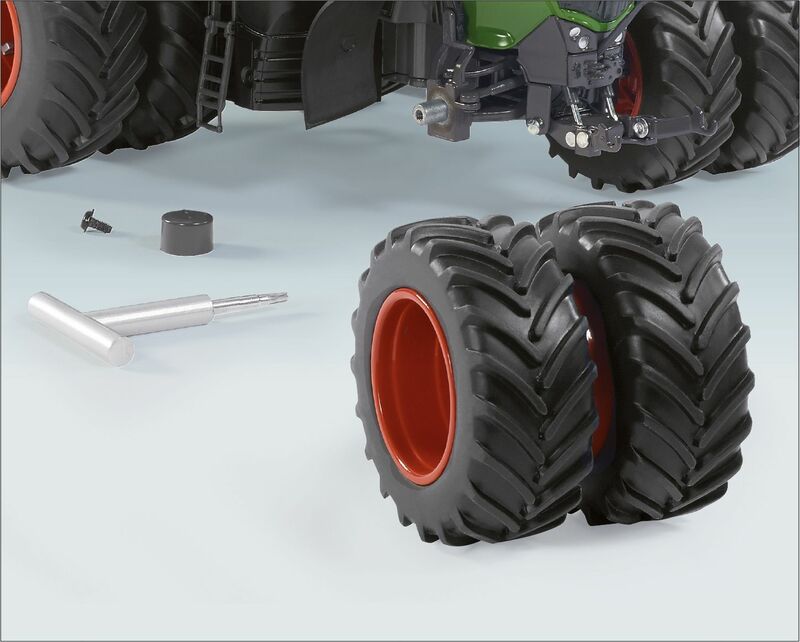 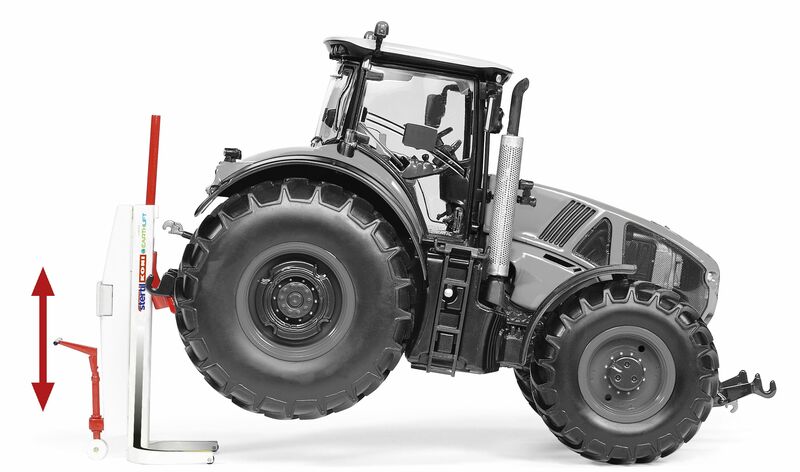 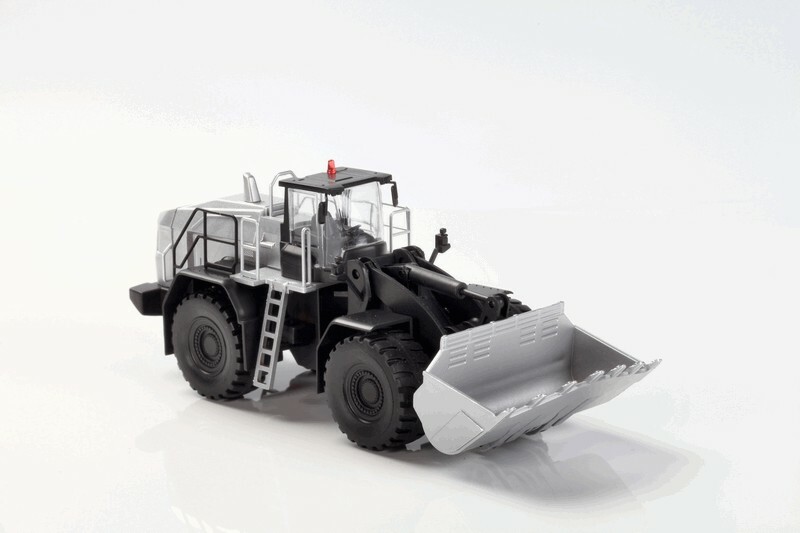 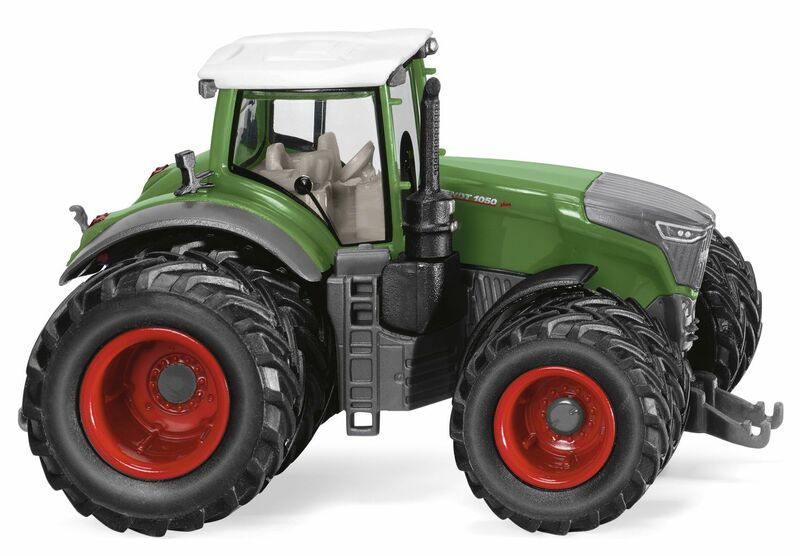 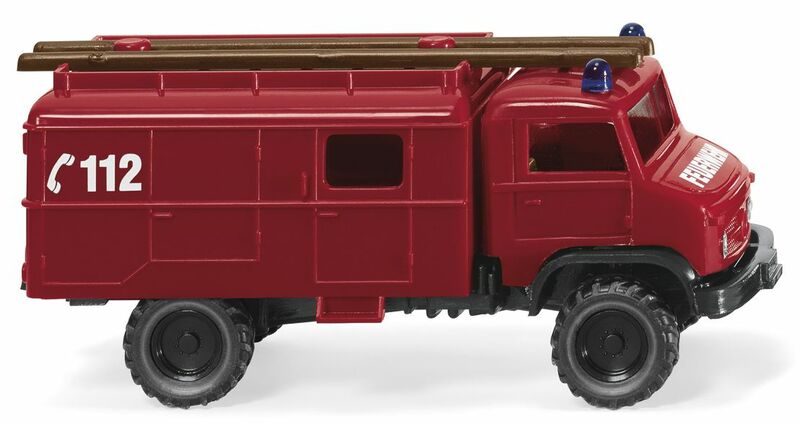 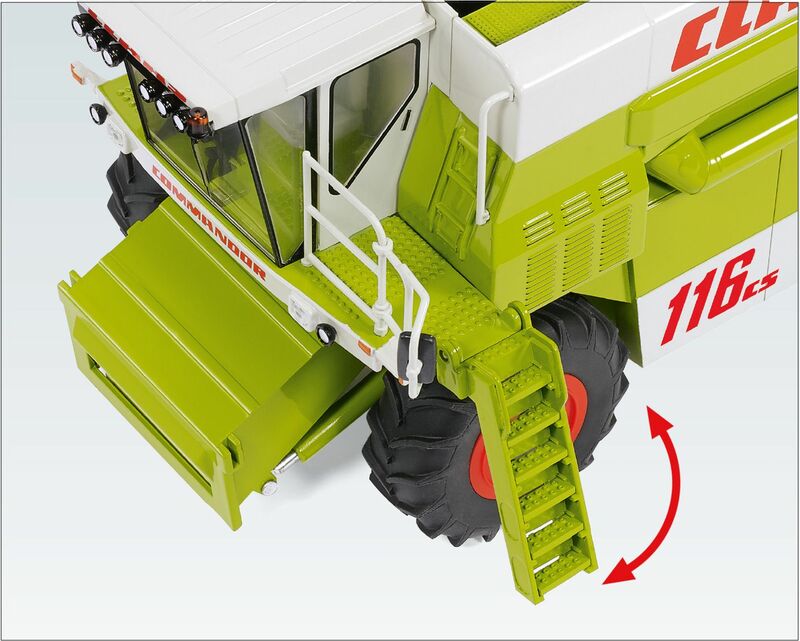 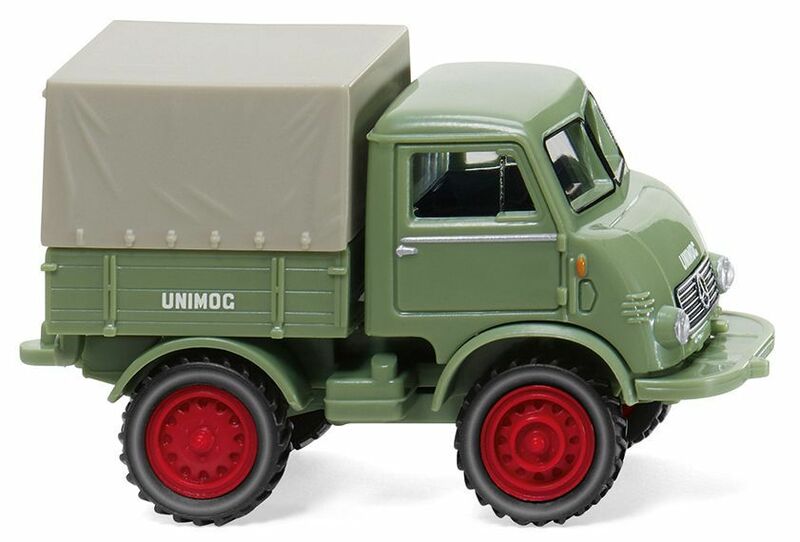 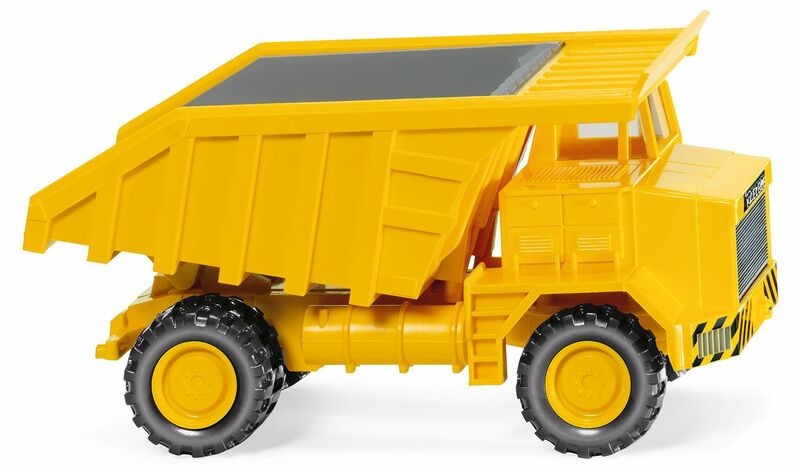 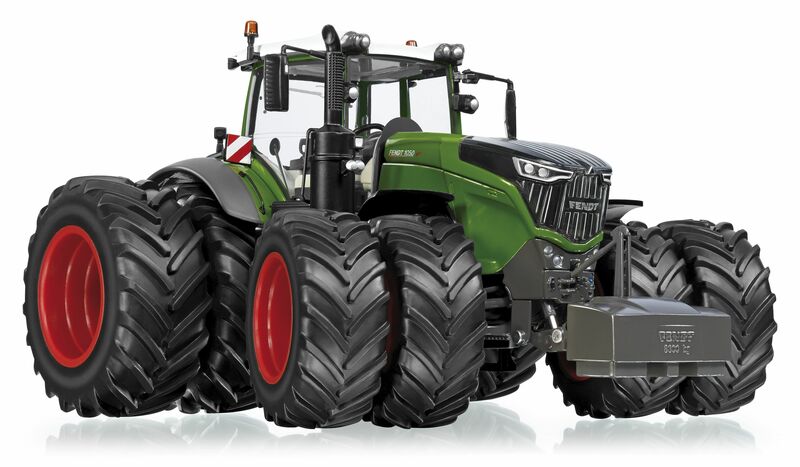 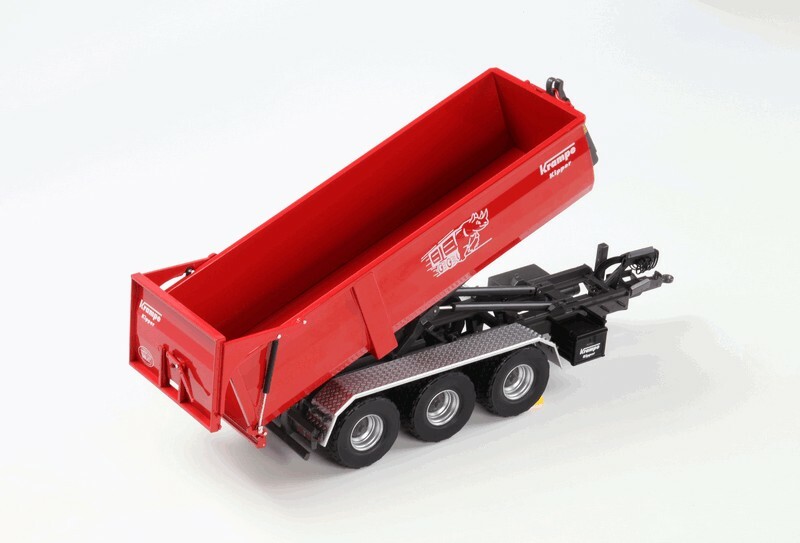 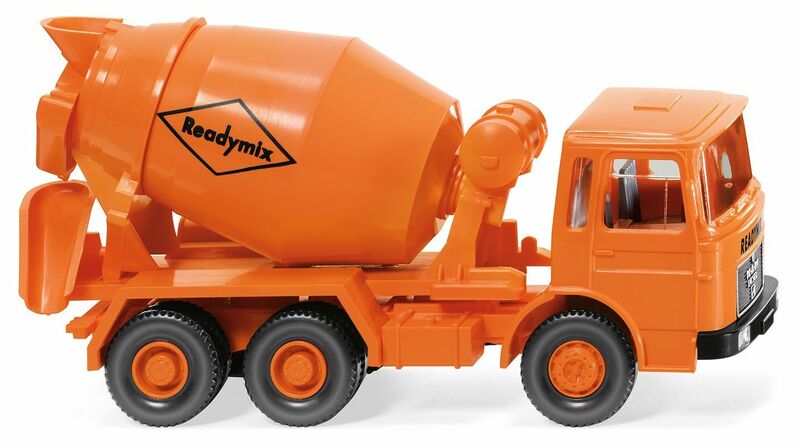 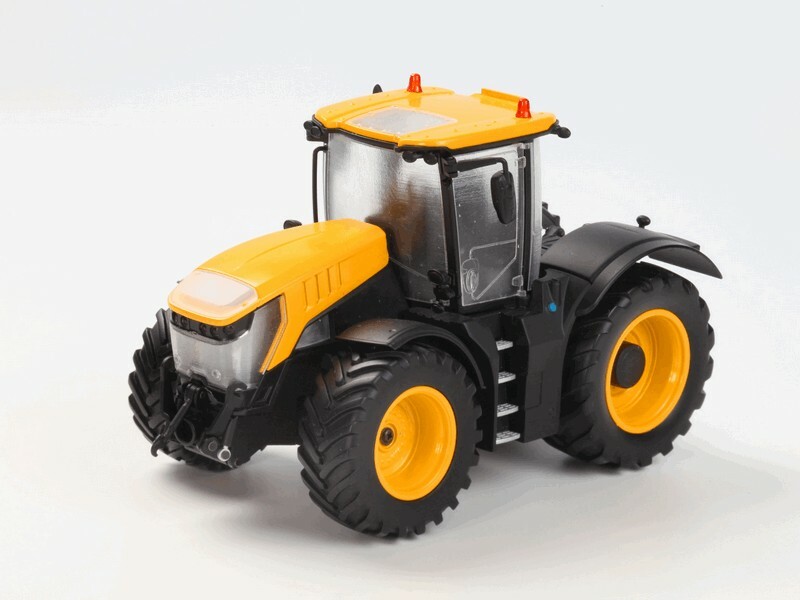 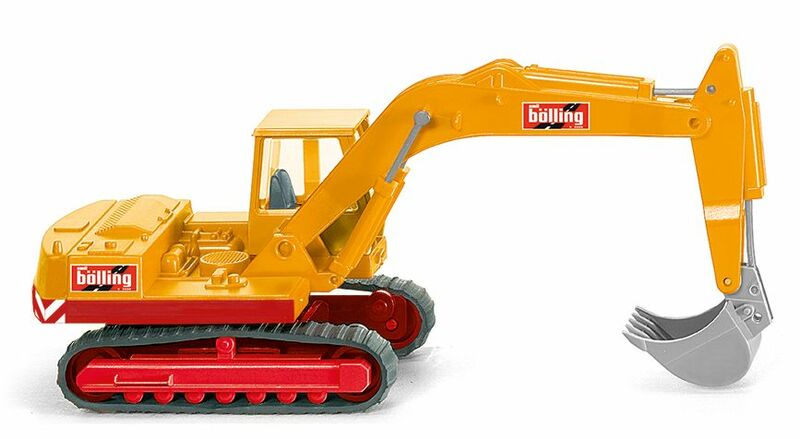 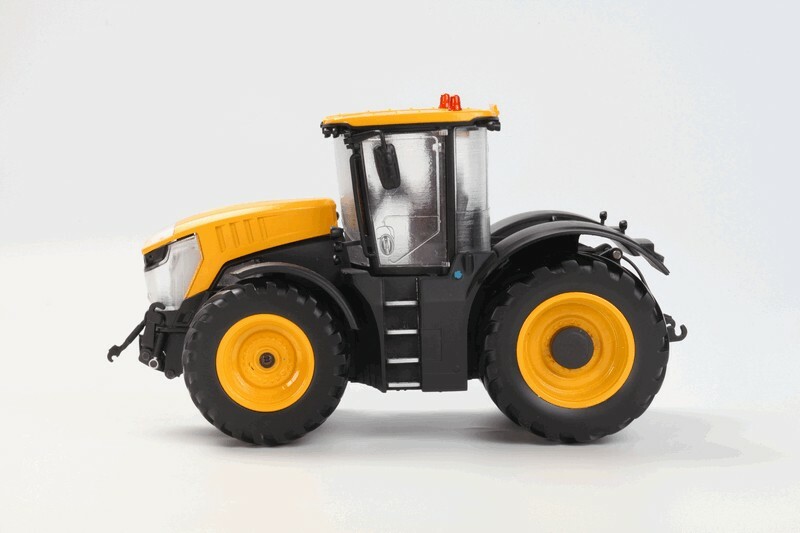 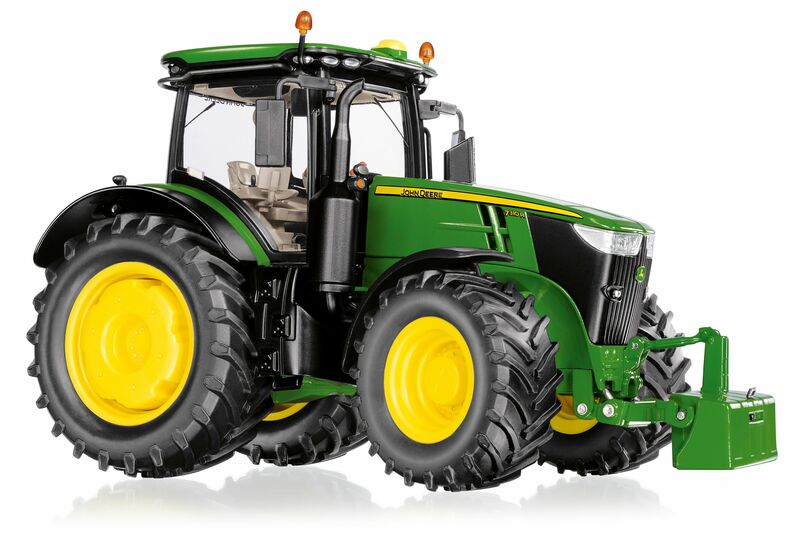 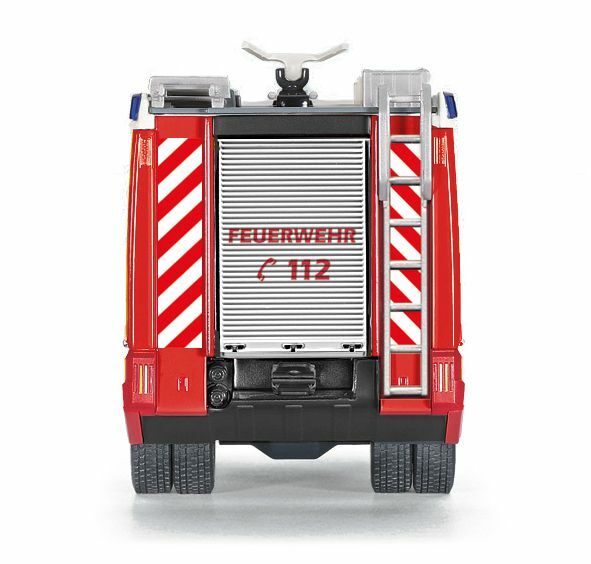 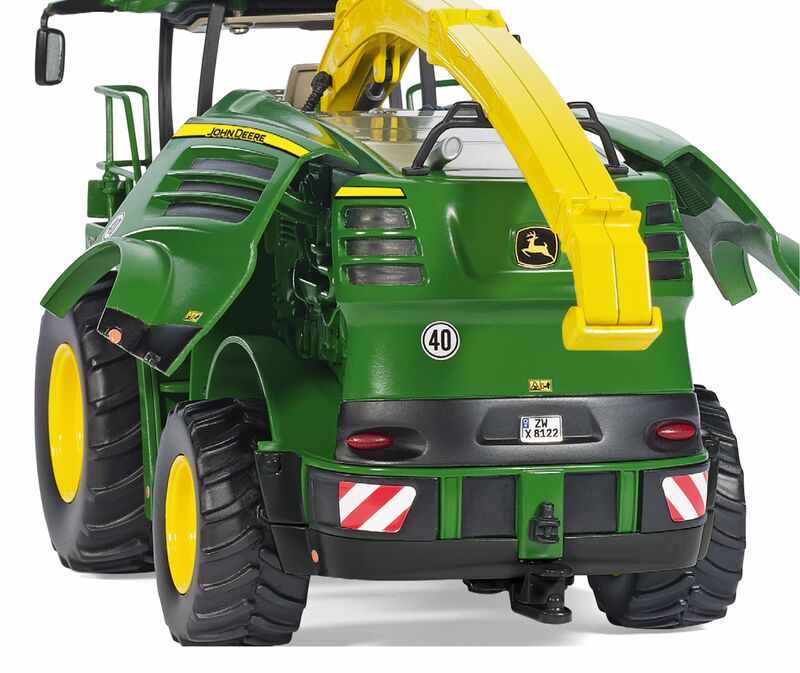 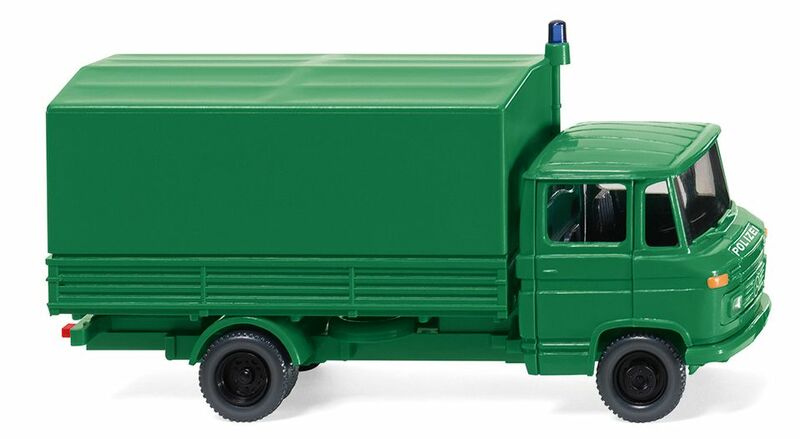 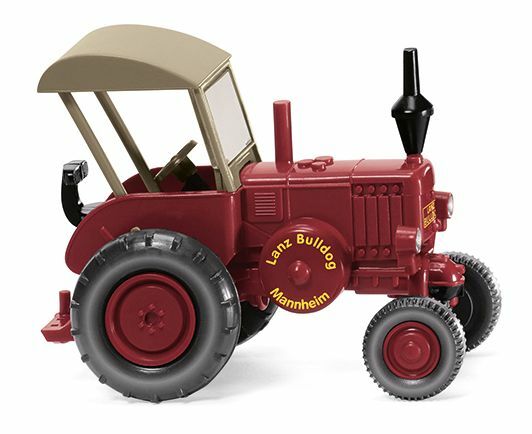 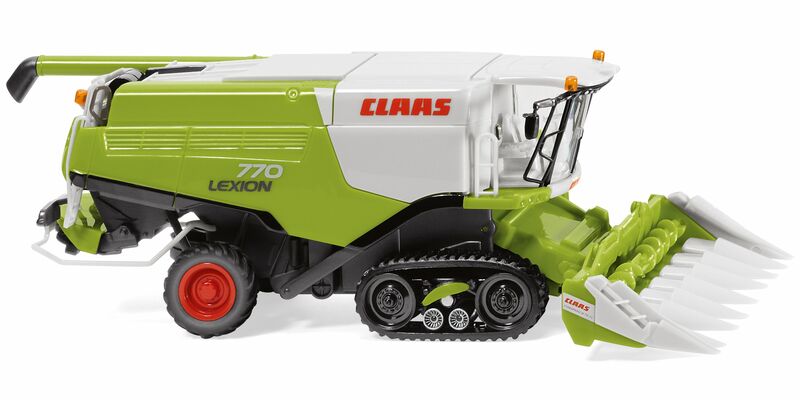 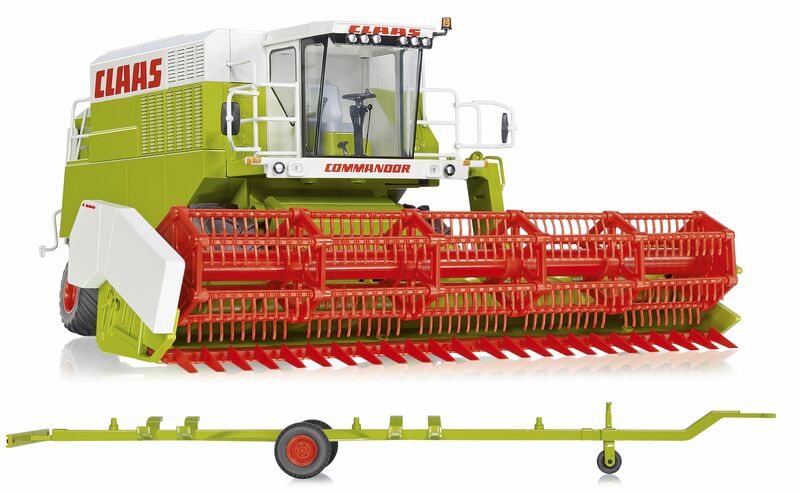 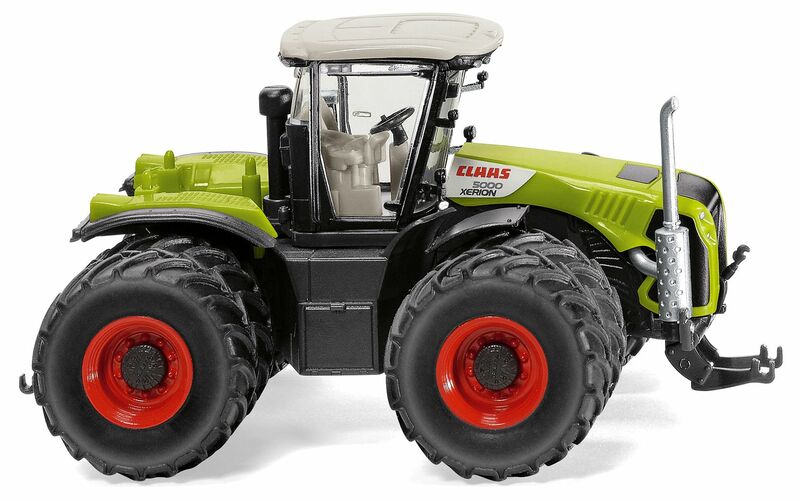 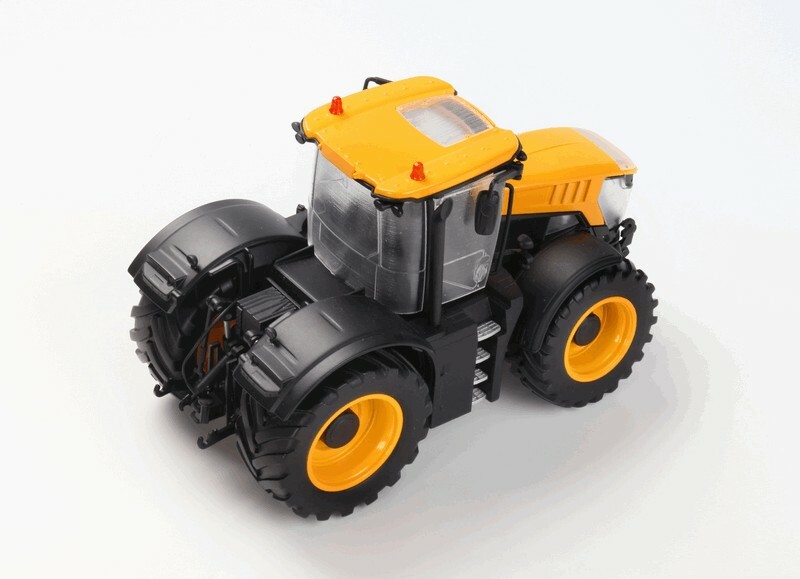 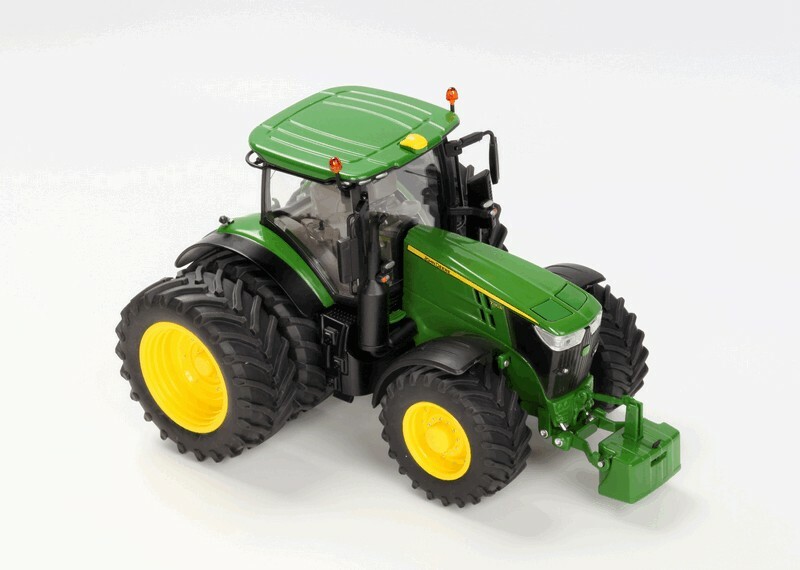 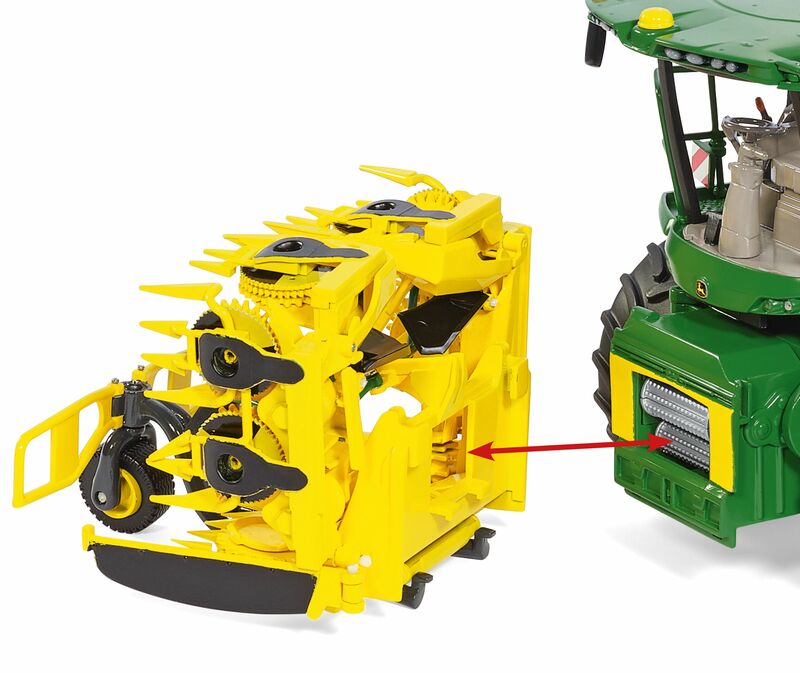 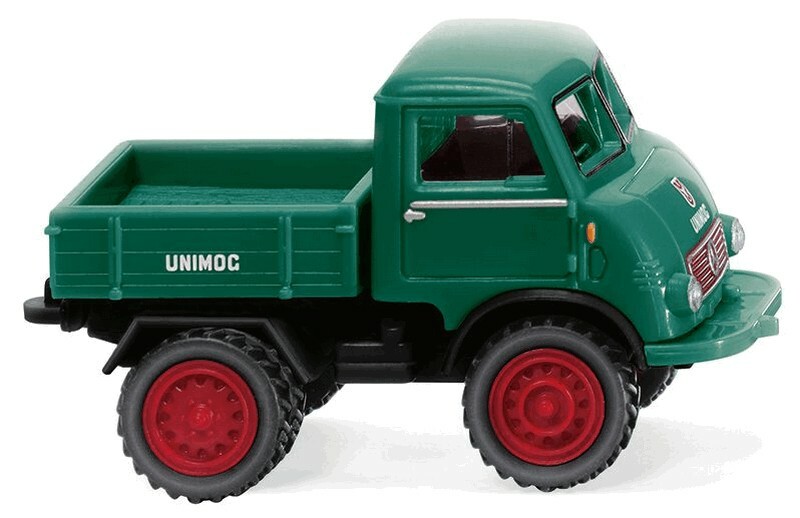 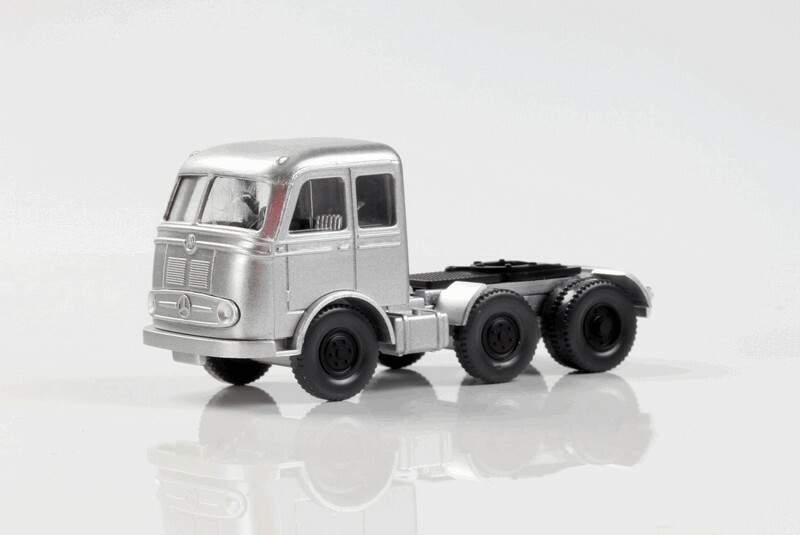 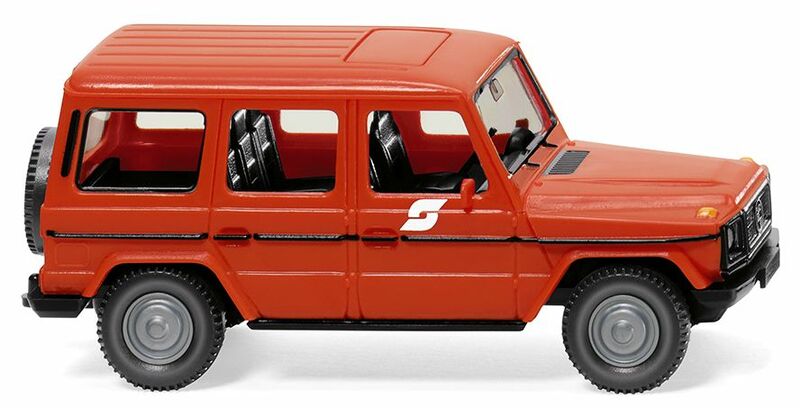 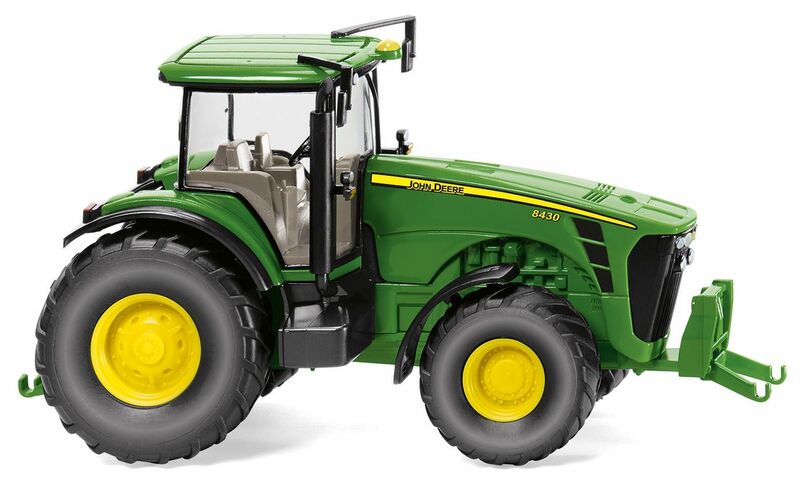 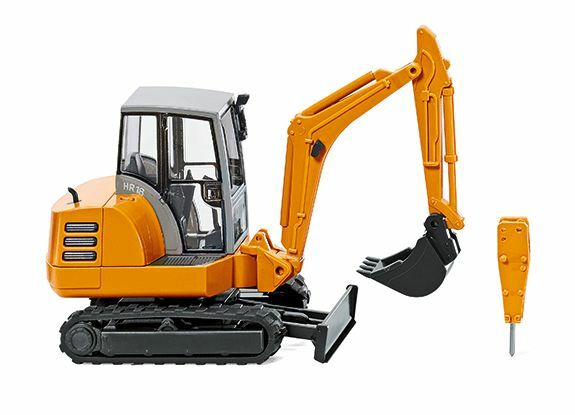 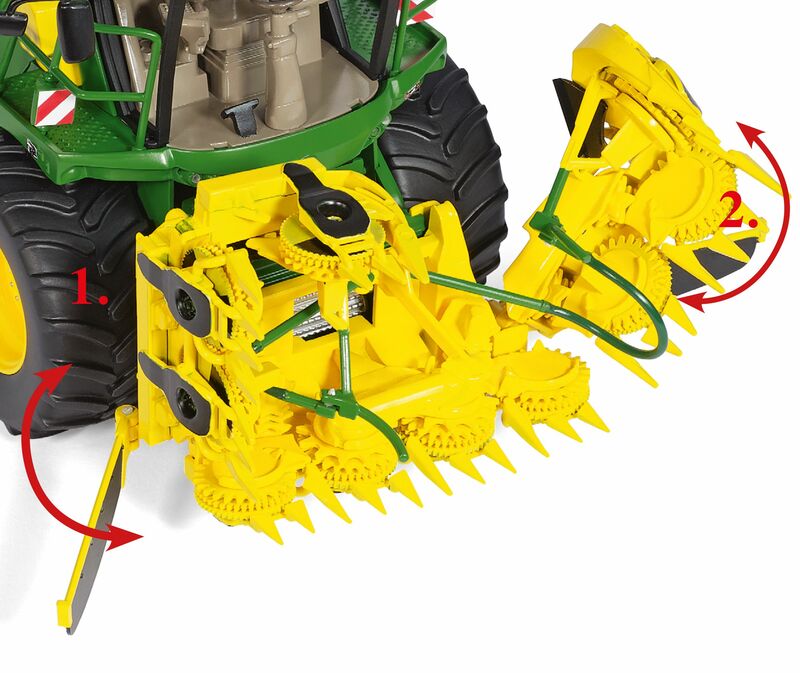 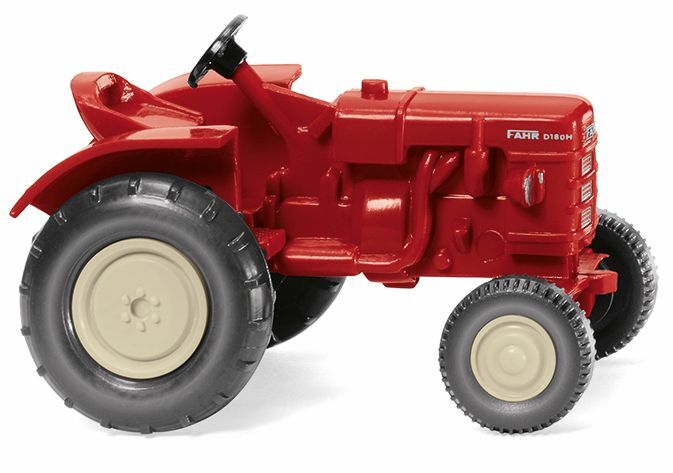 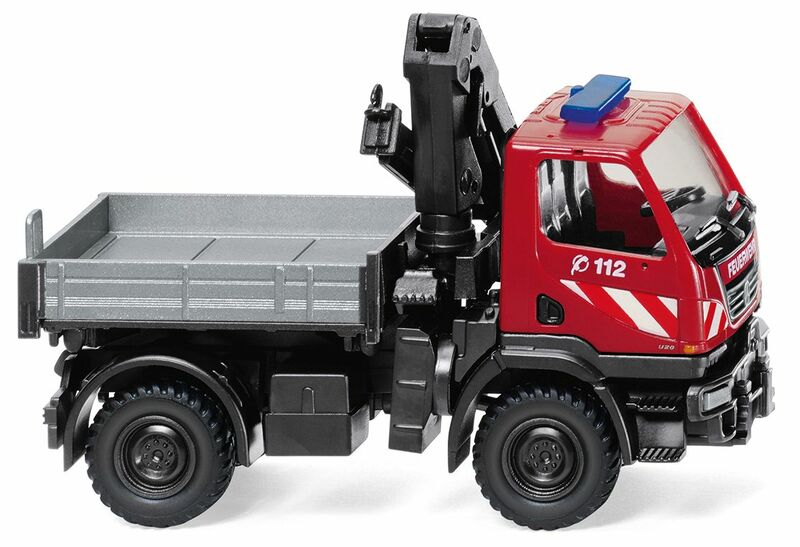 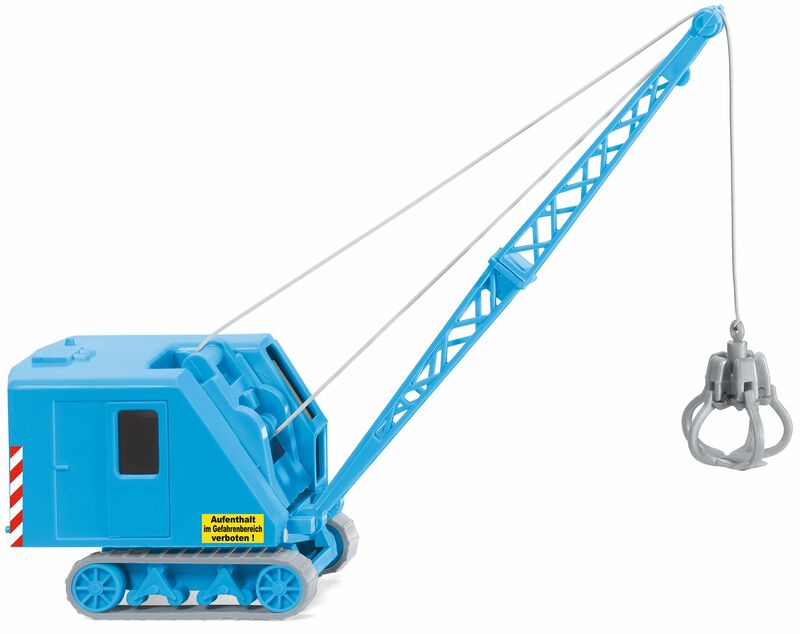 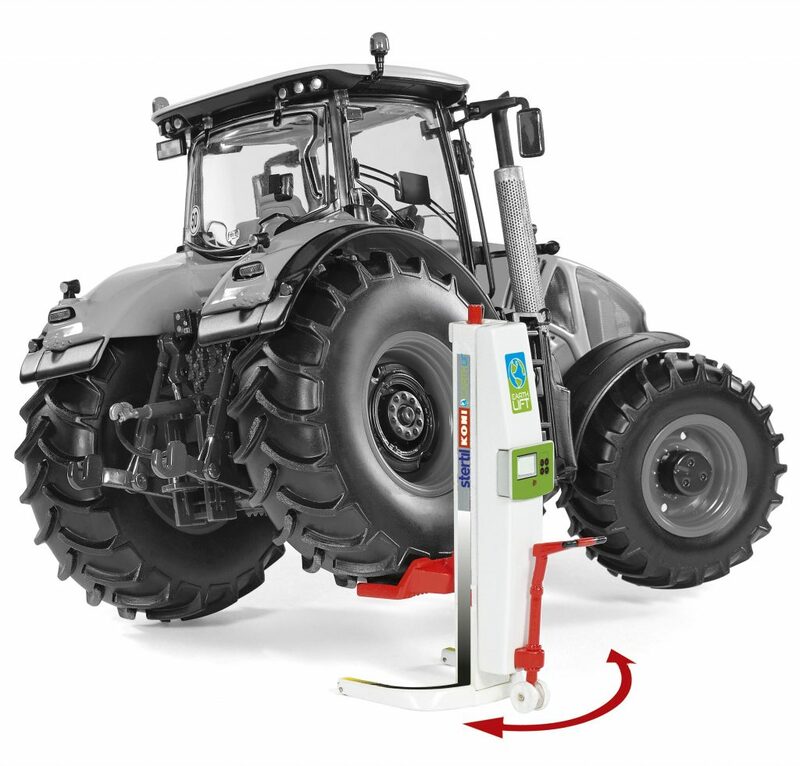 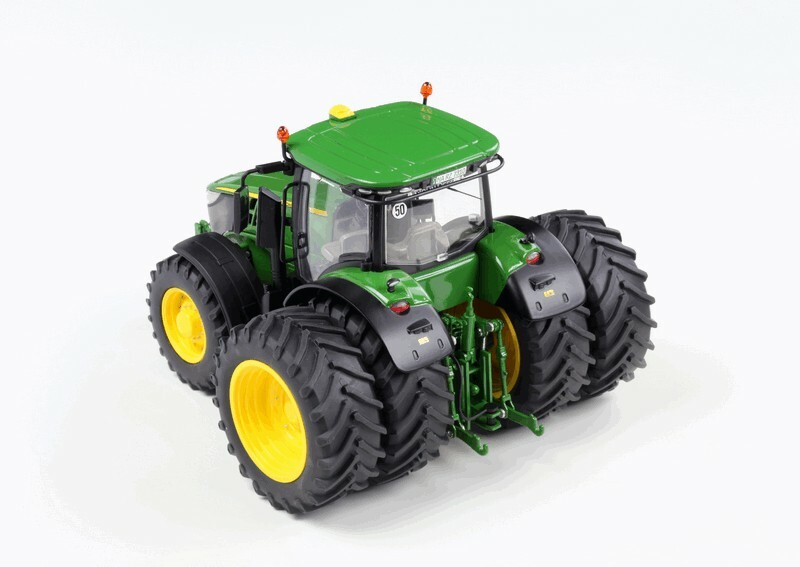 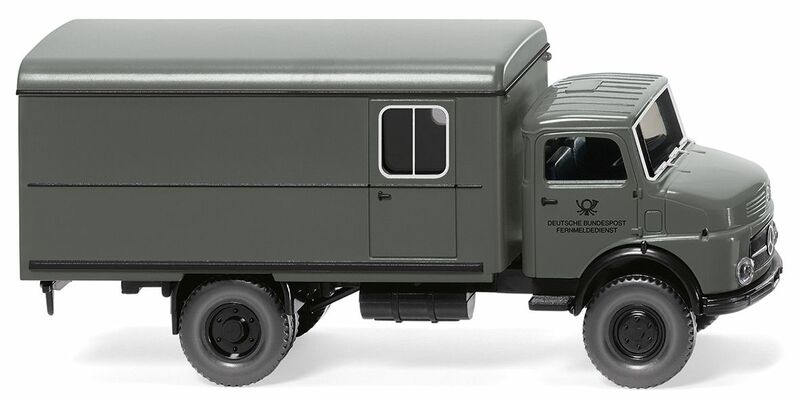 Wiking have announced the following releases in June 2018. 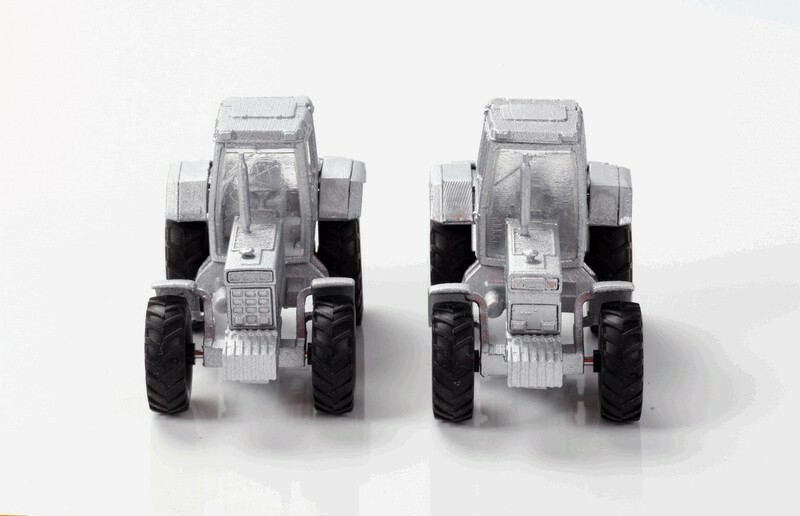 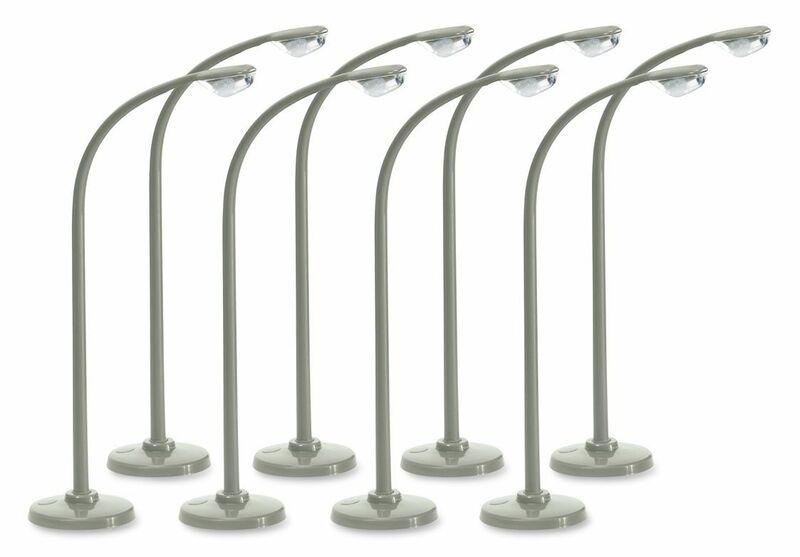 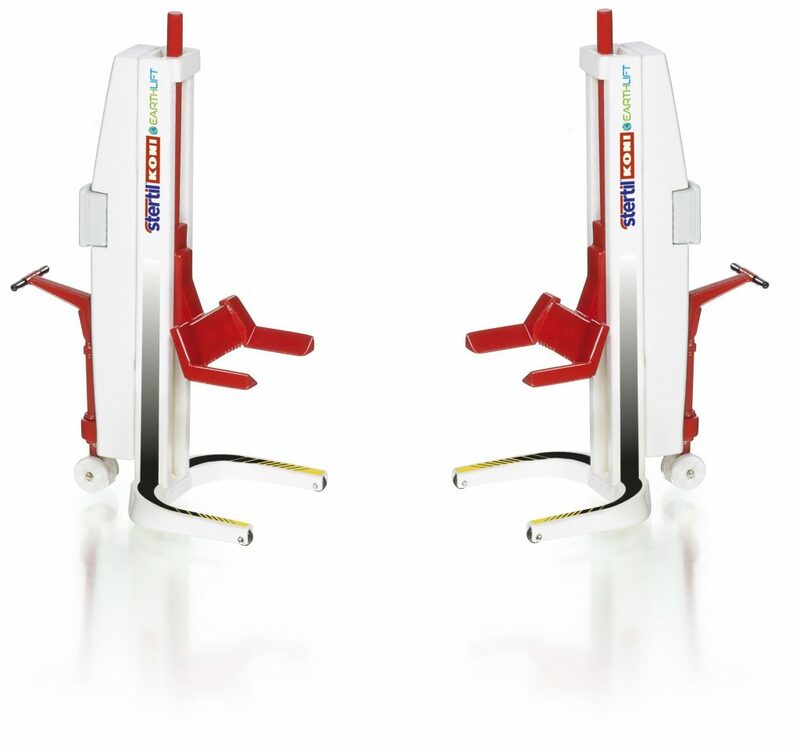 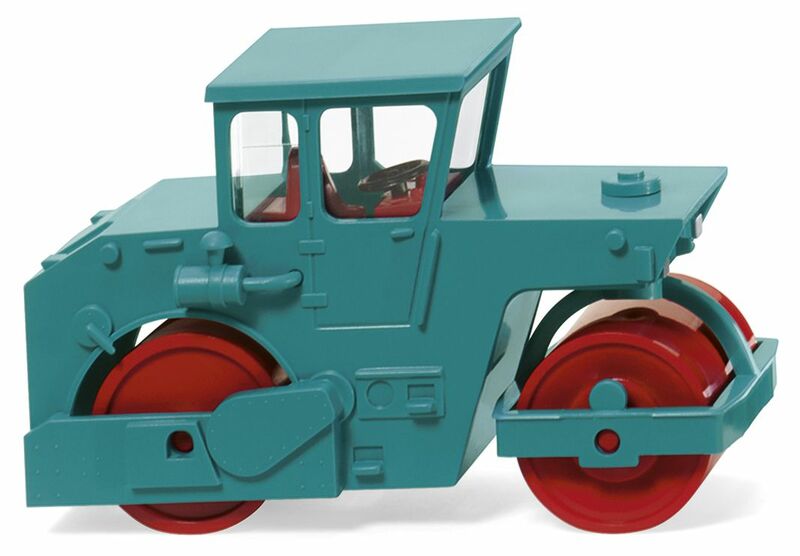 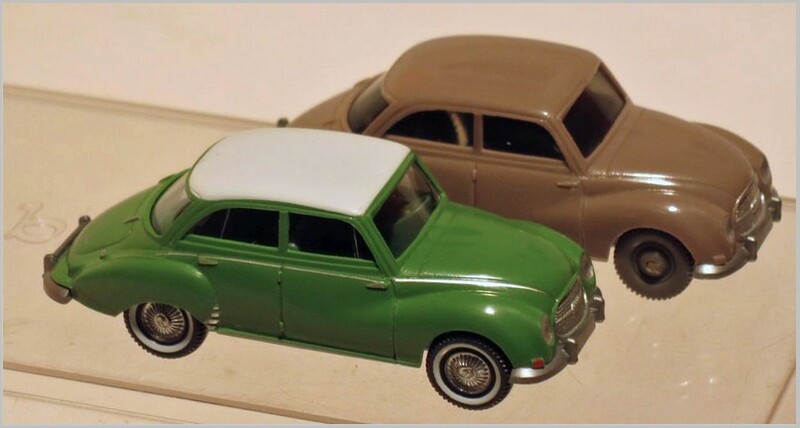 These models have been seen before in different colours and/or in a lower standard of finish. 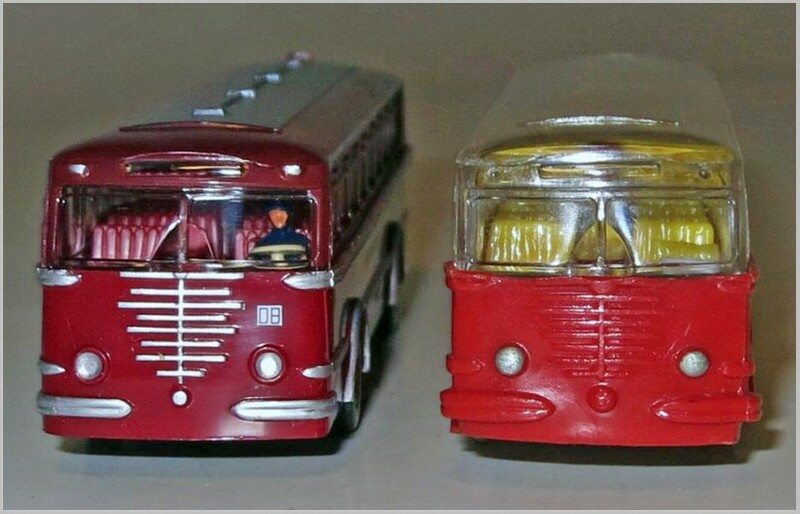 Büssing Trambus – Old and New. 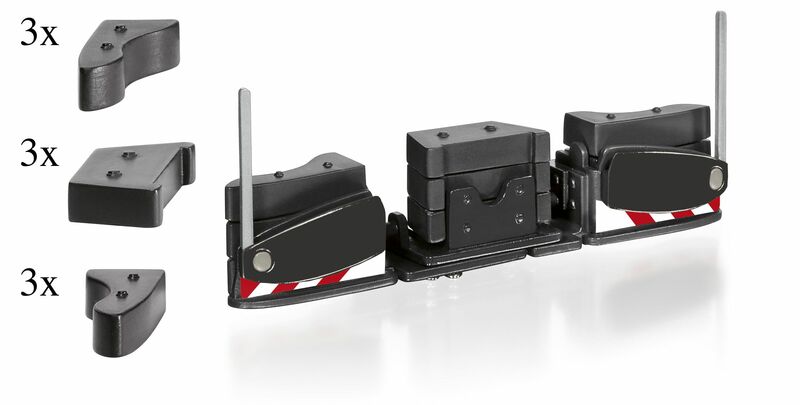 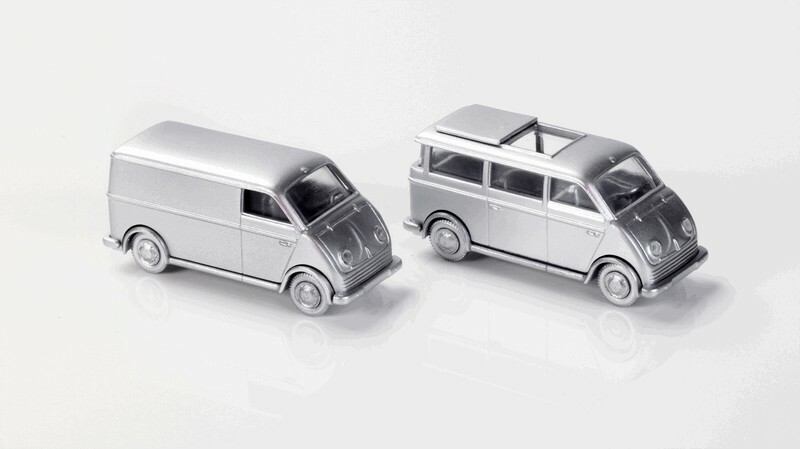 A recent upgrade release included the Büssing Trambus finished in Deutsche Bundesbahn livery. 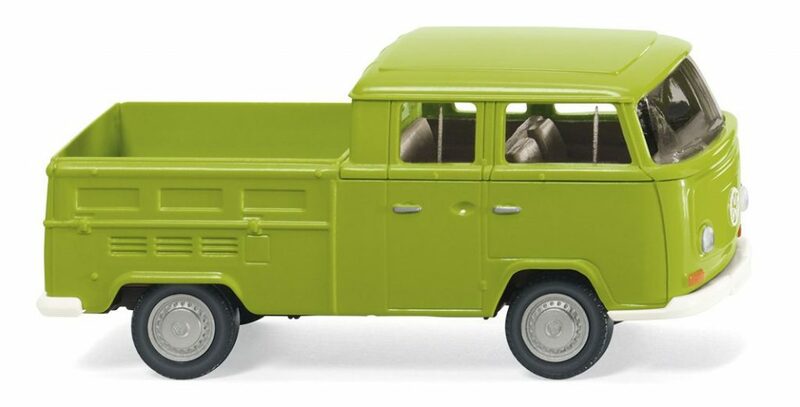 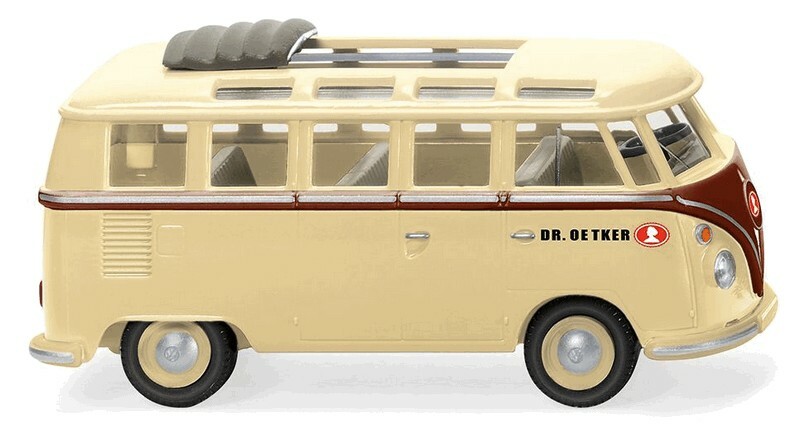 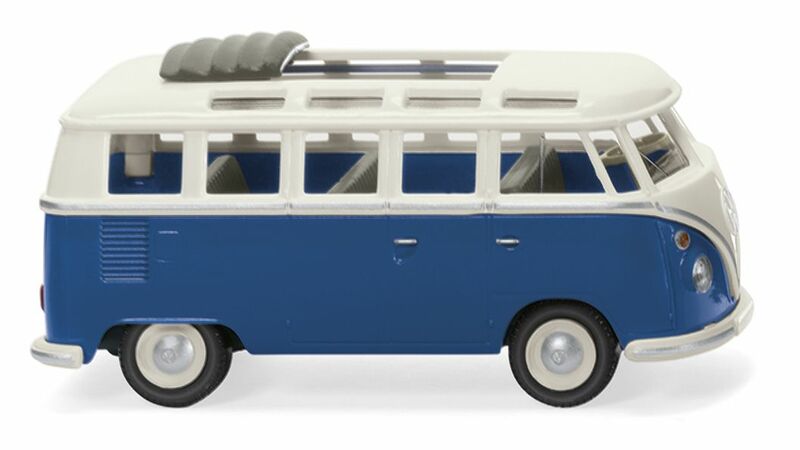 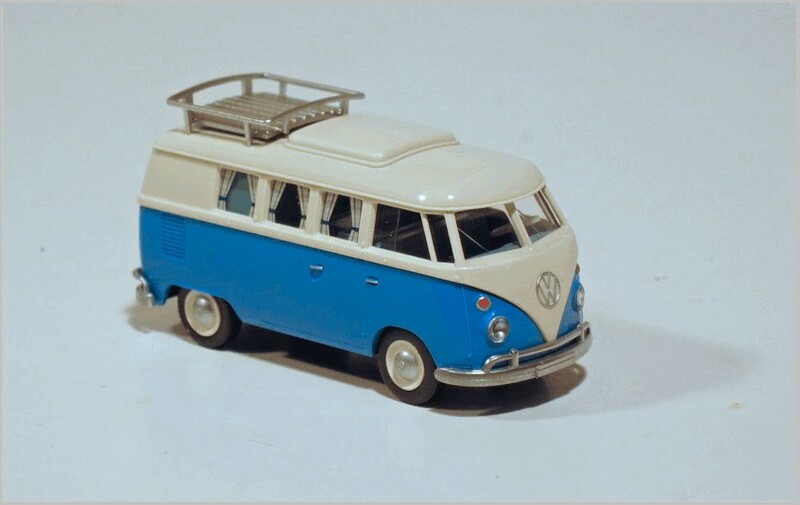 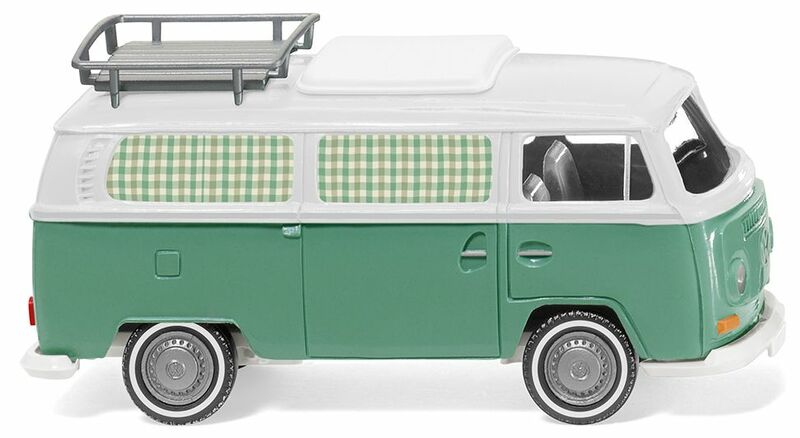 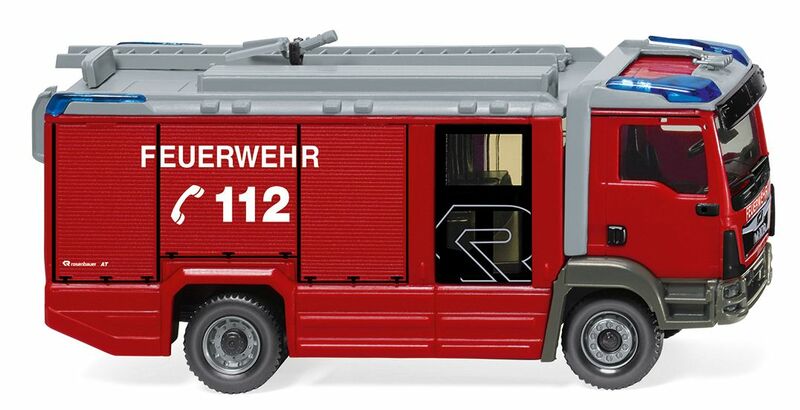 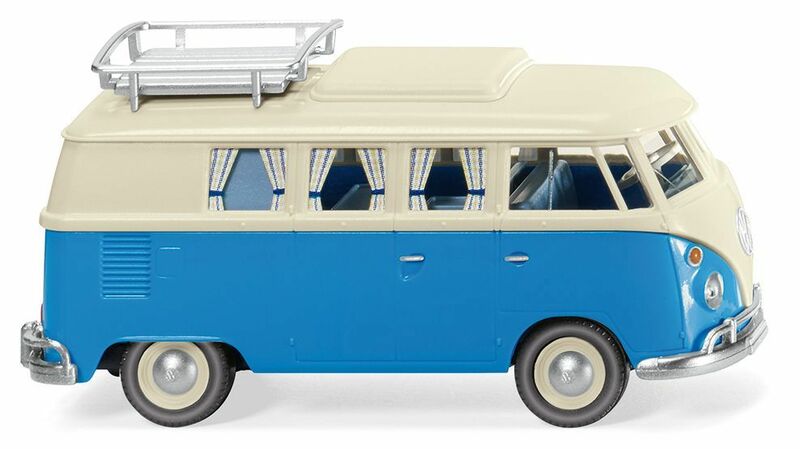 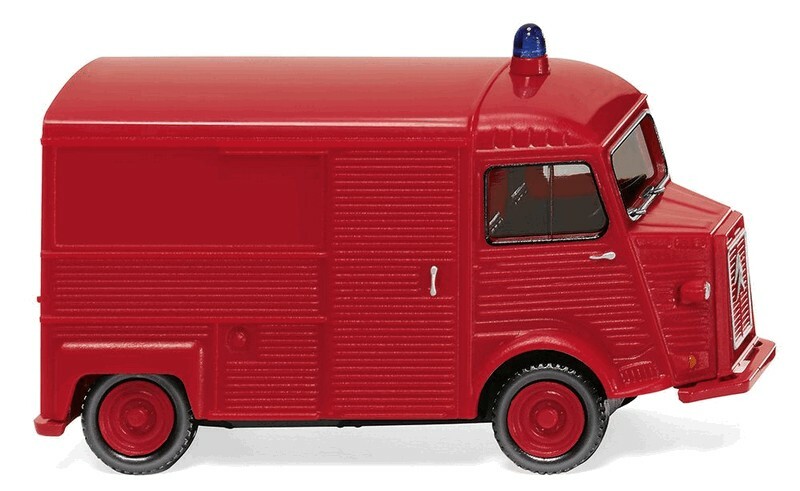 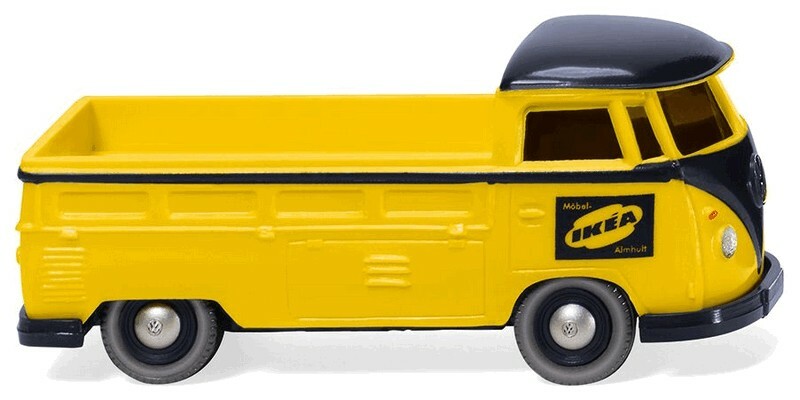 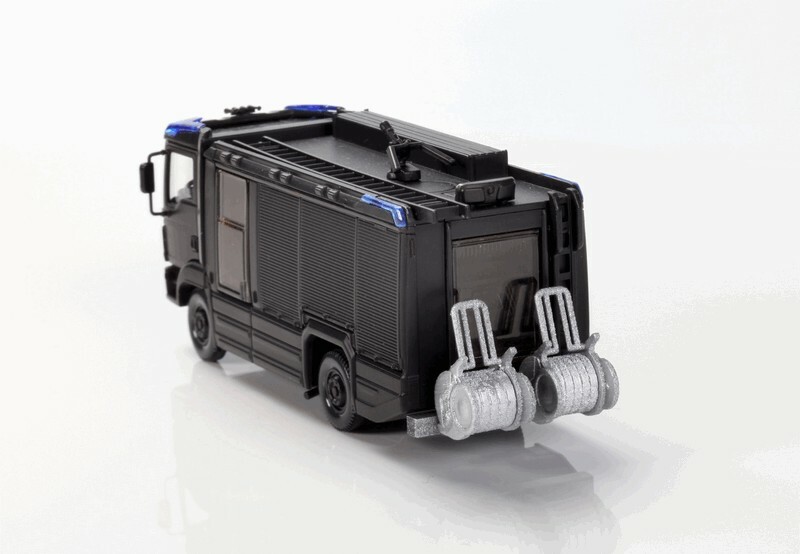 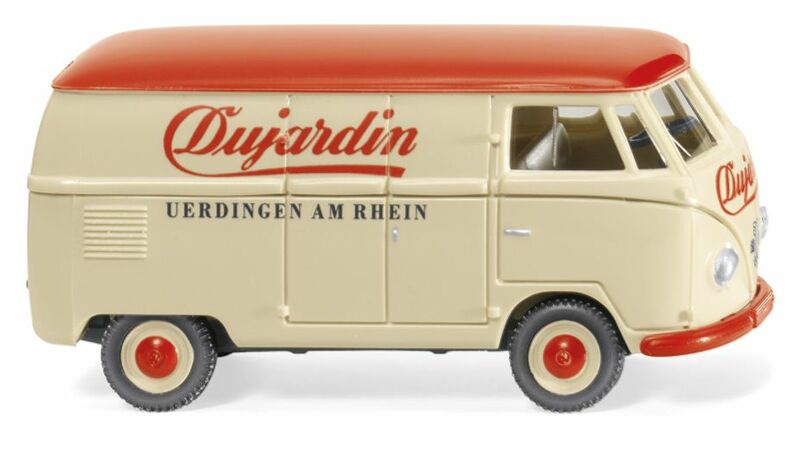 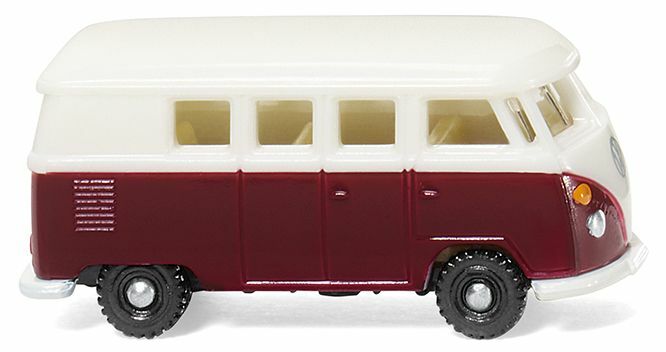 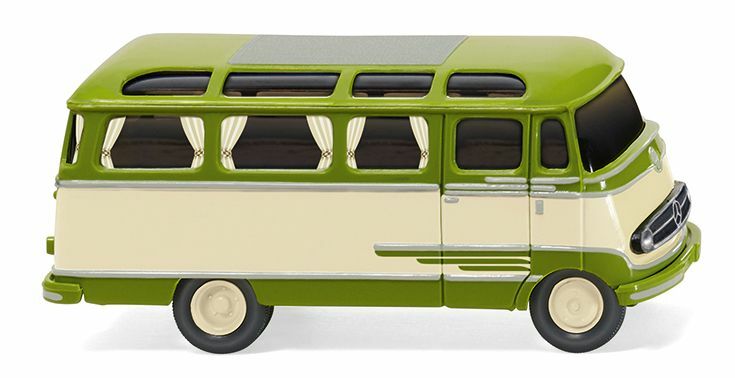 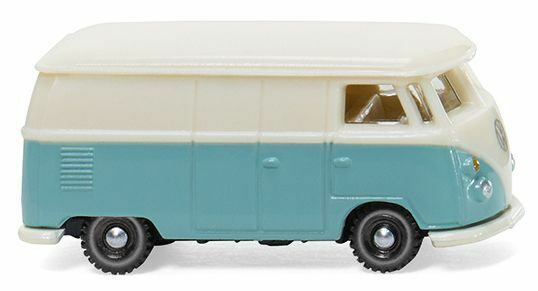 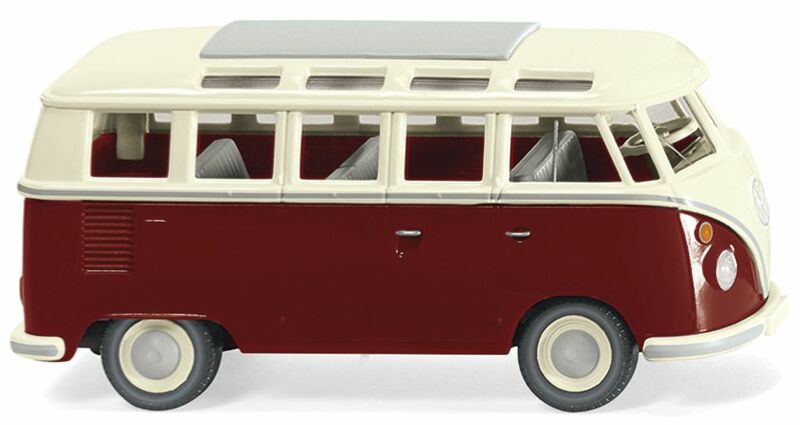 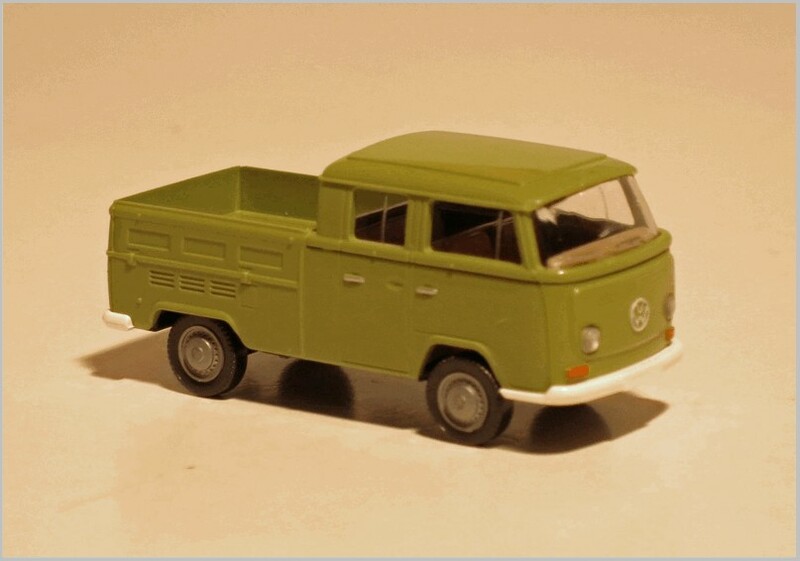 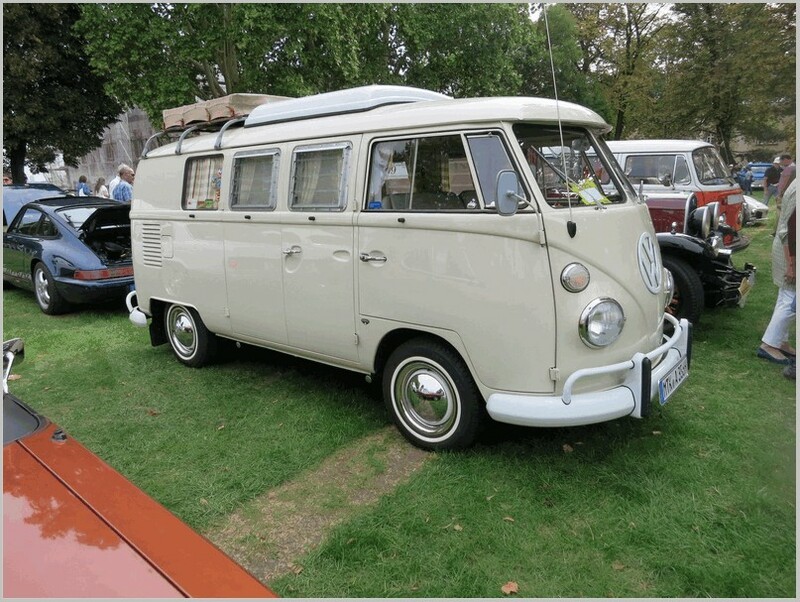 This bus model has a long history in the Wiking model range. 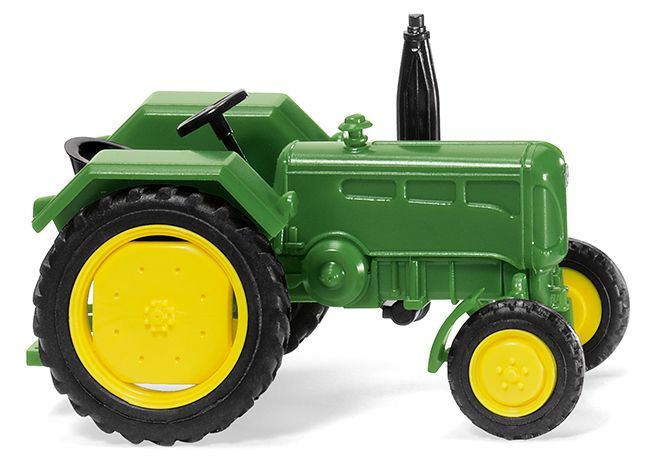 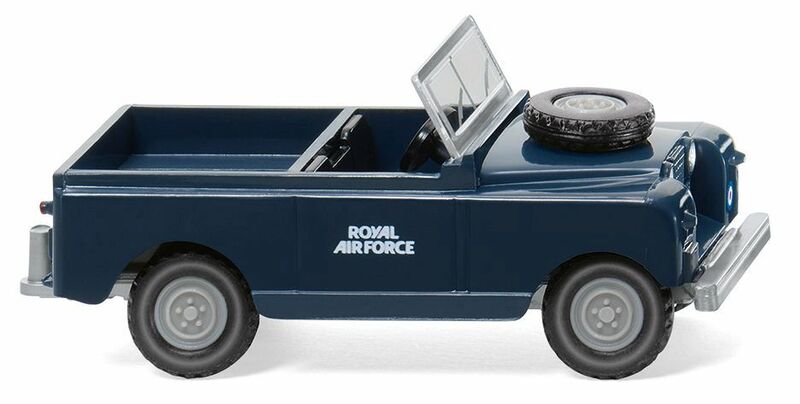 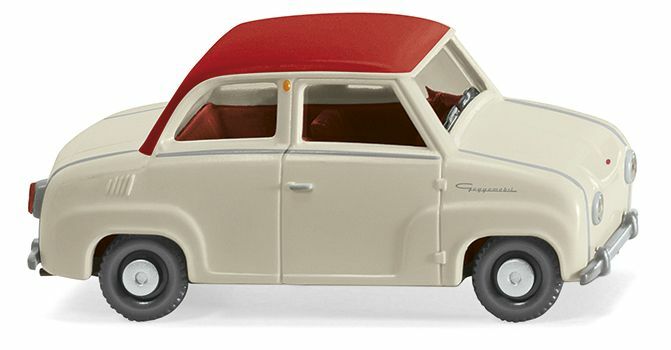 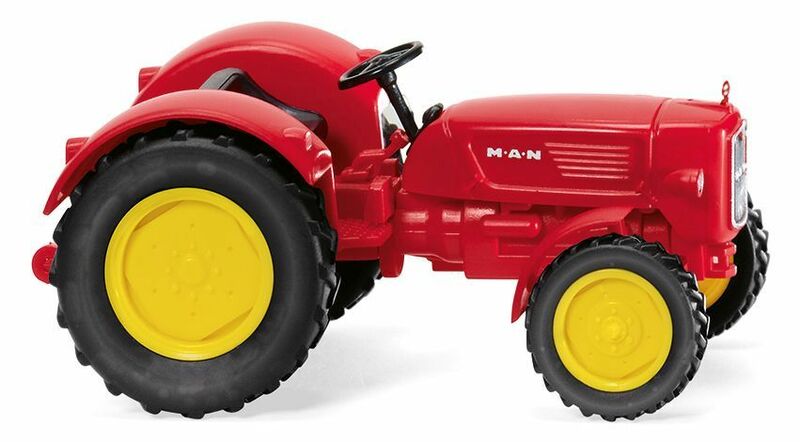 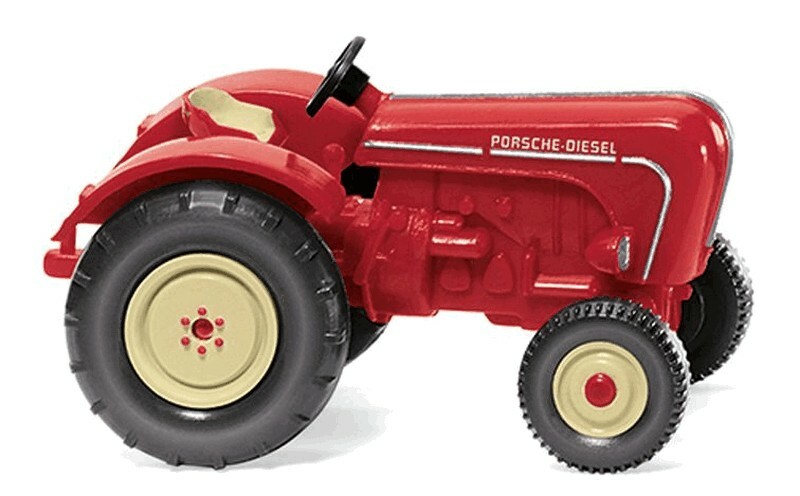 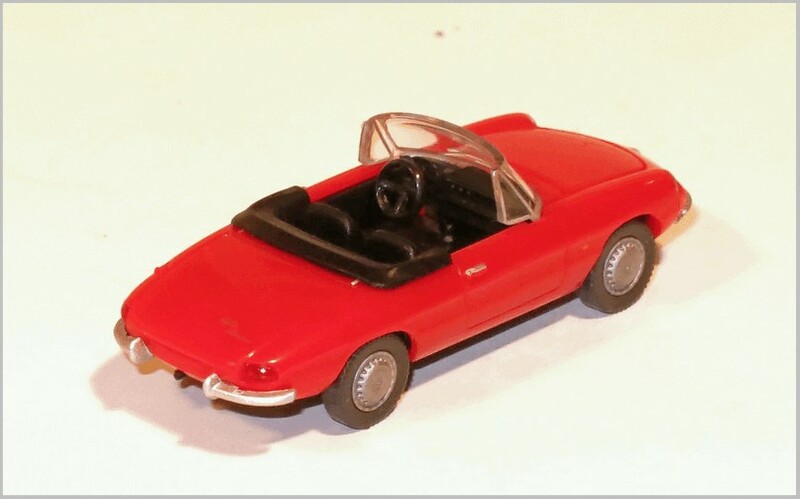 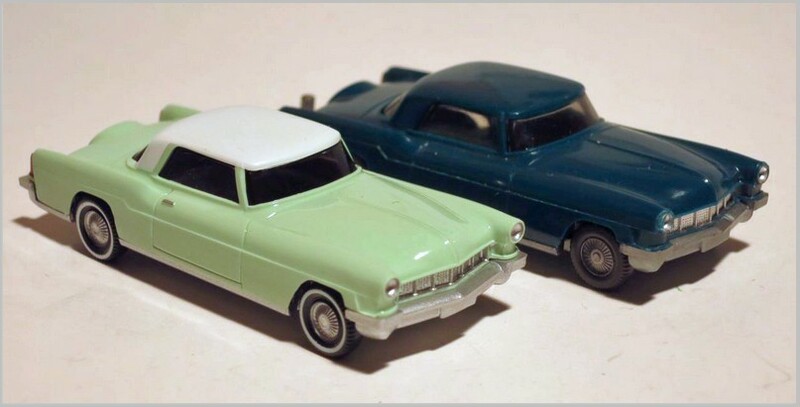 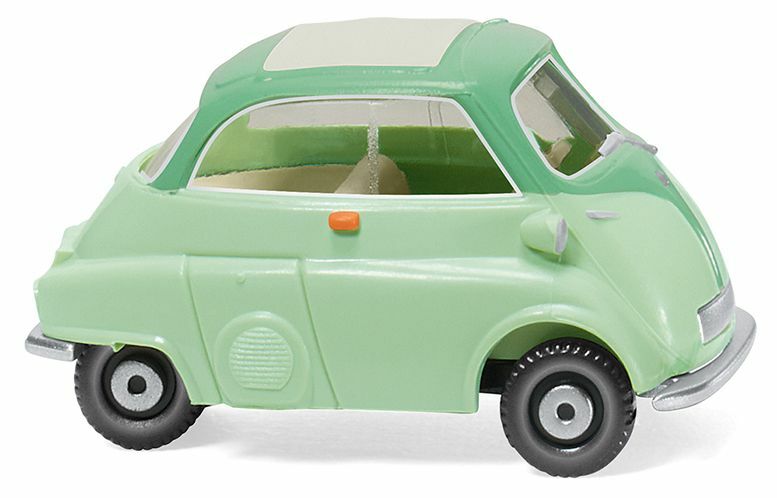 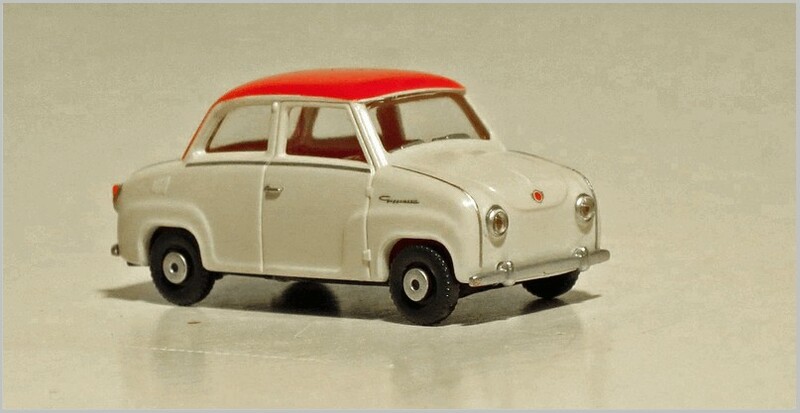 It was first issued in 1951, assembled out of four components, the chassis, lower body coloured, seats and upper body part made from clear plastic. 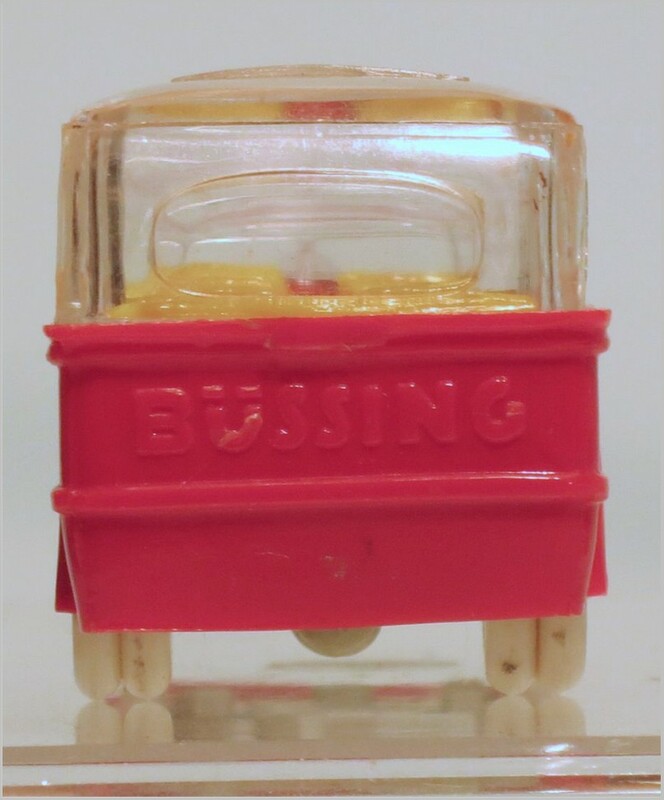 The rear wall of the lower body part showed the name “BÜSSING”. 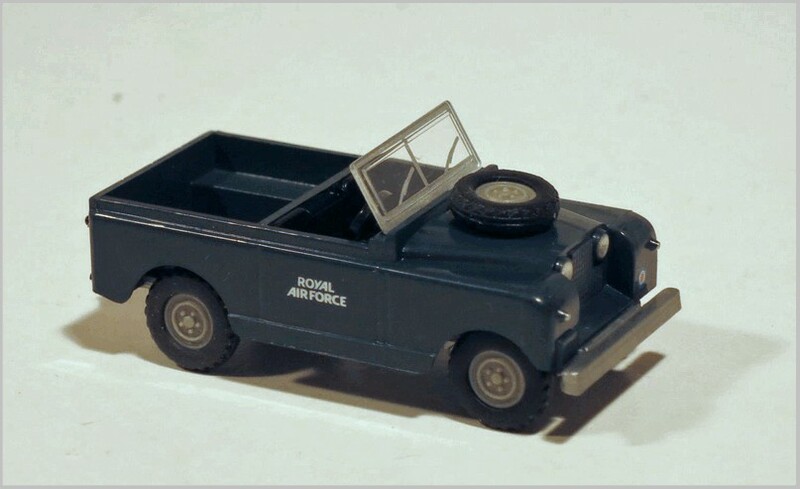 It was made as a result of a promotion model order. 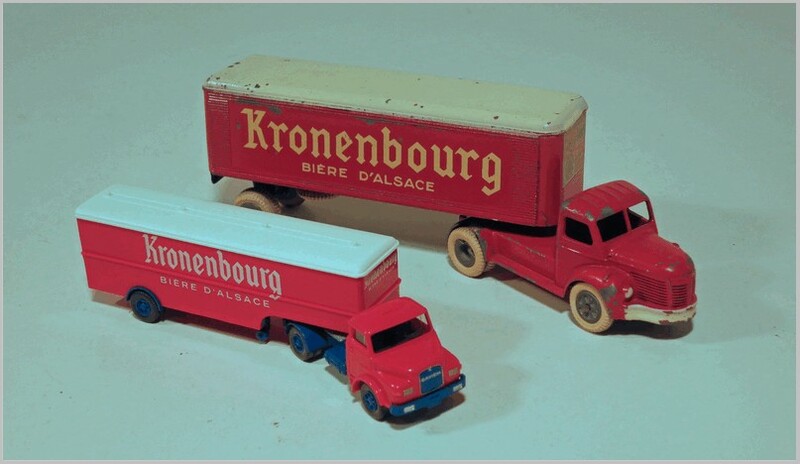 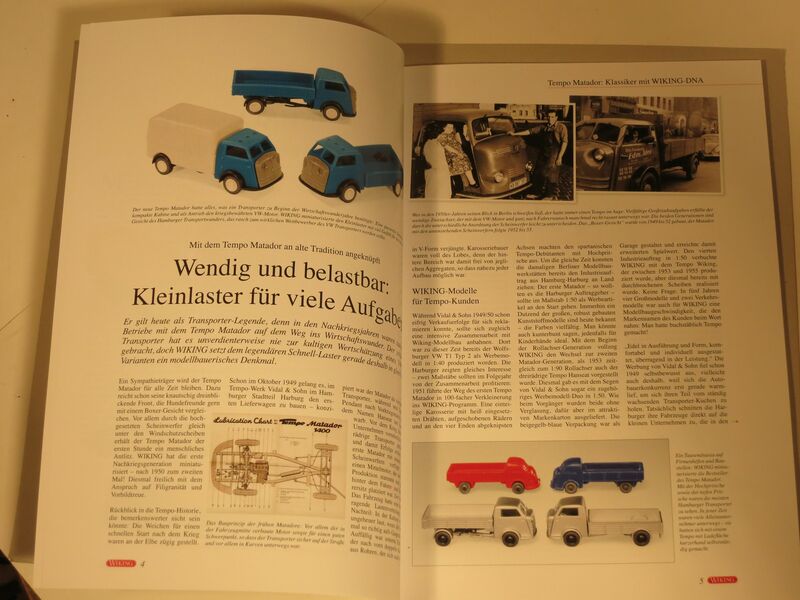 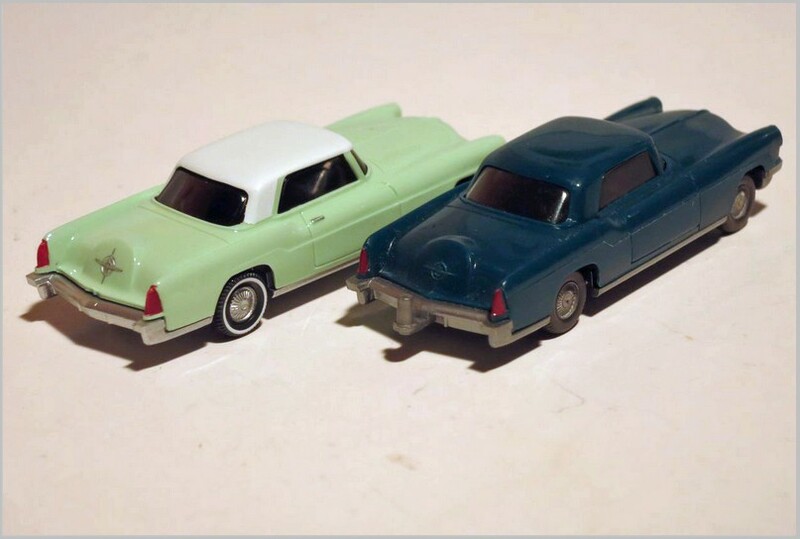 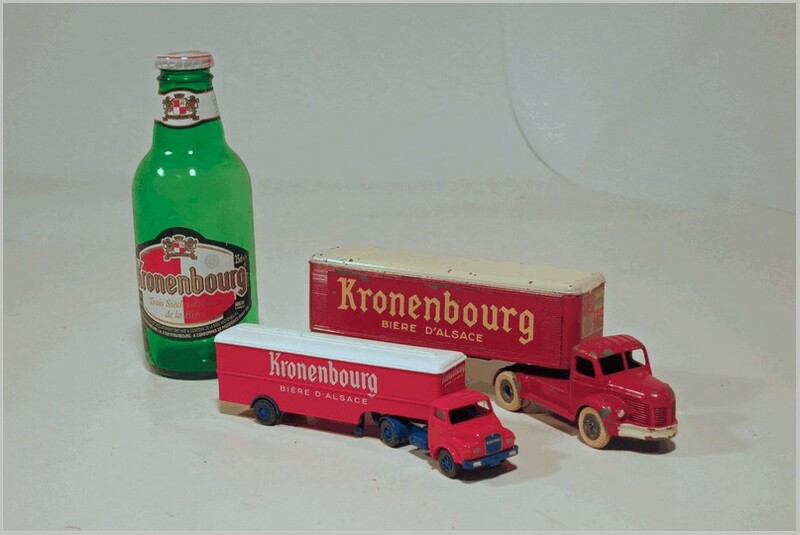 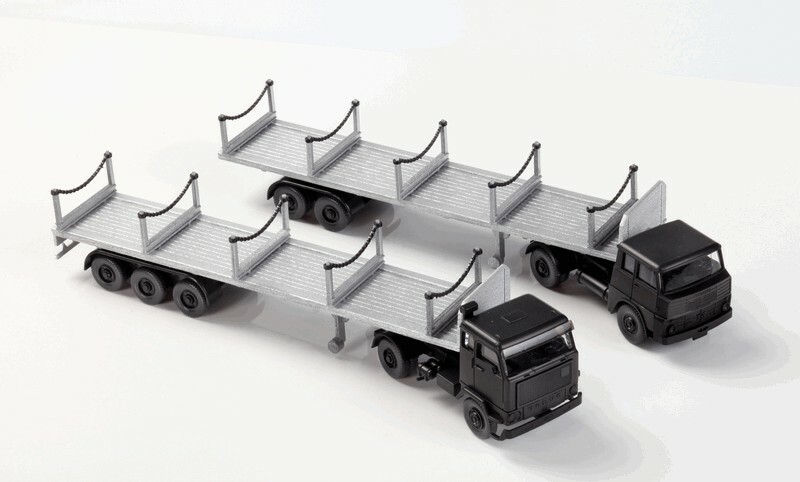 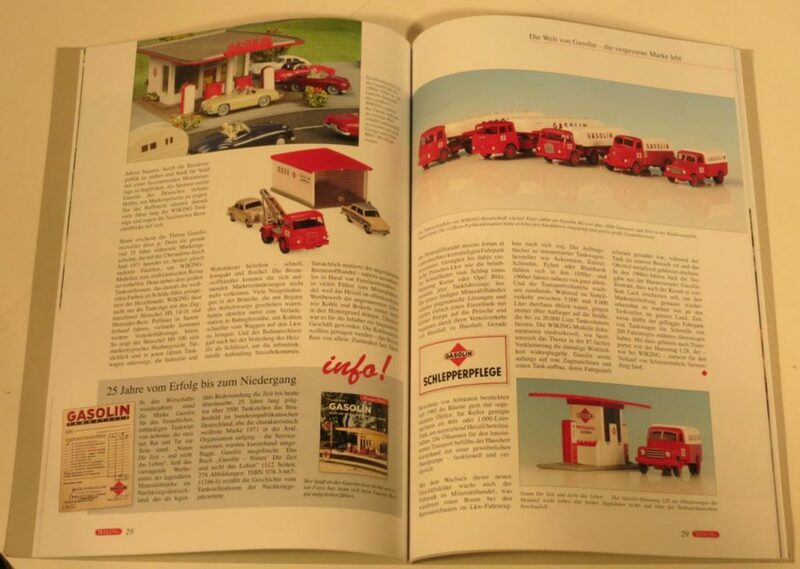 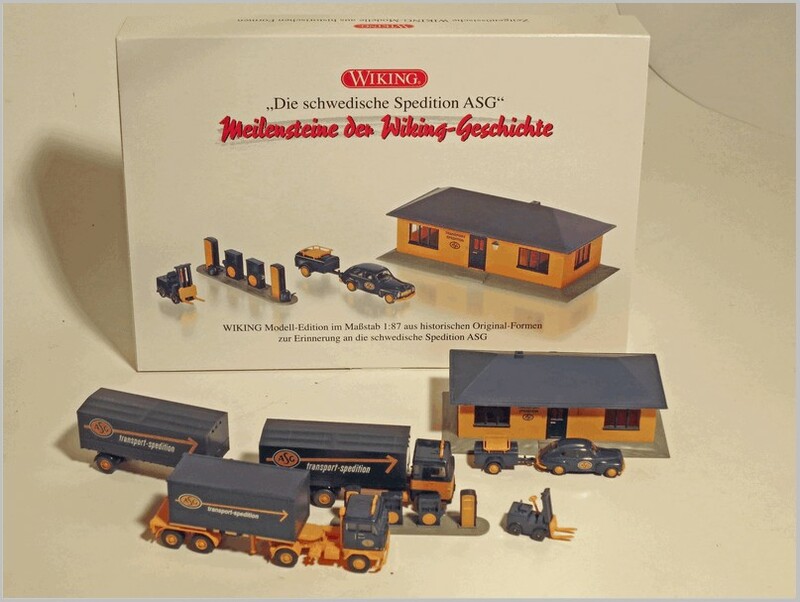 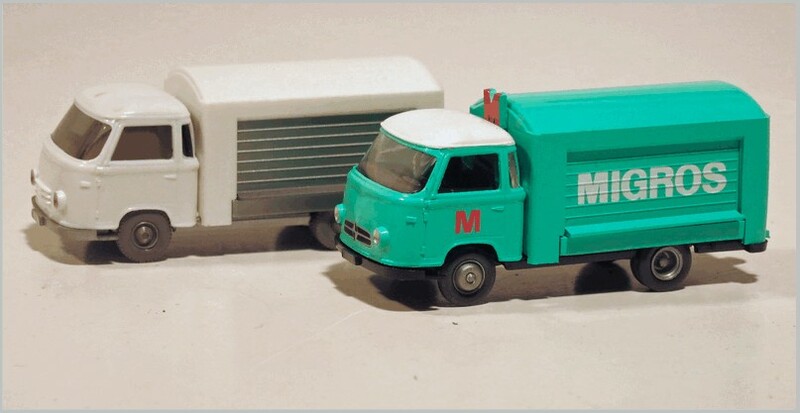 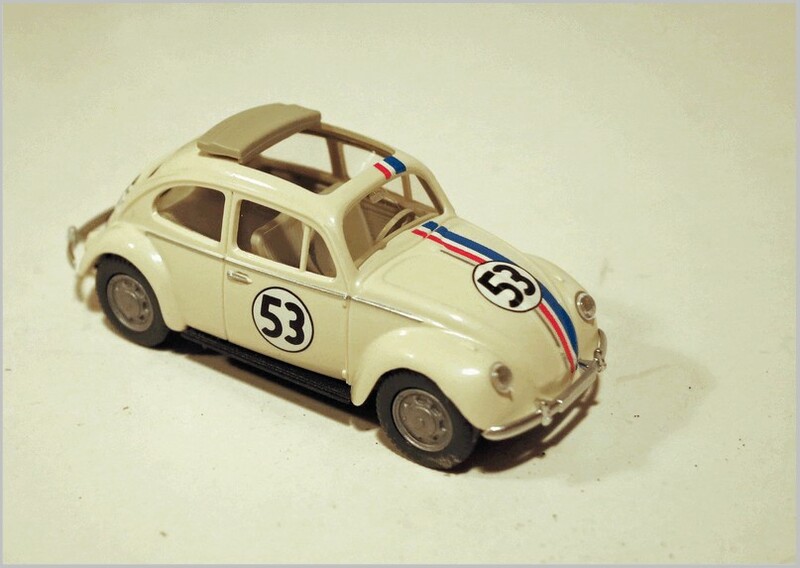 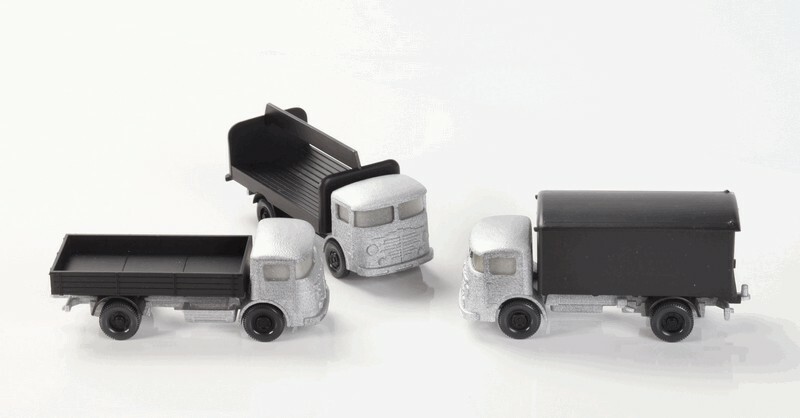 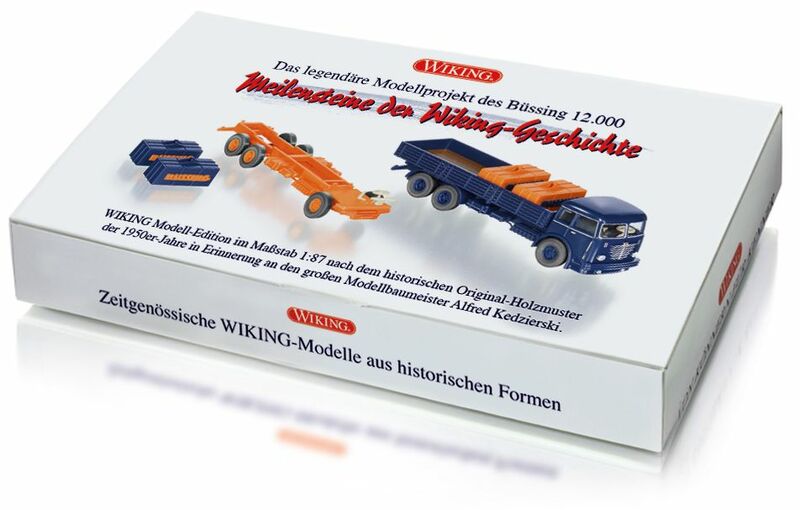 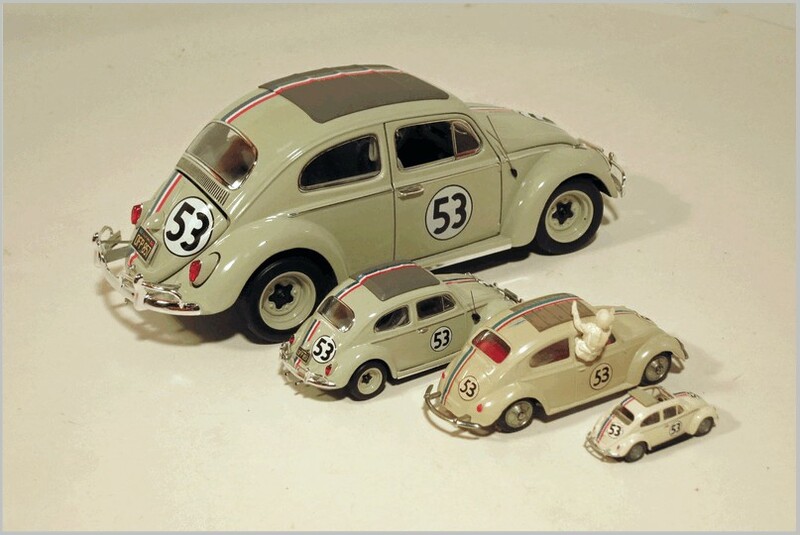 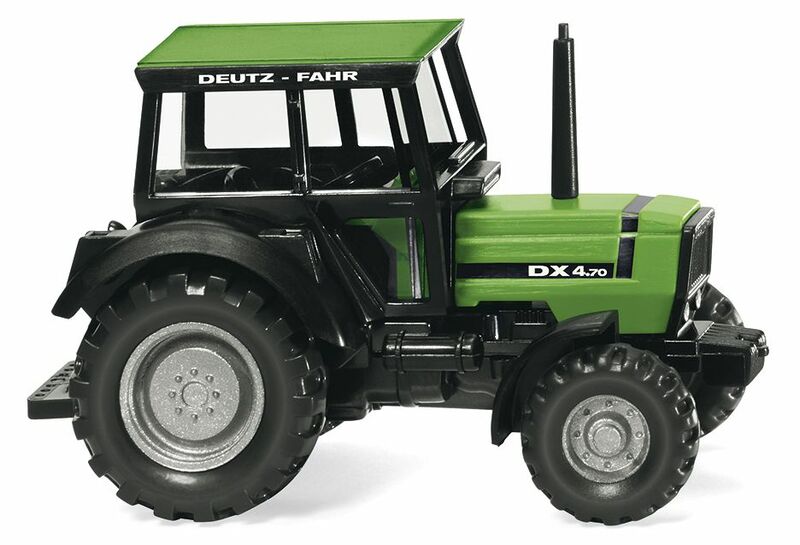 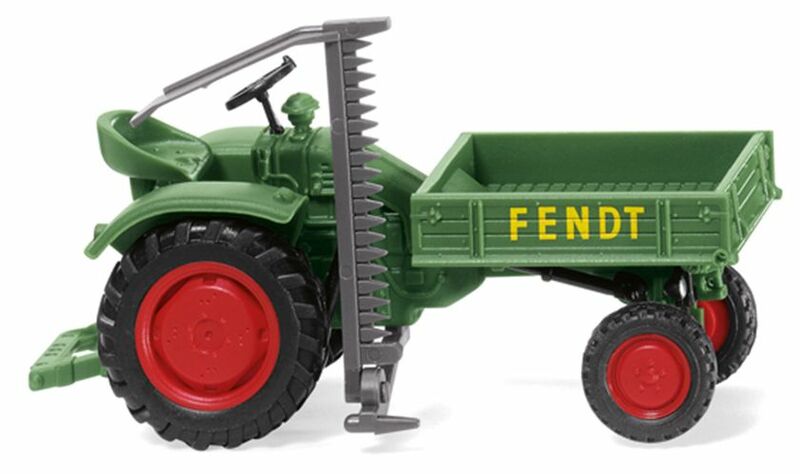 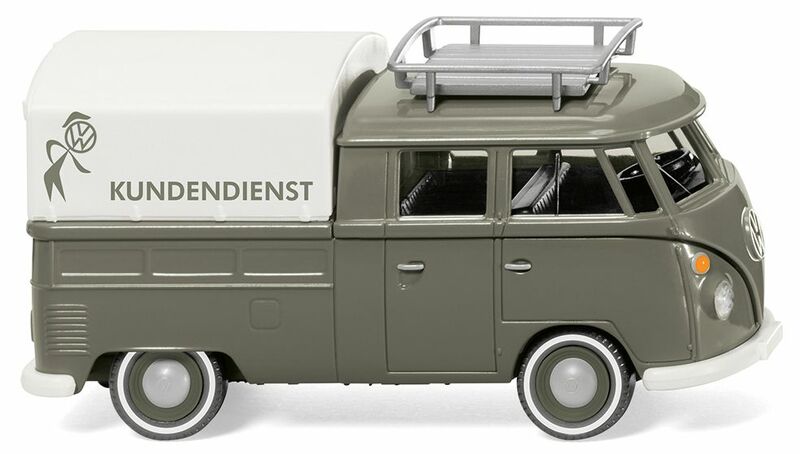 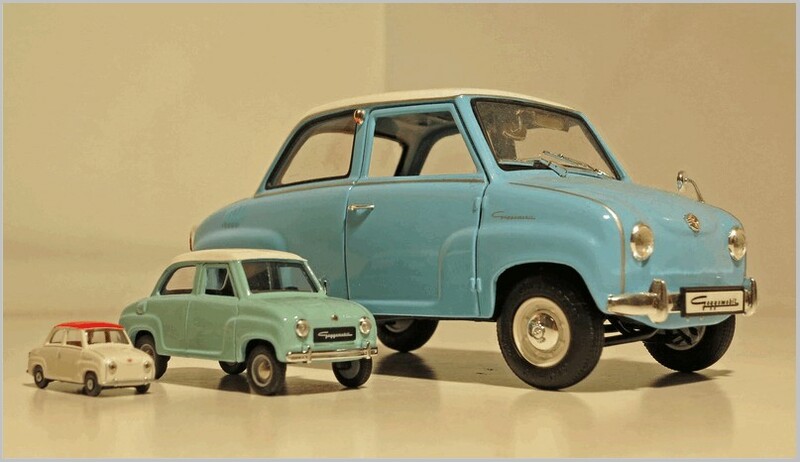 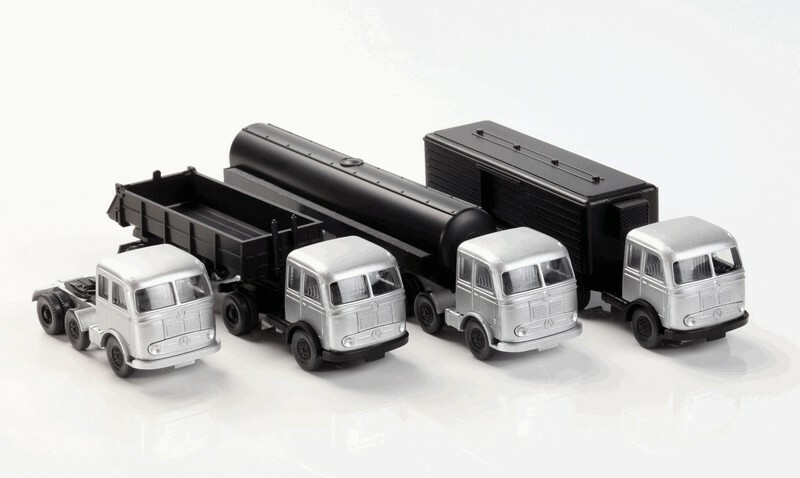 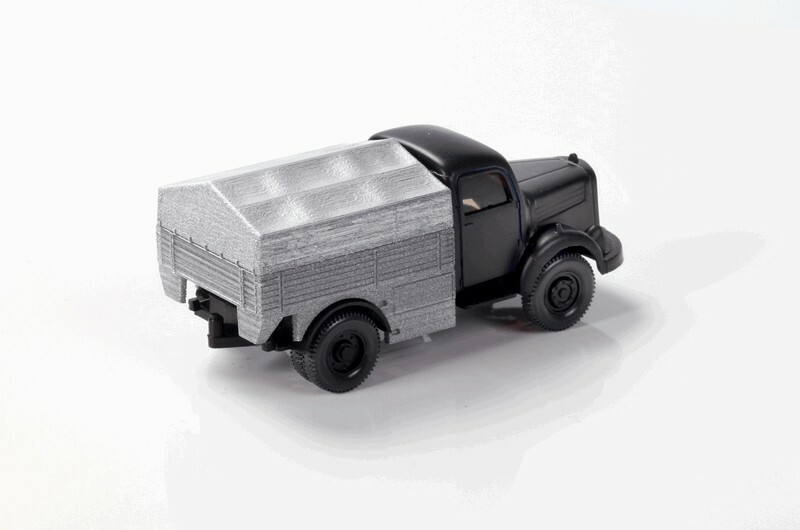 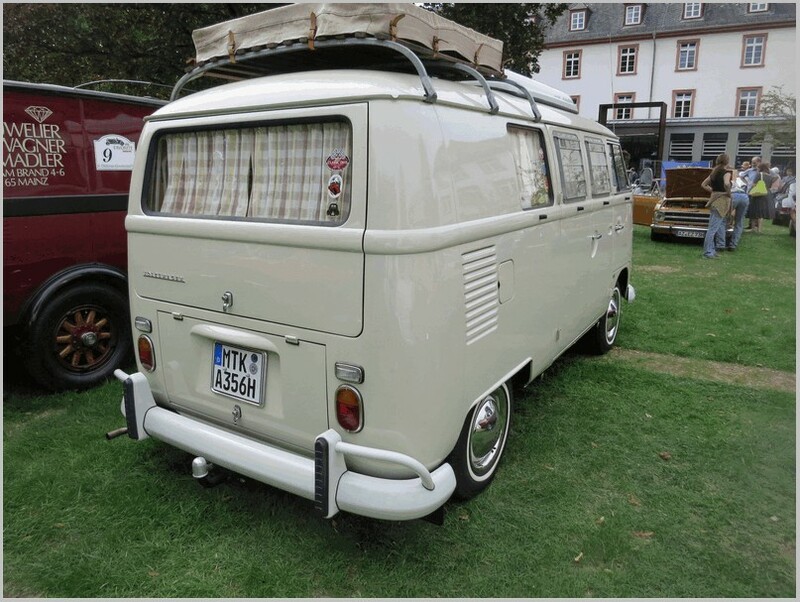 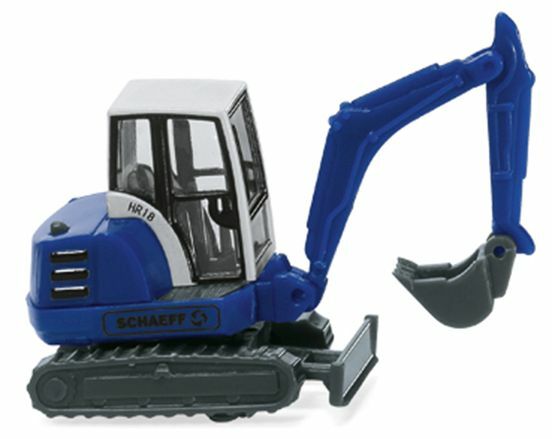 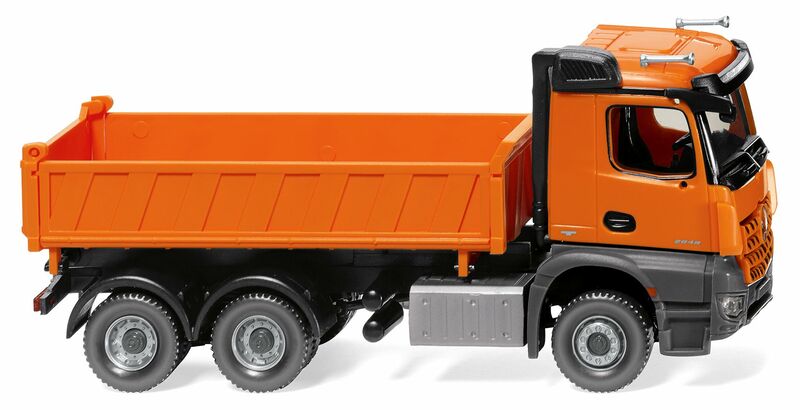 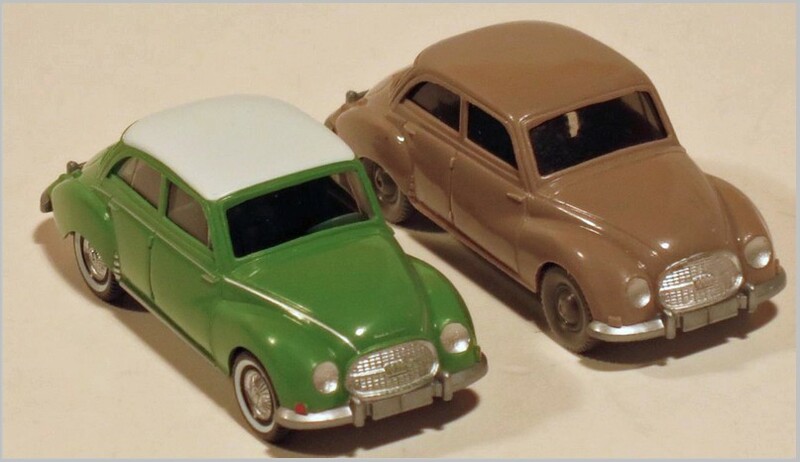 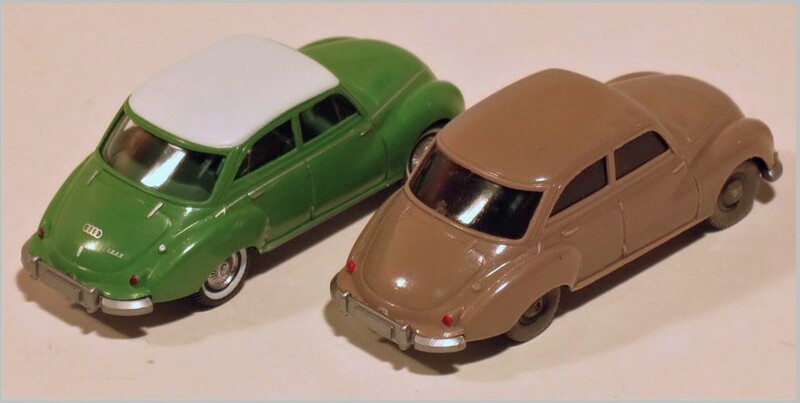 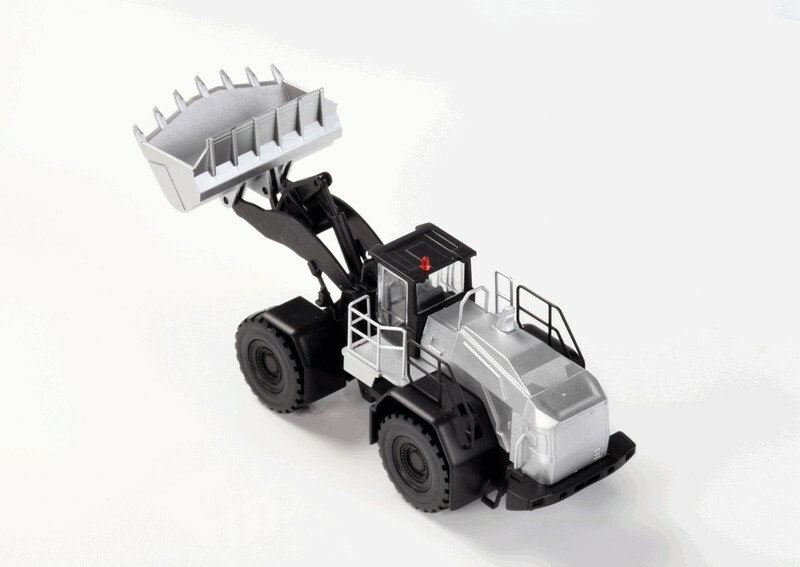 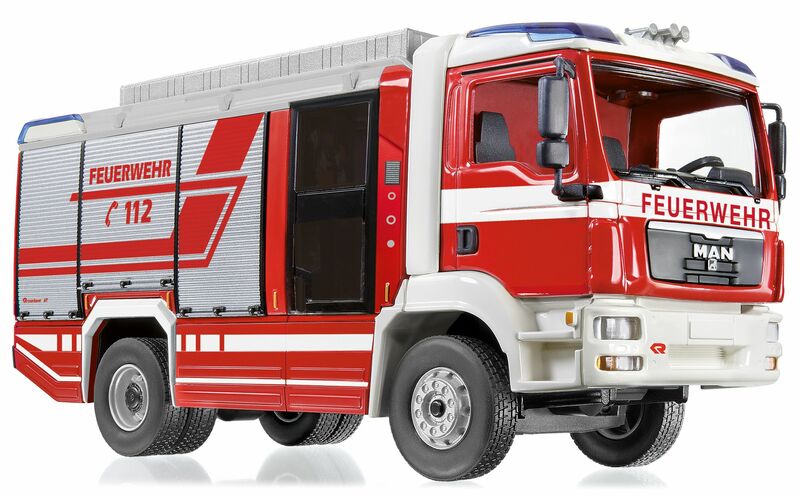 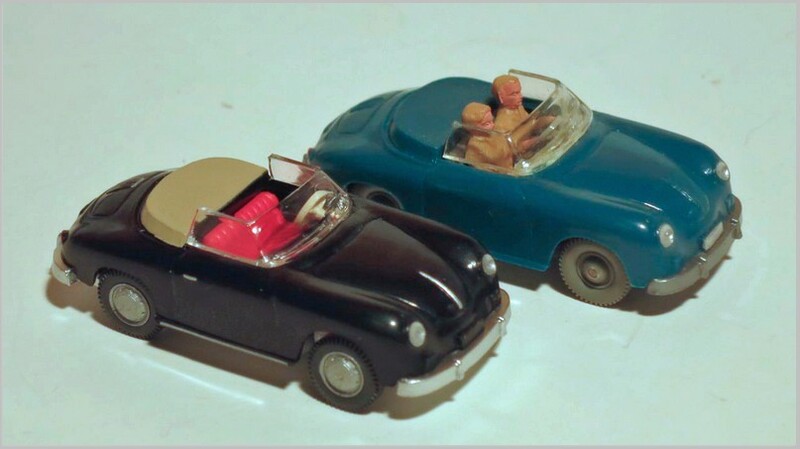 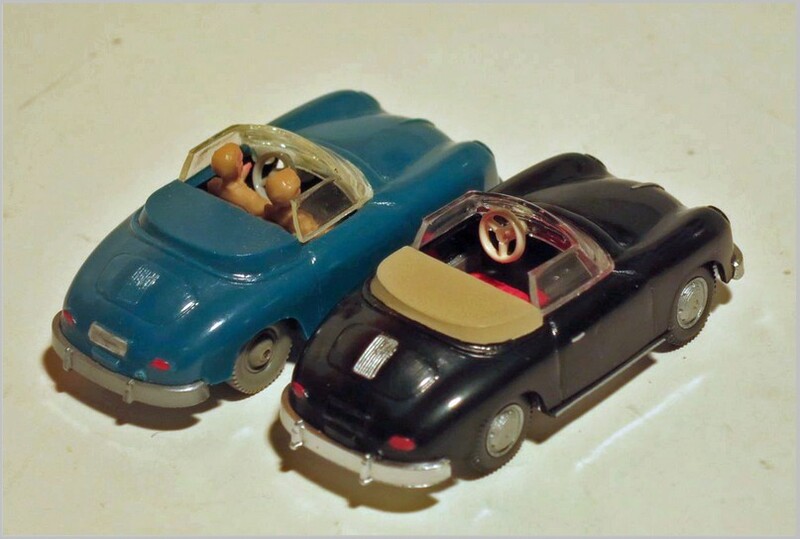 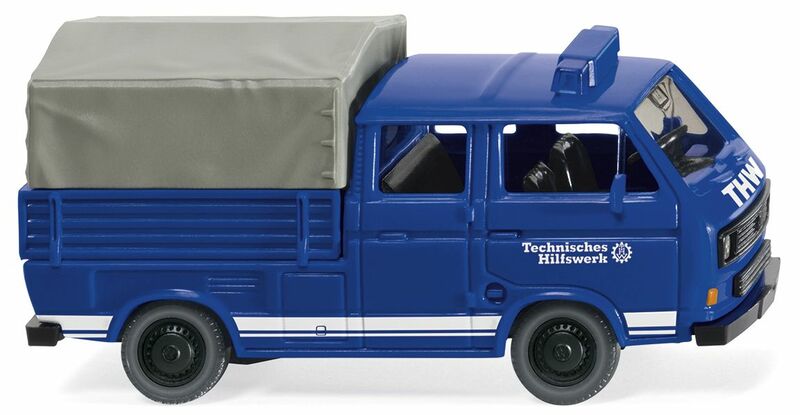 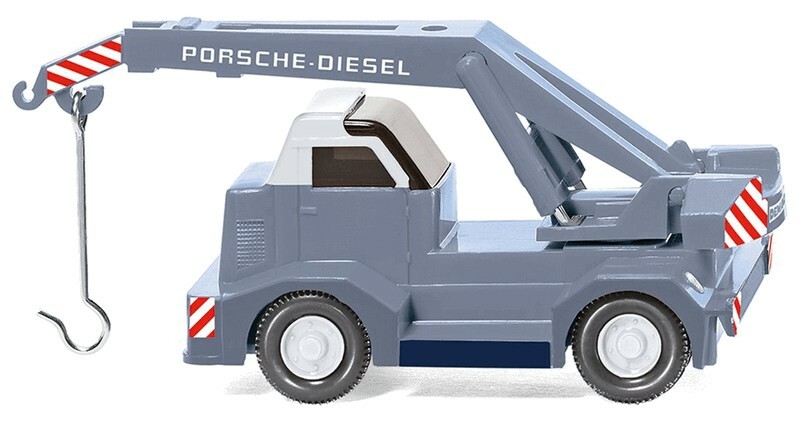 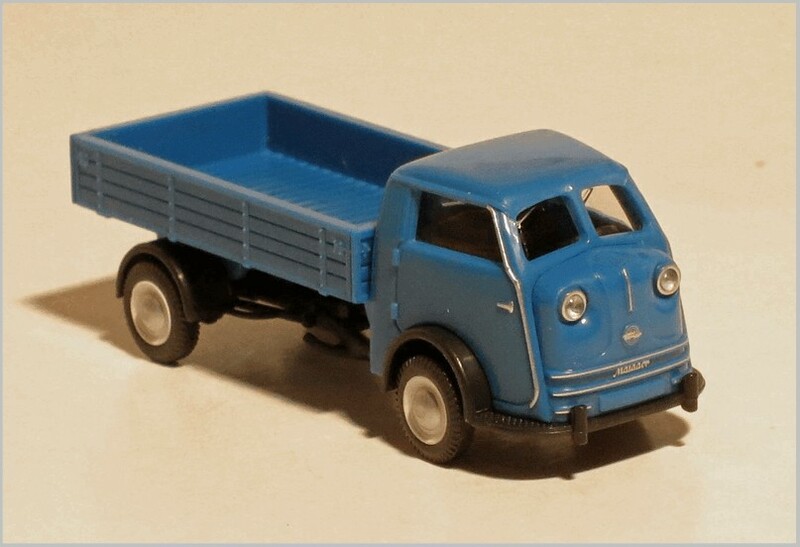 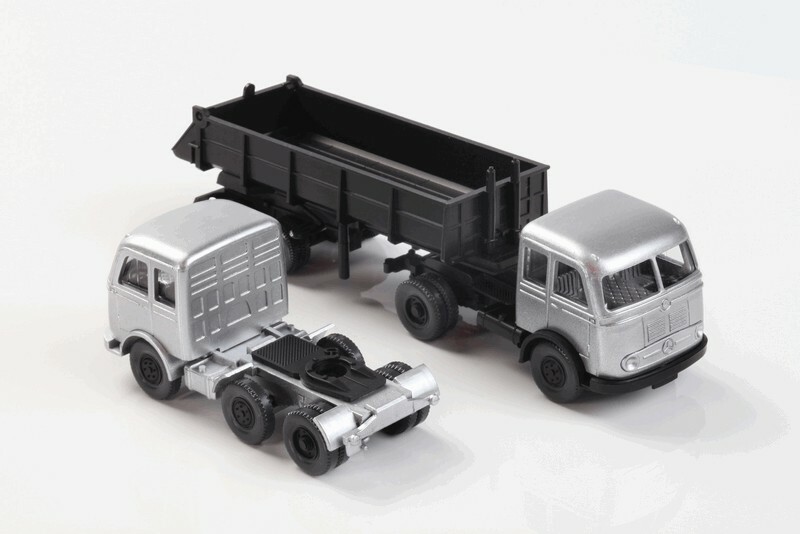 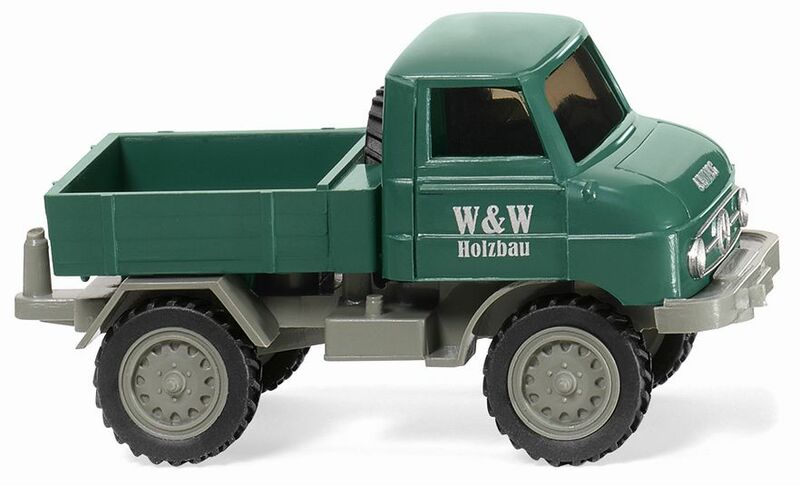 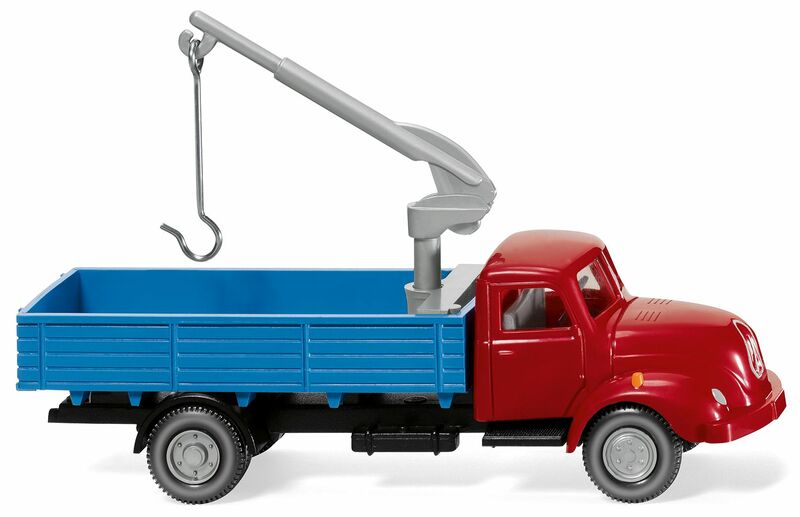 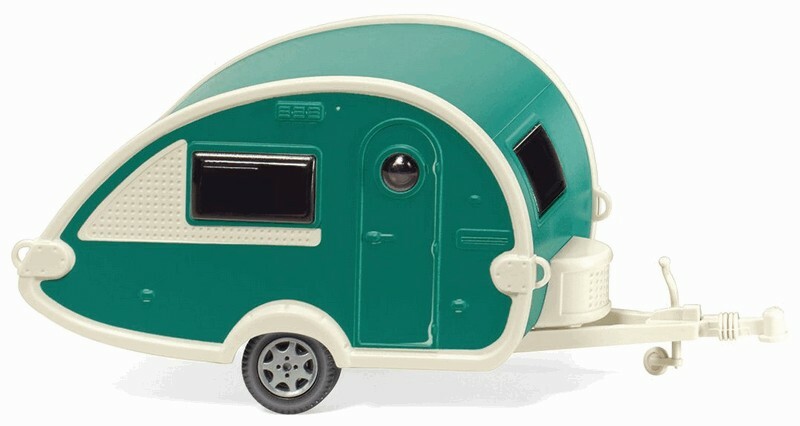 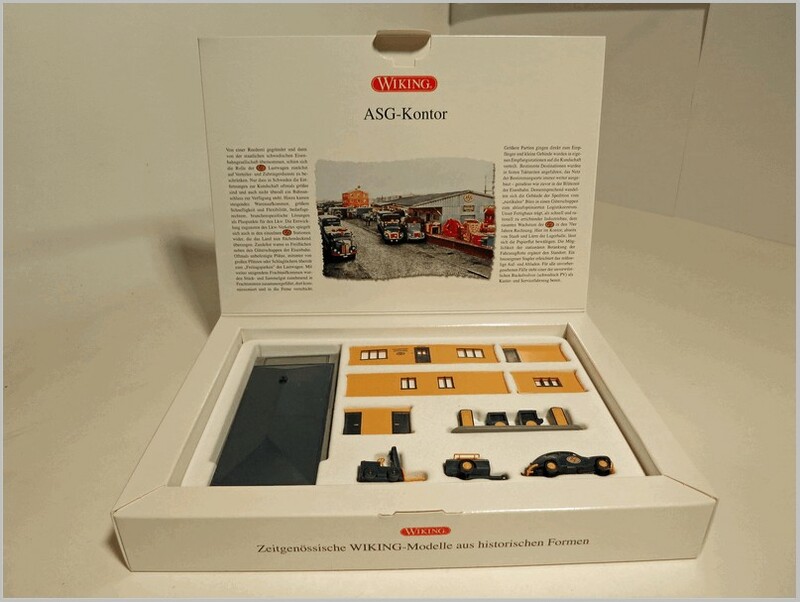 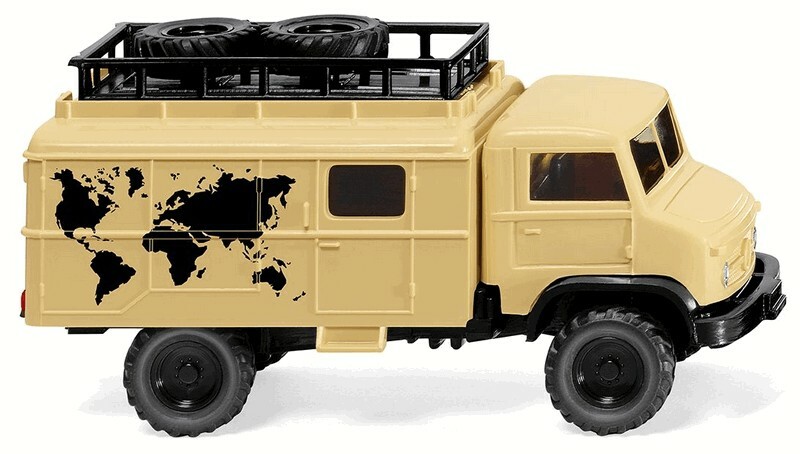 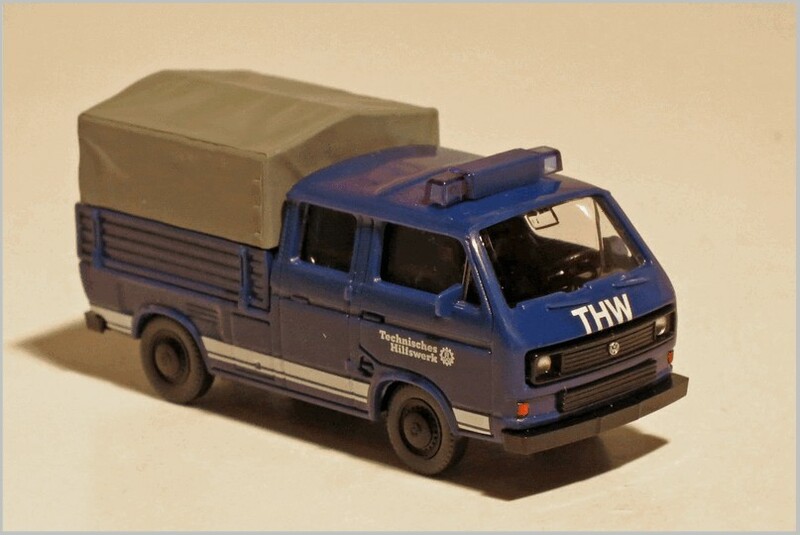 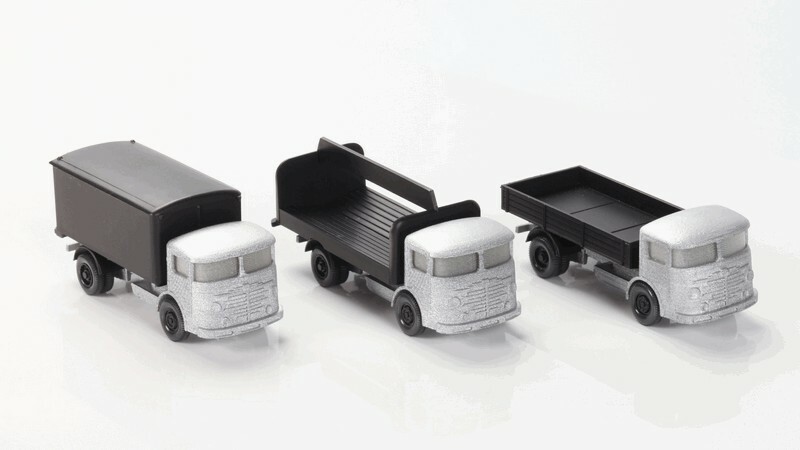 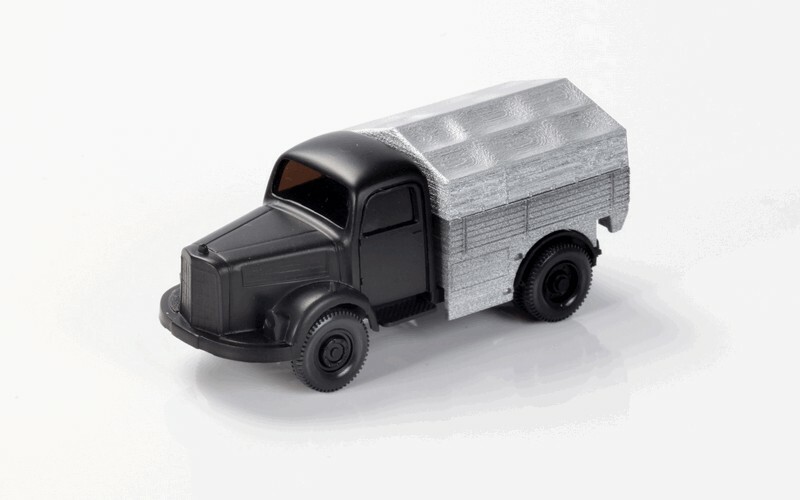 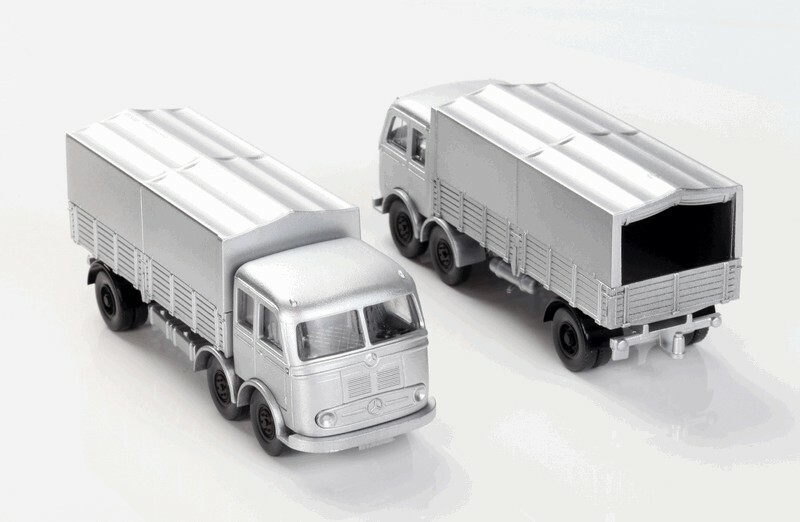 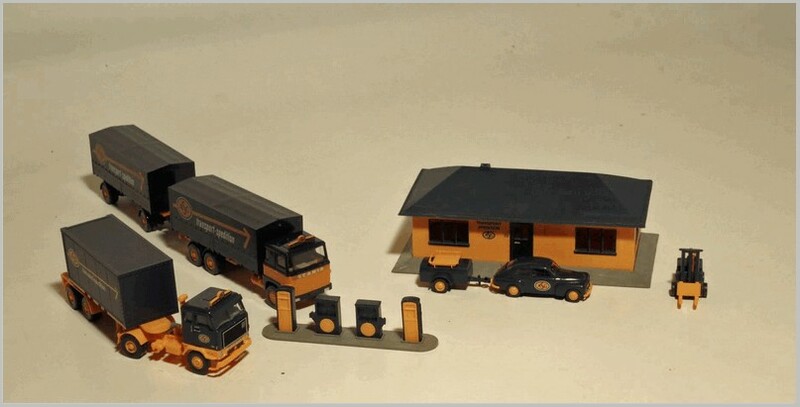 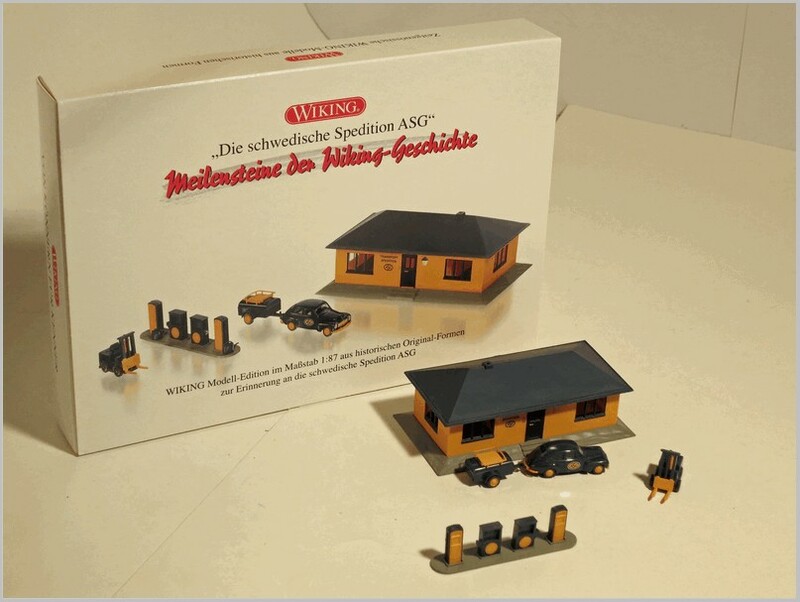 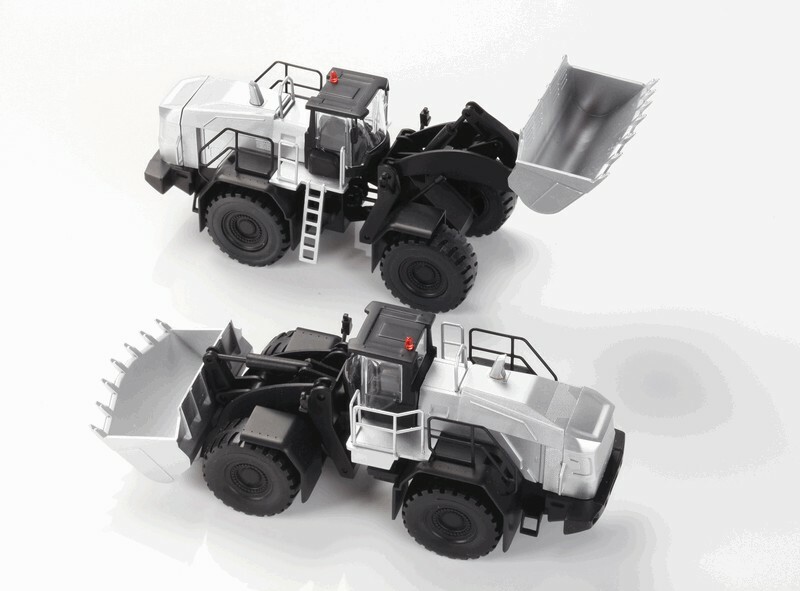 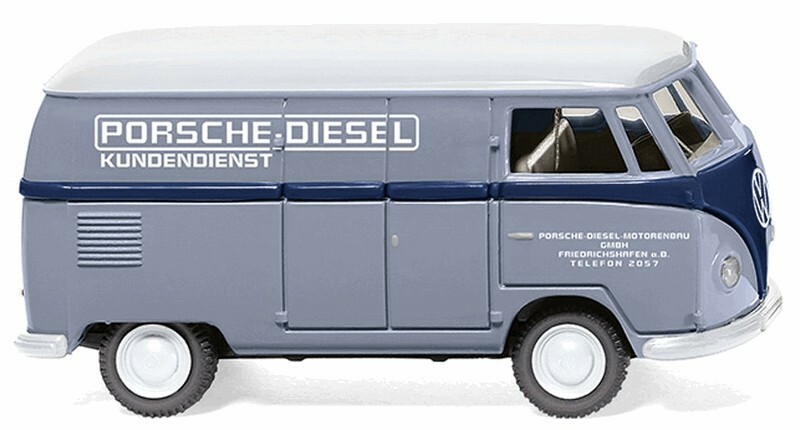 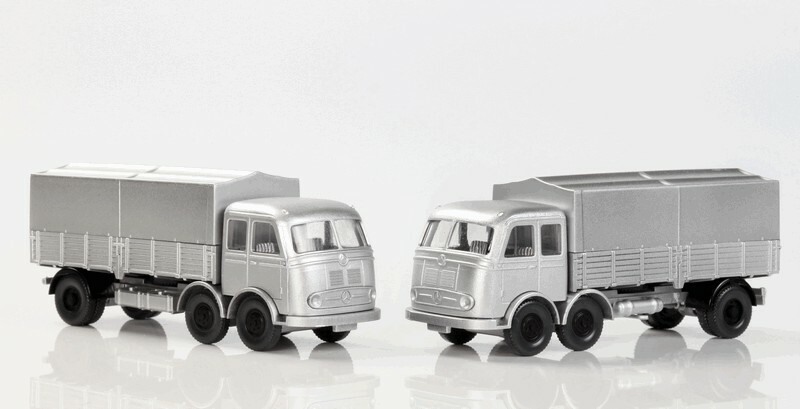 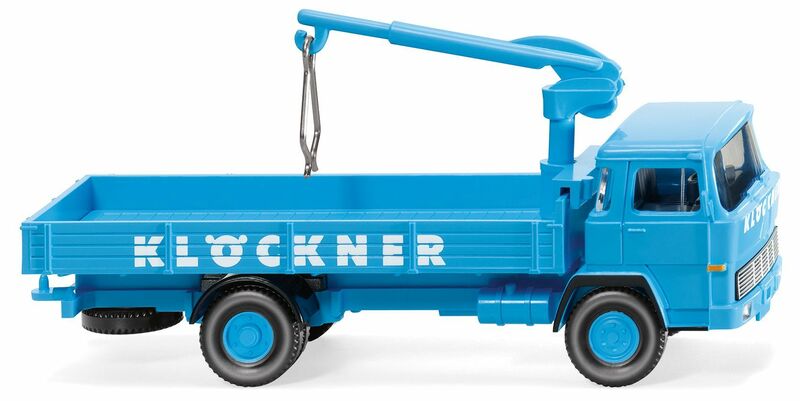 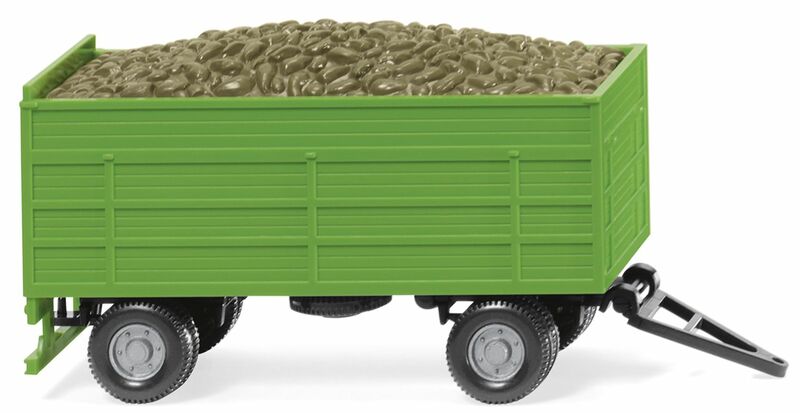 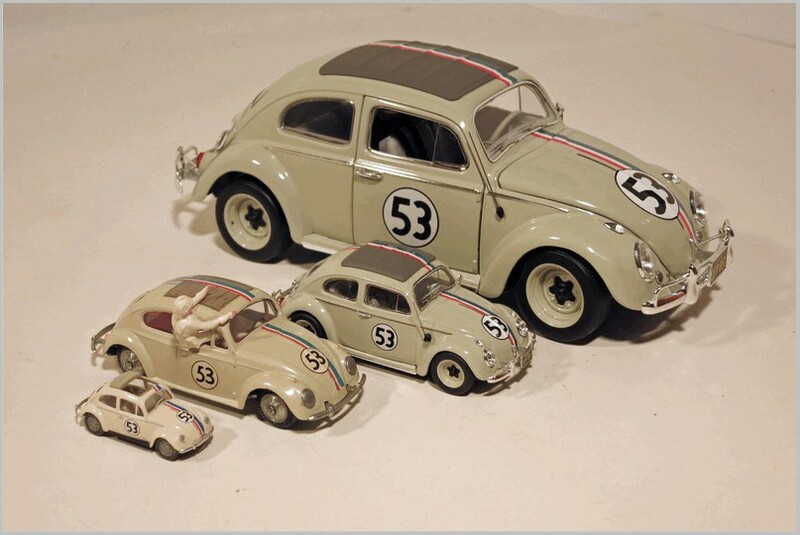 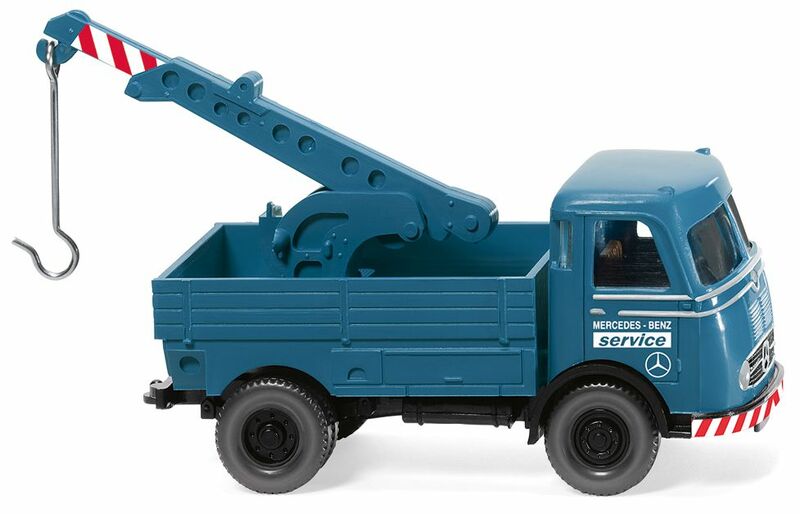 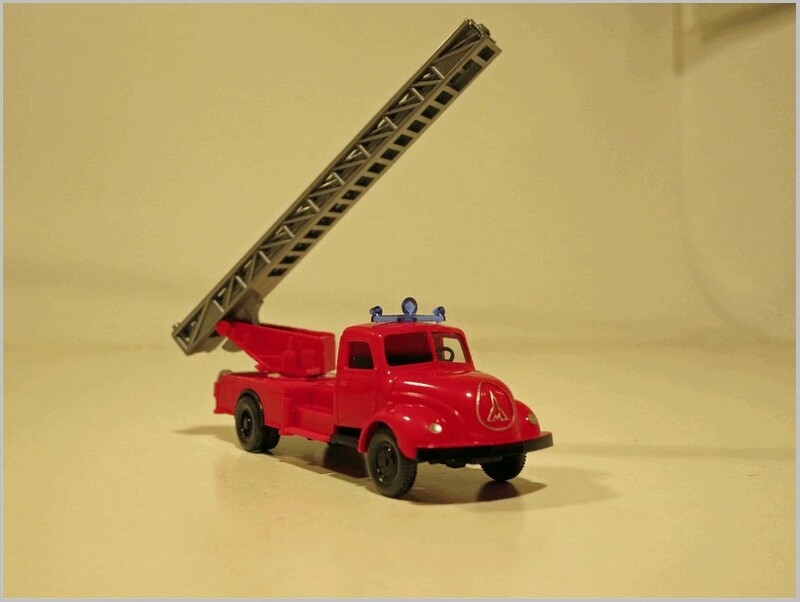 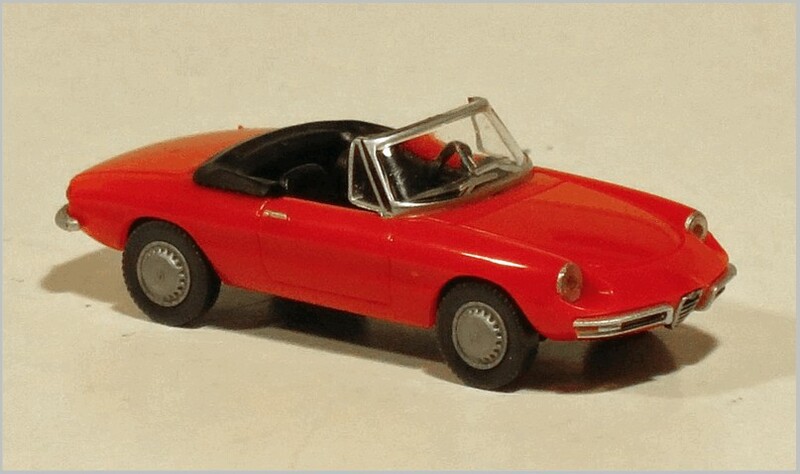 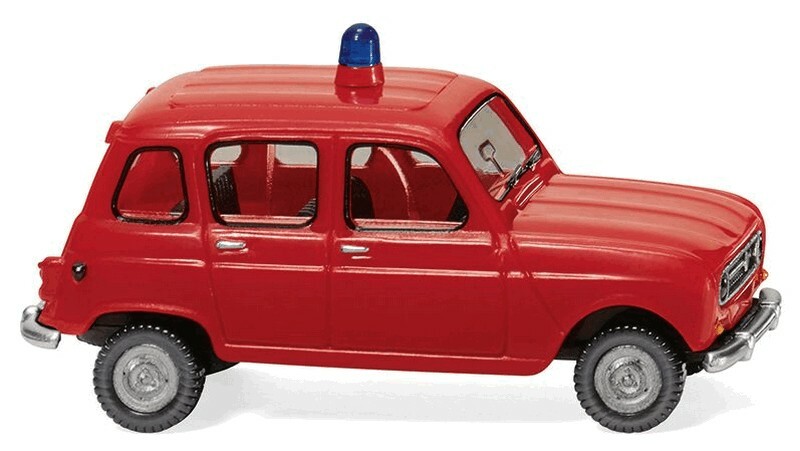 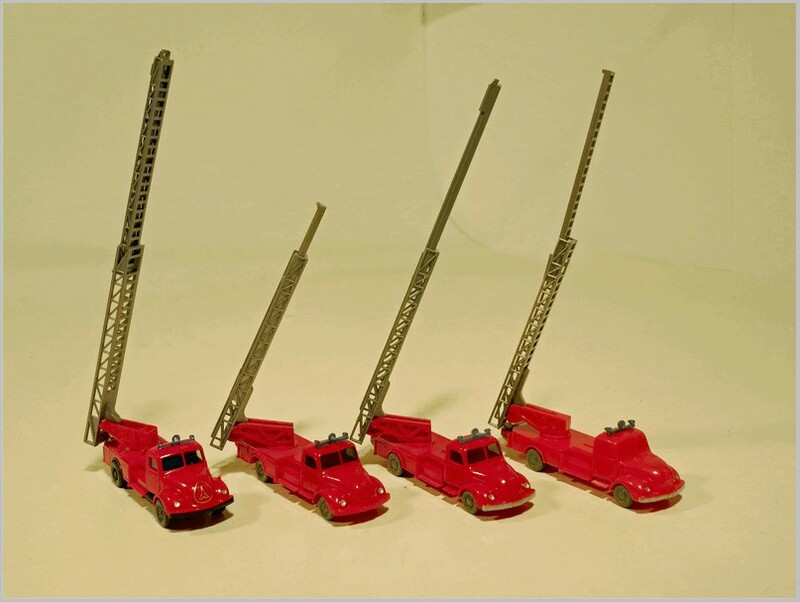 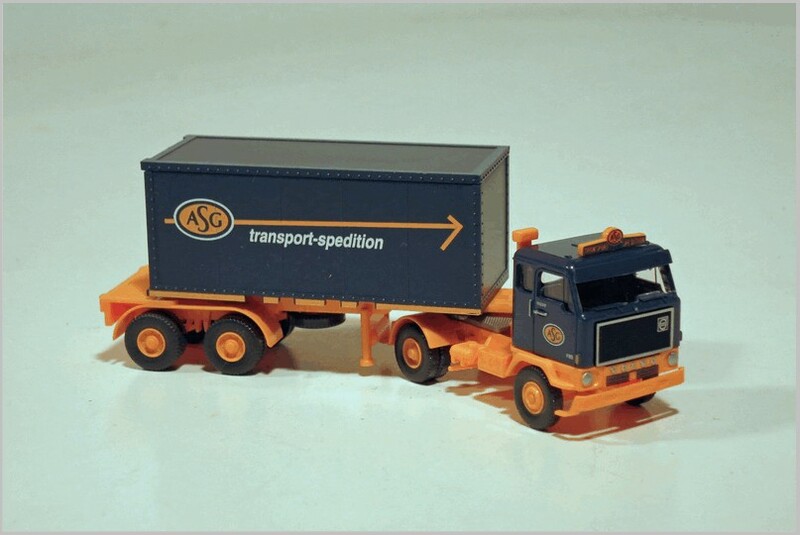 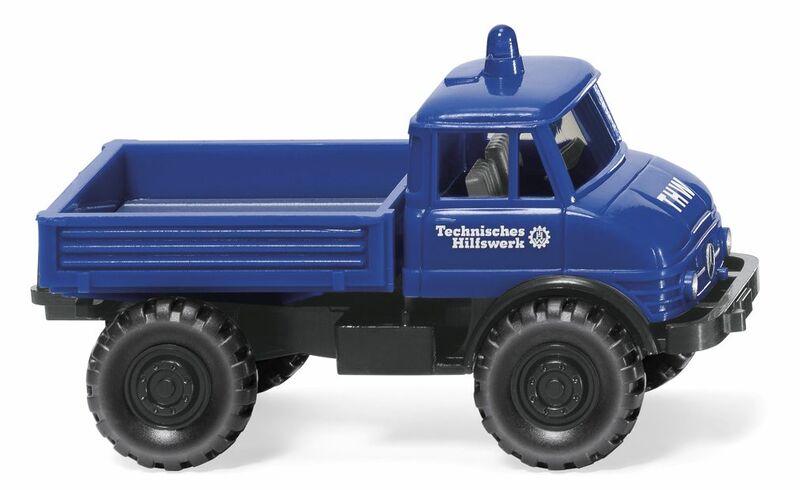 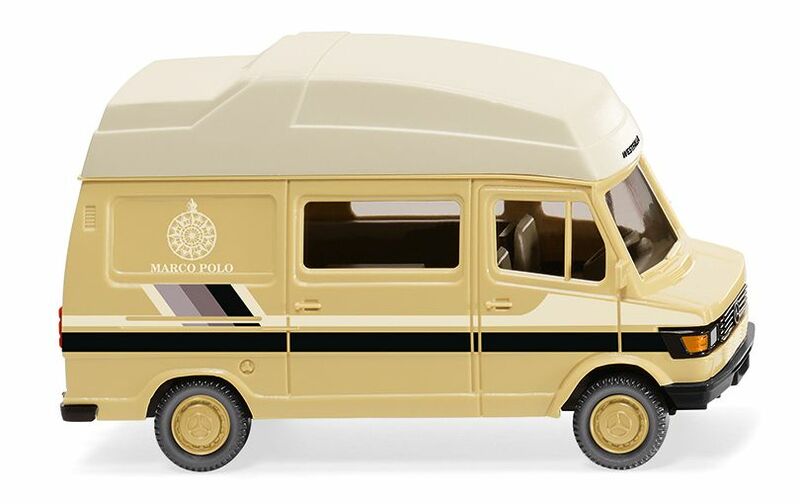 Wiking owner Friedrich Peltzer was able to get substantial orders for such promotional models. 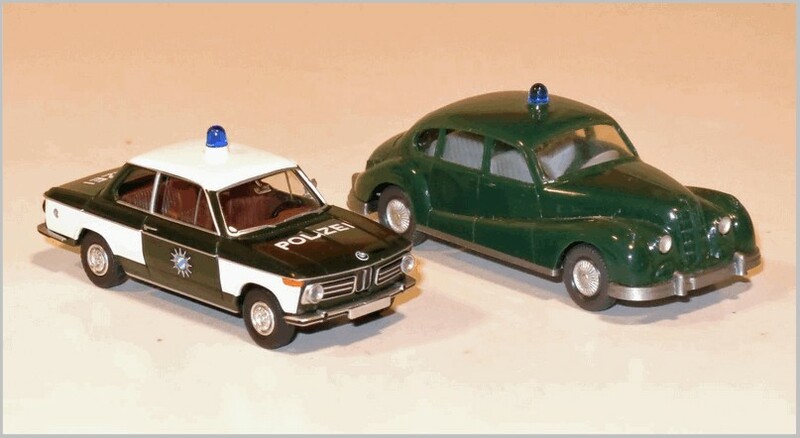 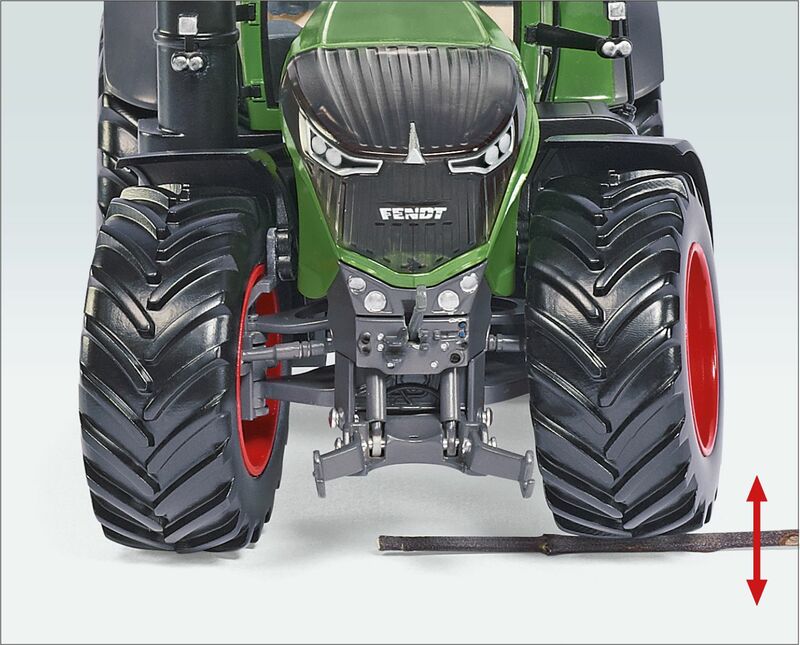 The identifiers of this first version are: a wider front Radiator as well as dummy and convex shaped headlights. 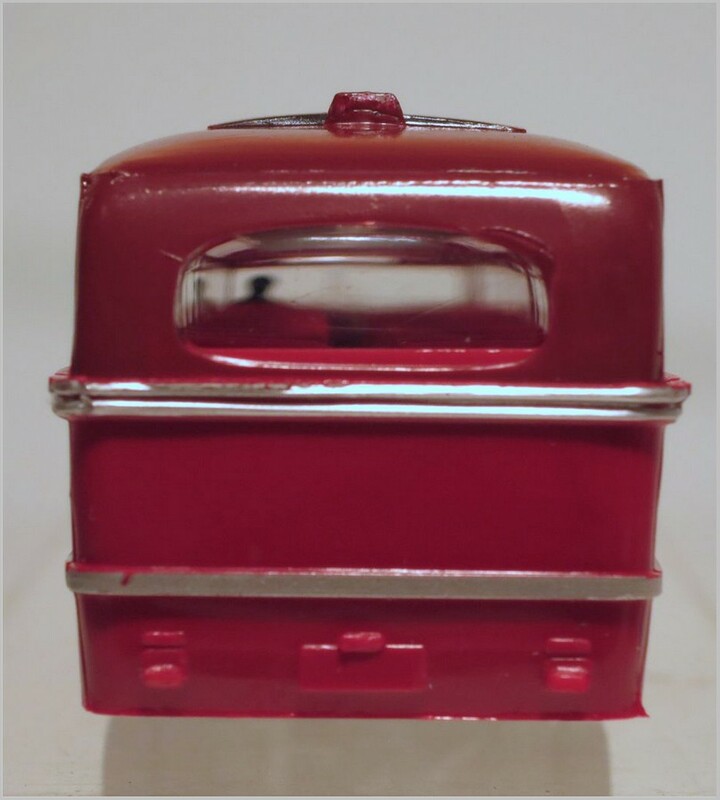 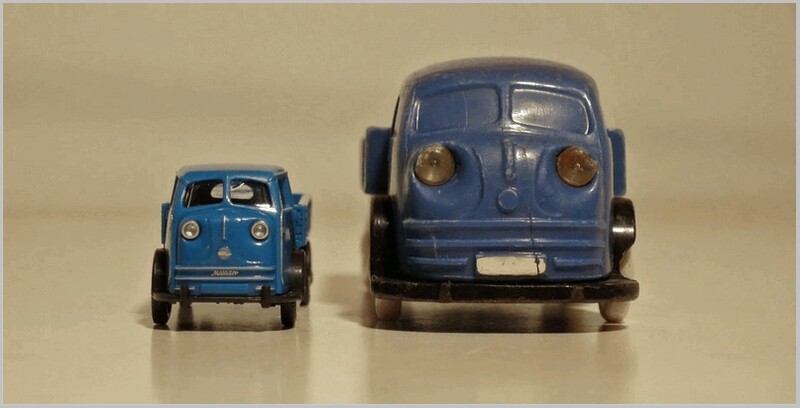 This mould was short lived, a new one was issued 1953 now with concave shaped headlights. 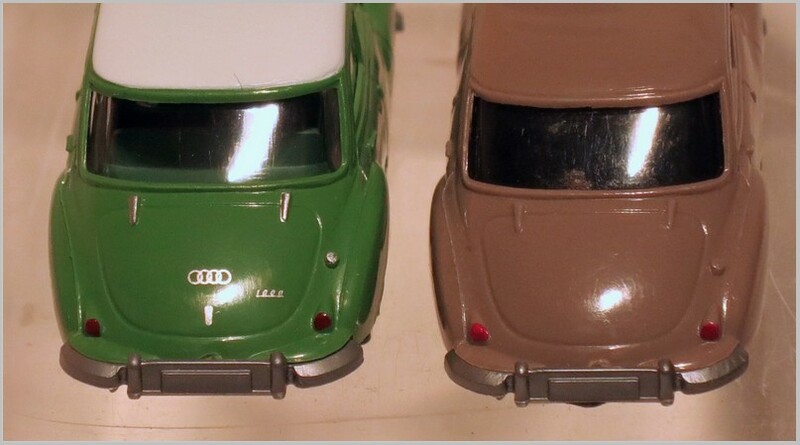 It also had Büssing written to the rear, and a new baseplate which was more authentically modelled. 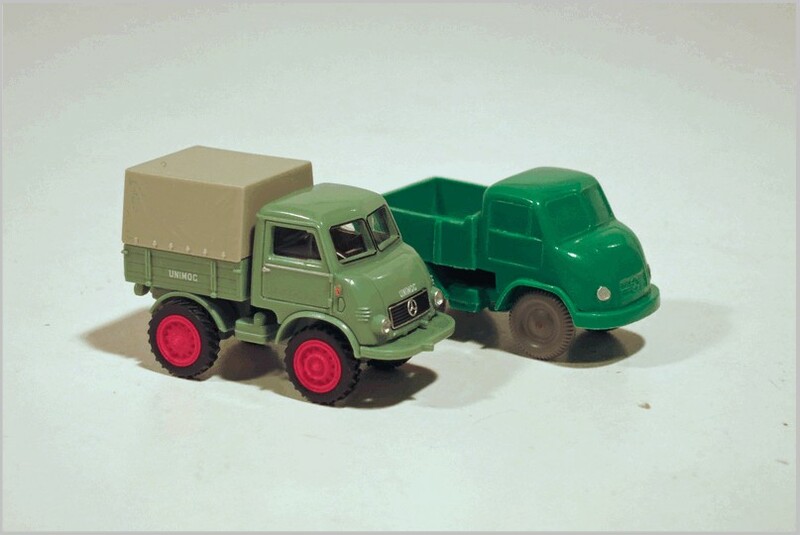 In the early 1960s the mould was reworked again. 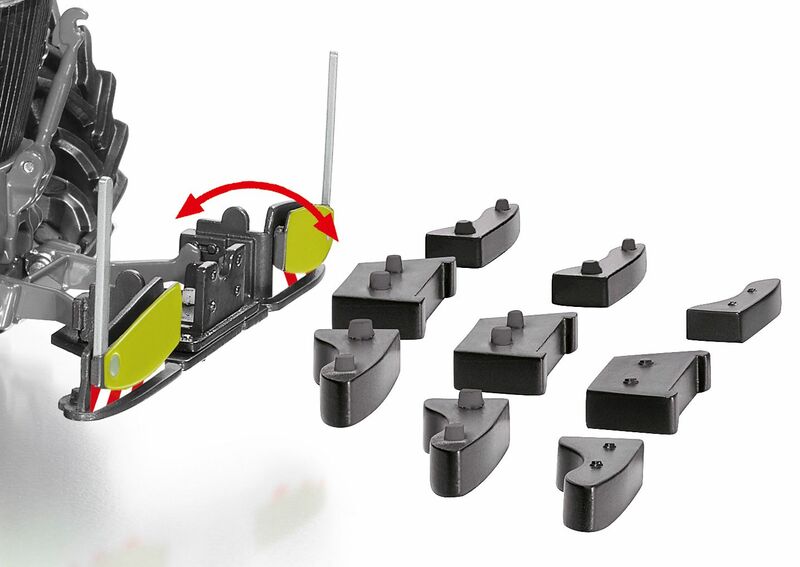 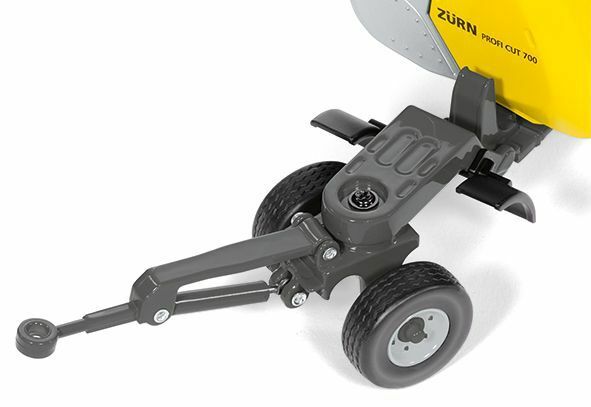 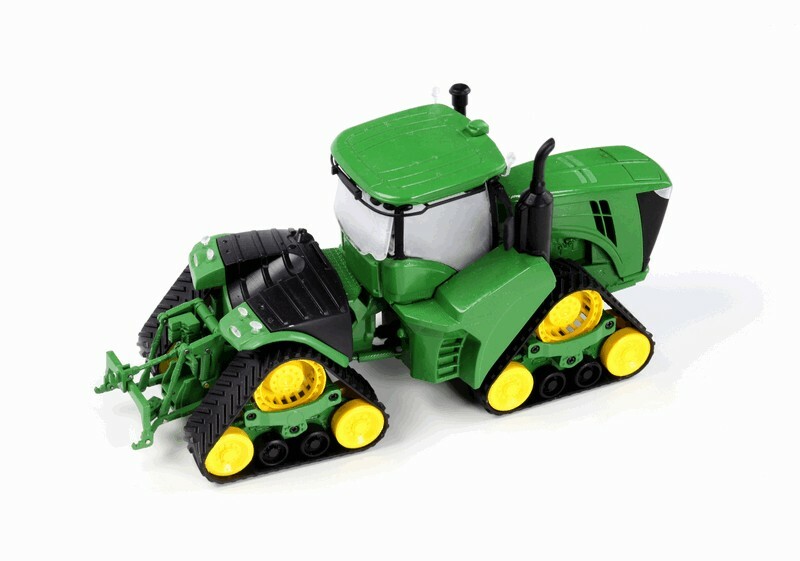 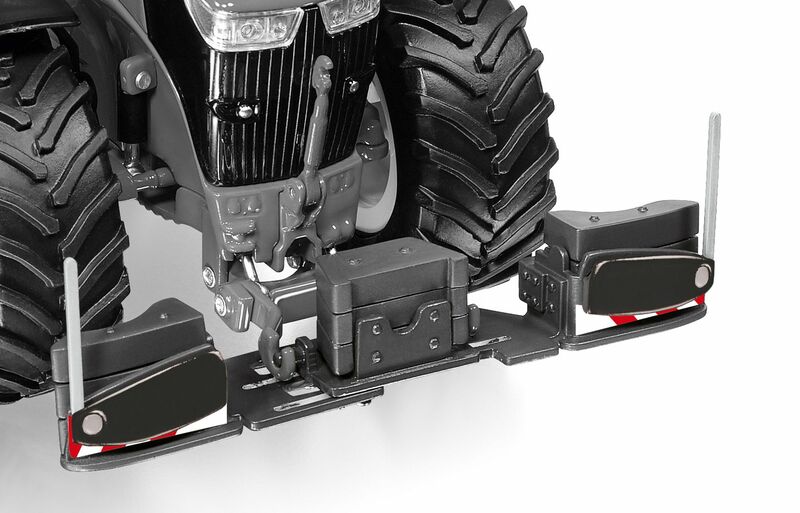 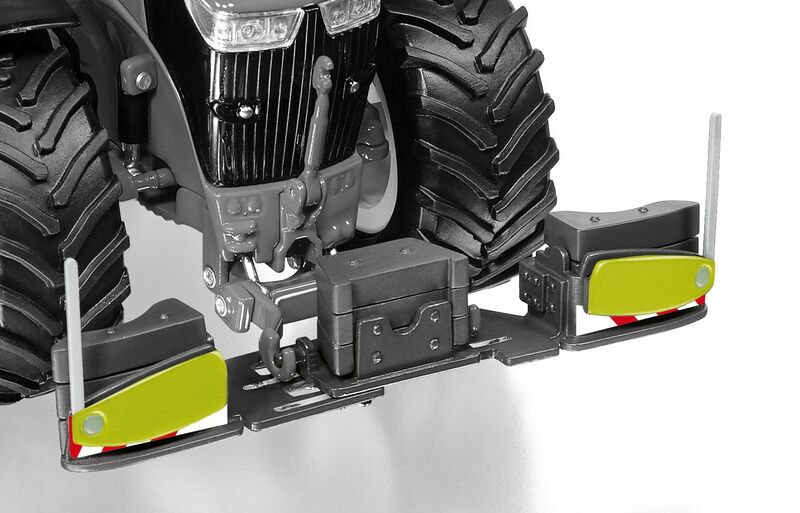 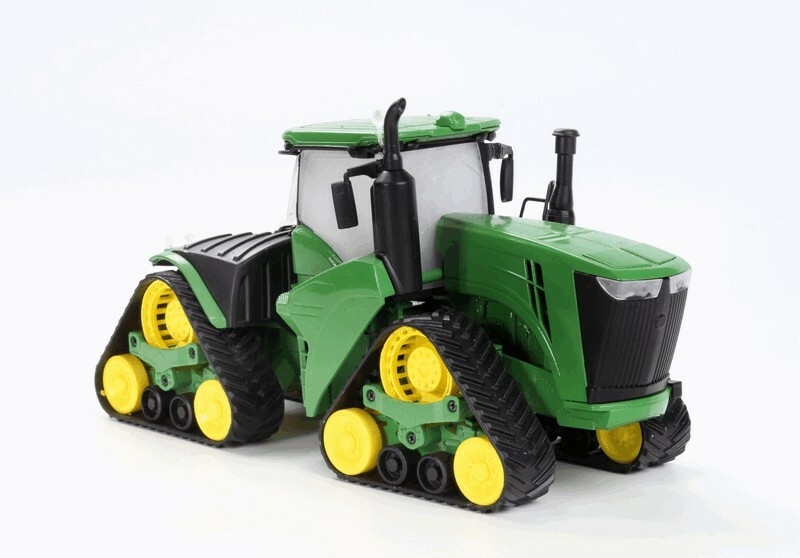 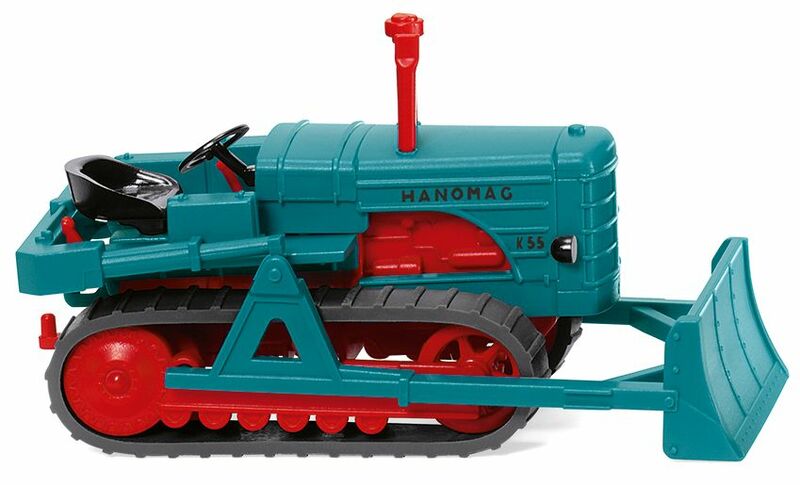 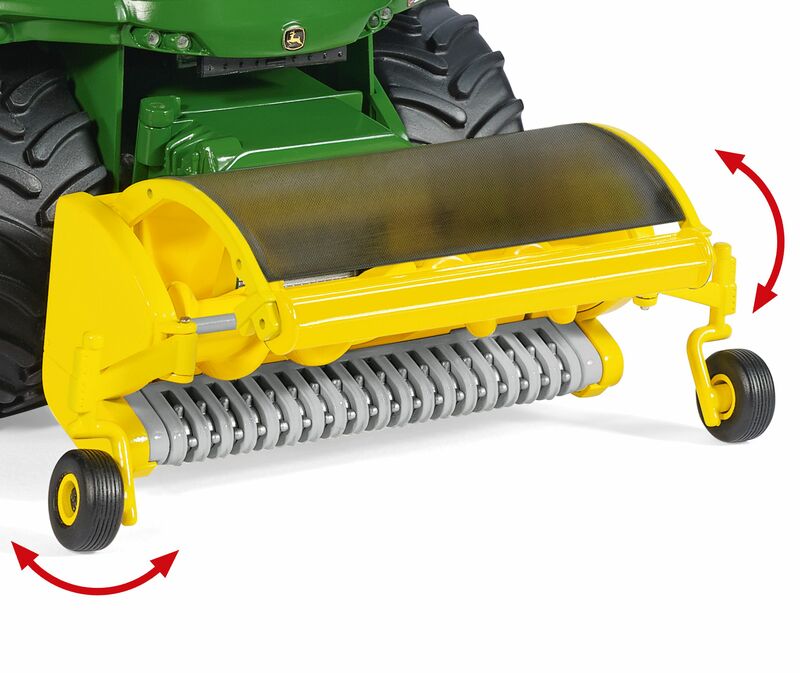 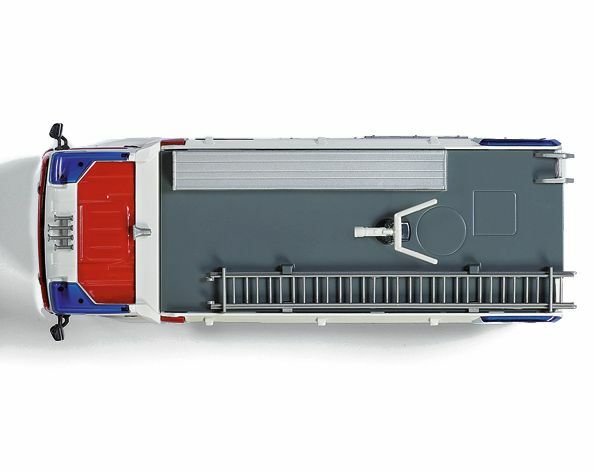 Now the model was issued without Büssing being moulded in and with another new version of the baseplate. 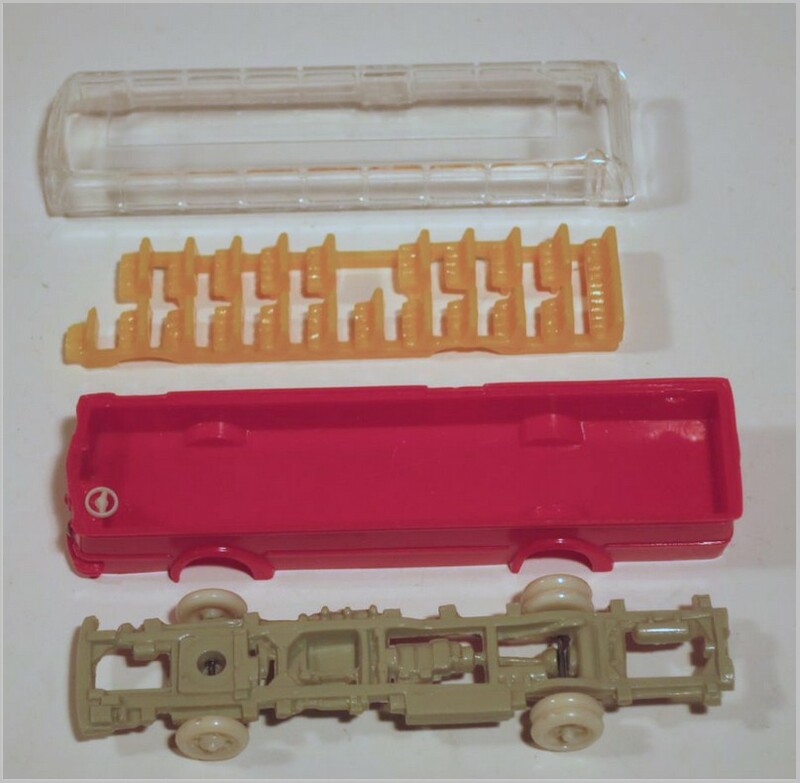 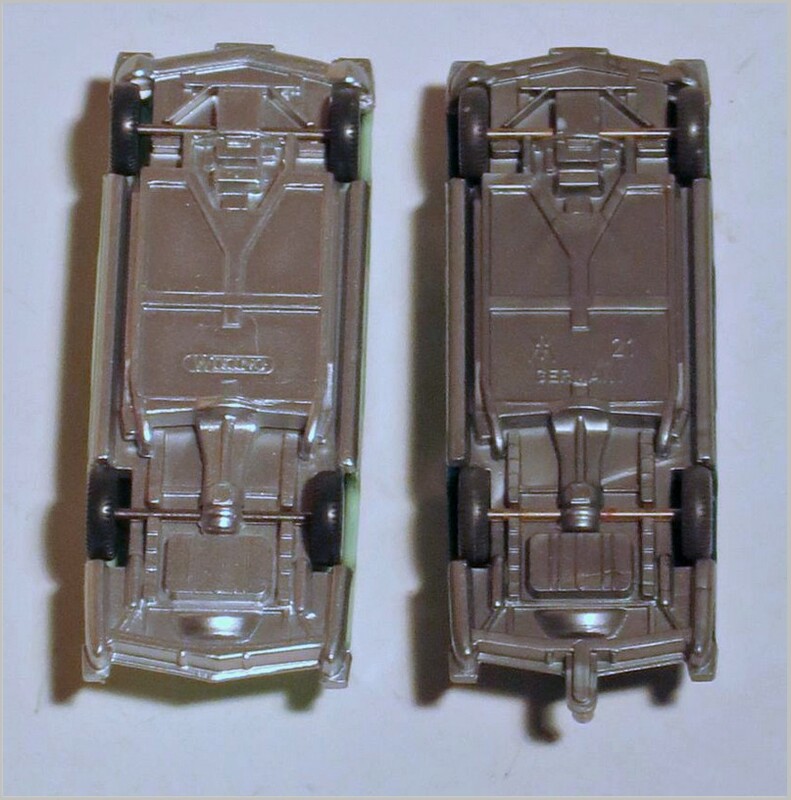 Baseplate, seats and lower body were now fixed together and only the clear plastic roof was detachable. 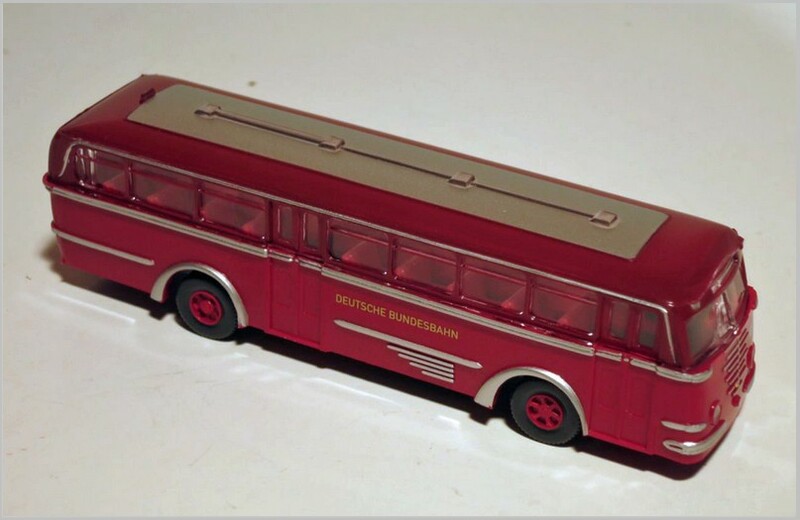 The latest version of this model has now been released painted in the wine red livery of the former “Deutsche Bundesbahn”. 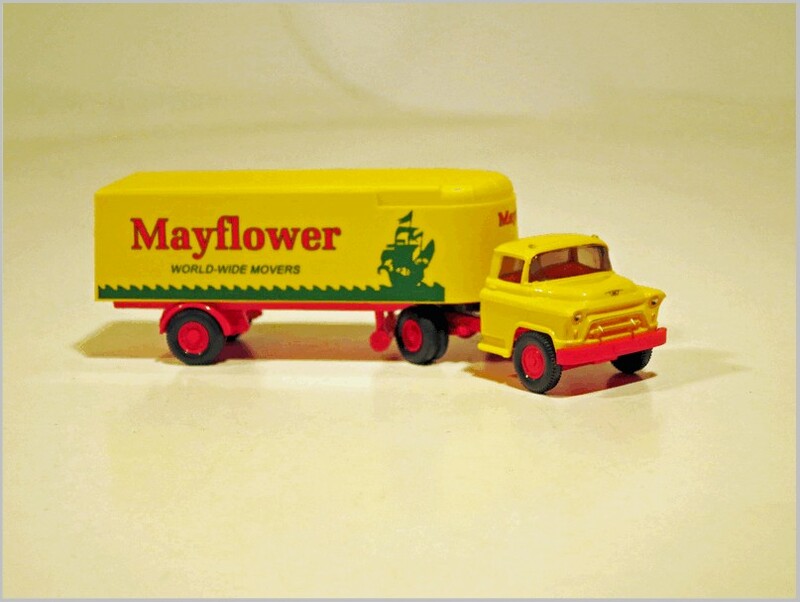 This livery was in use until the 1970s. 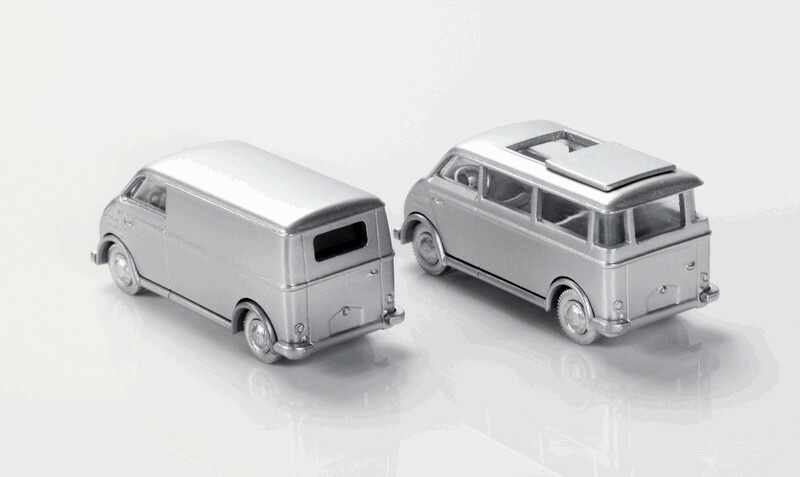 It also has silver printed mouldings for the first time. 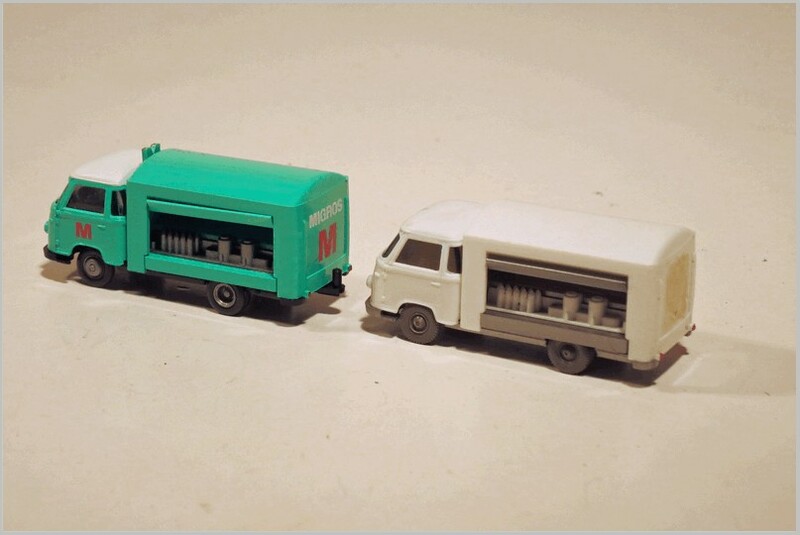 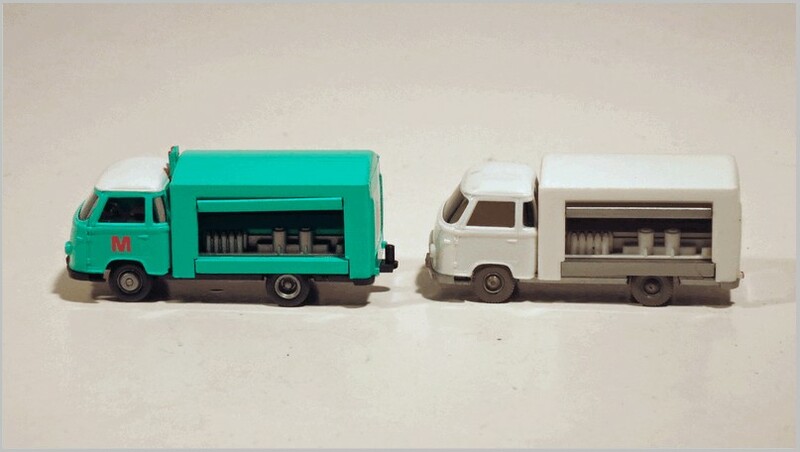 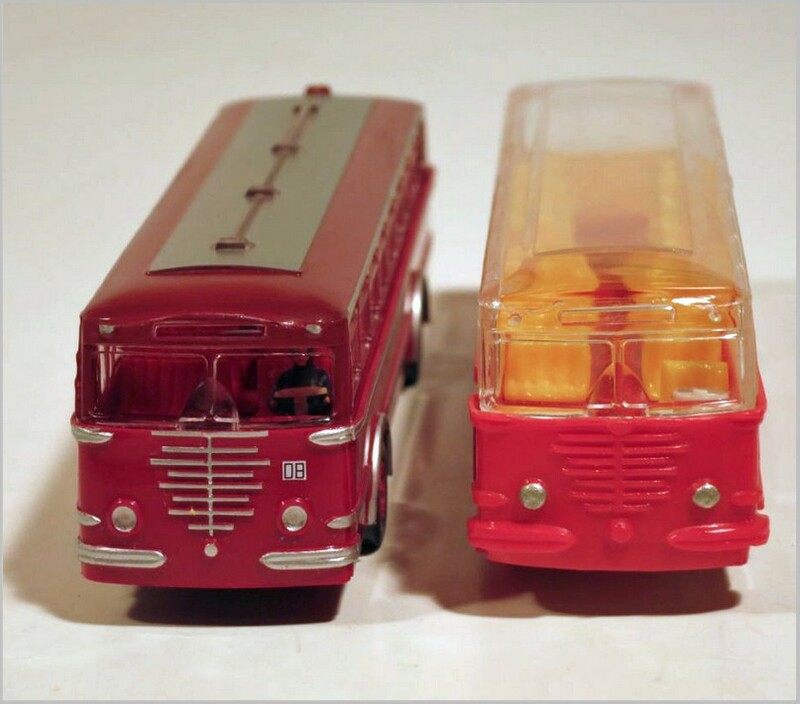 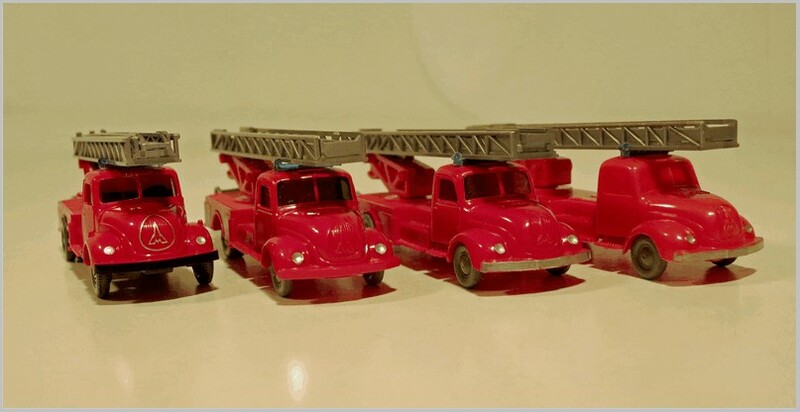 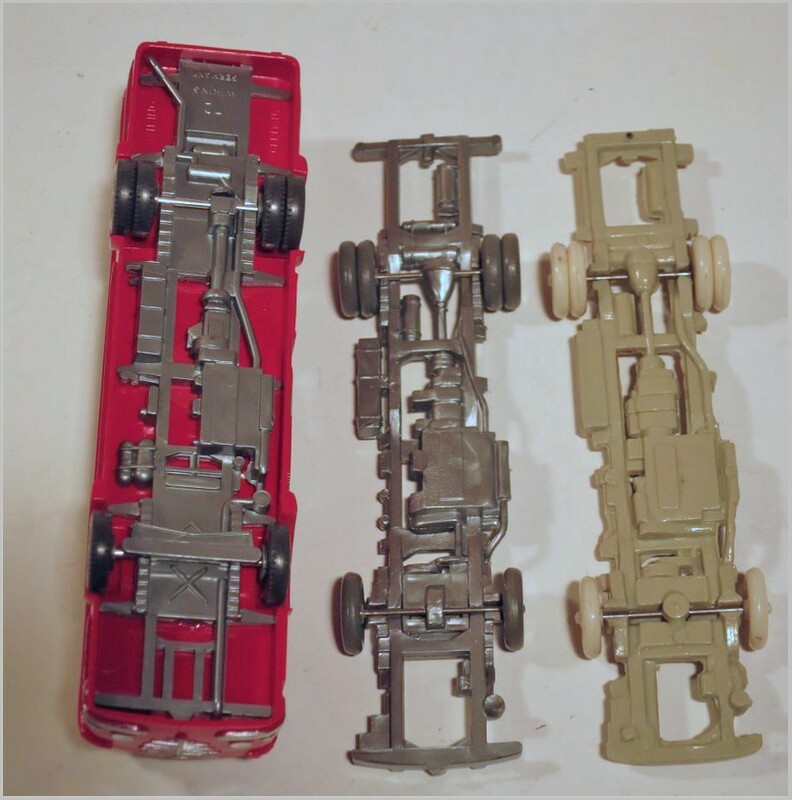 Different versions of the Trambus: from right first one of 1951, to left, the actual re-issue. 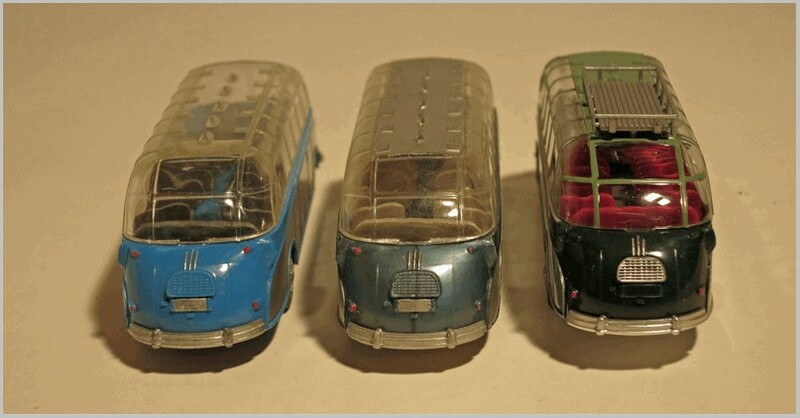 The Trambus of 1951 is shown to the right of photograph. 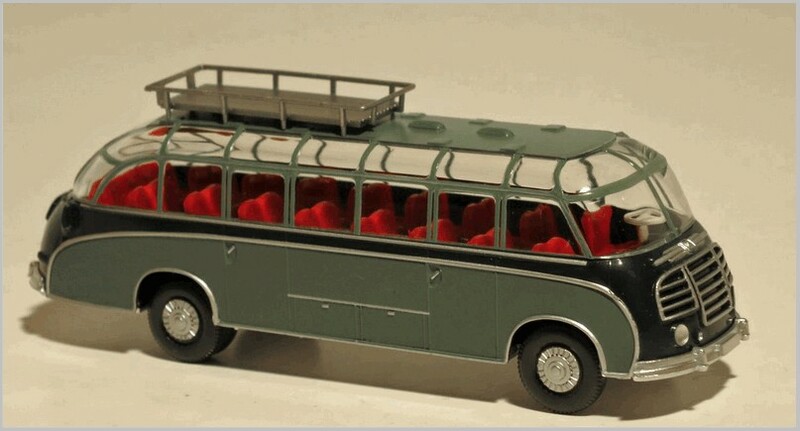 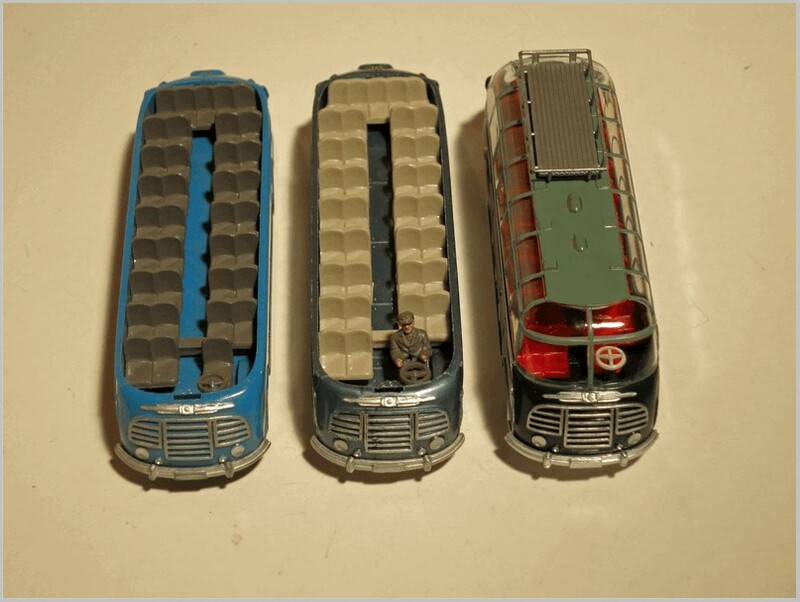 Components of the Trambus from 1951, on the re-issue is only the roof is detachable. 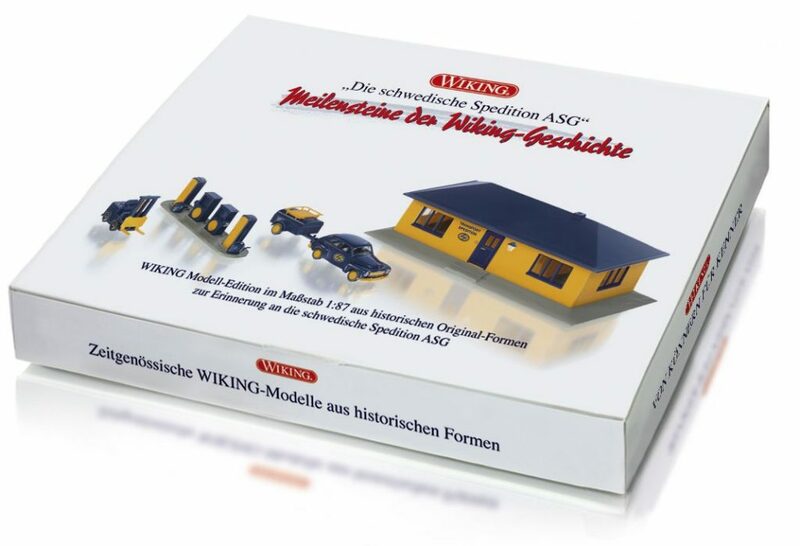 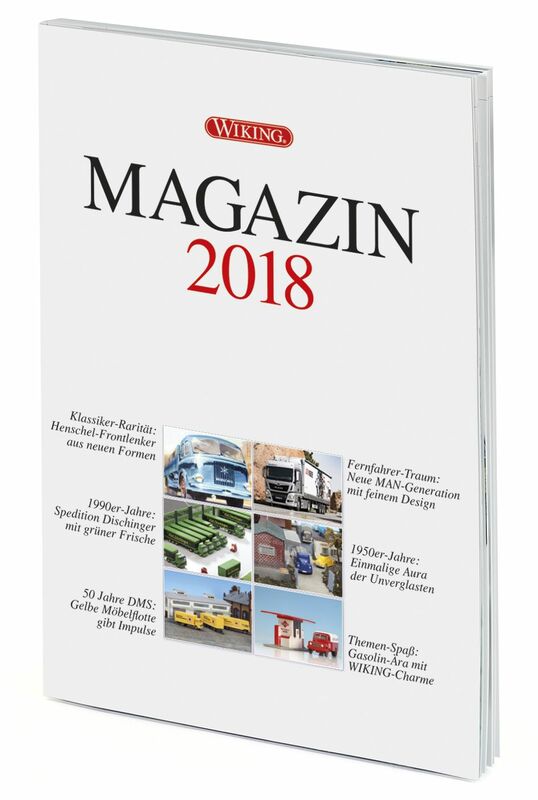 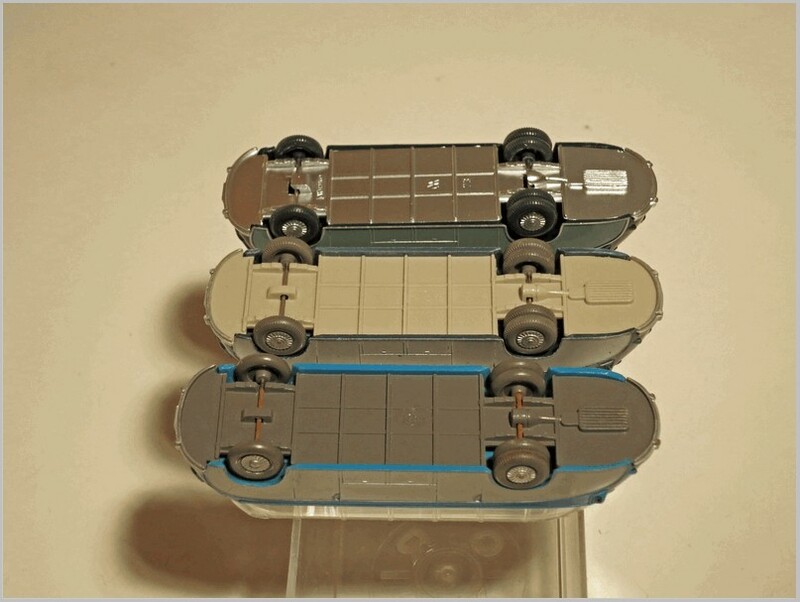 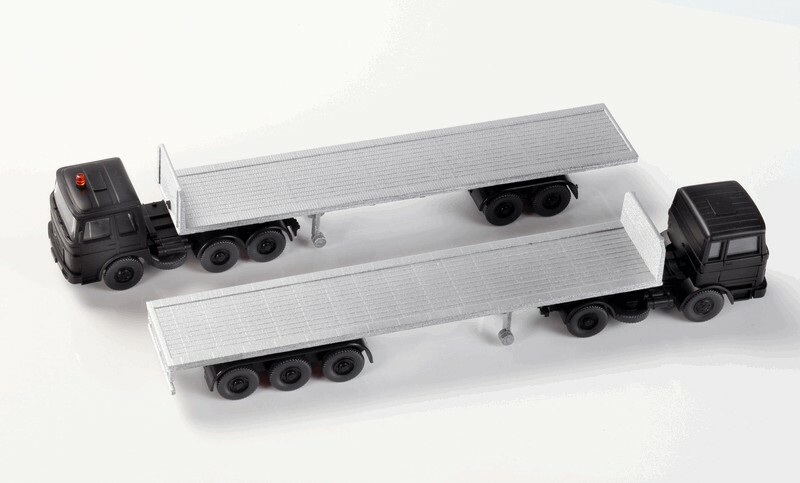 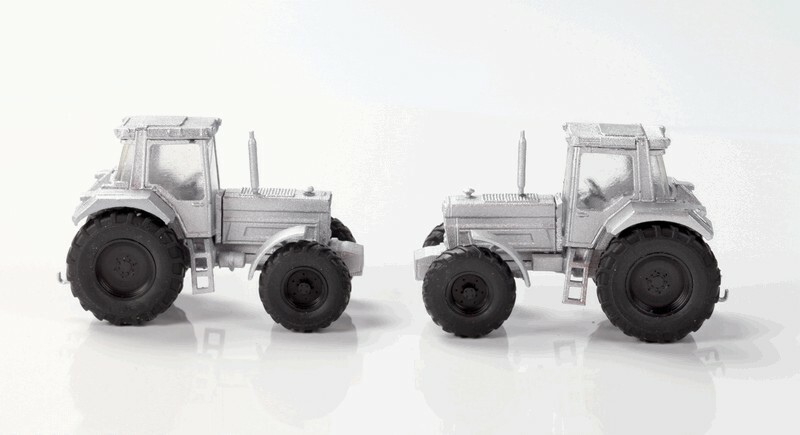 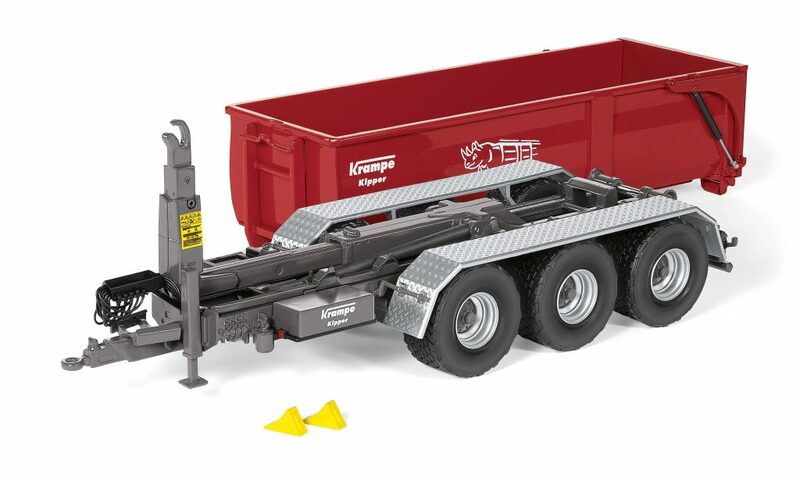 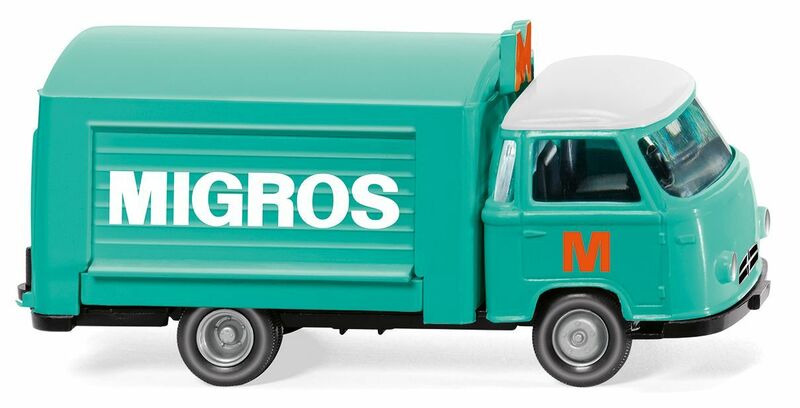 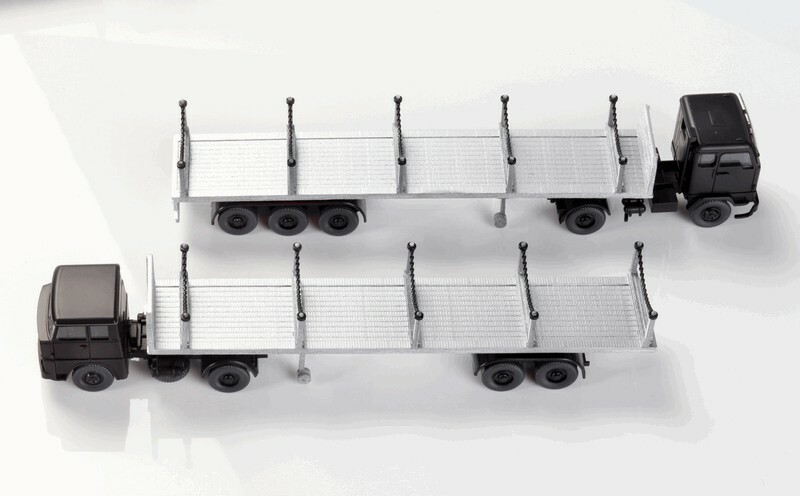 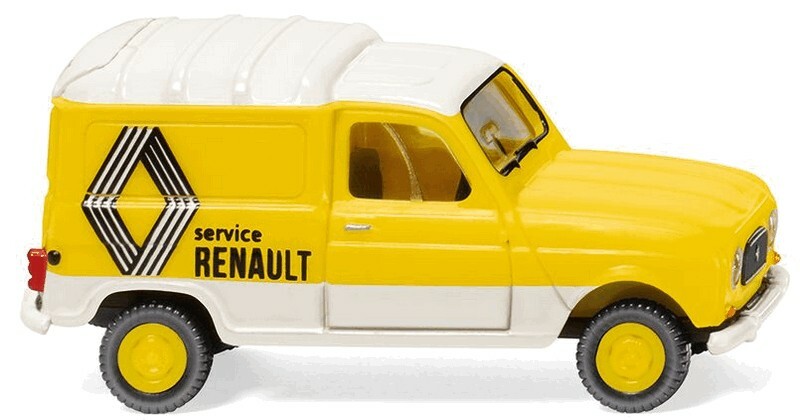 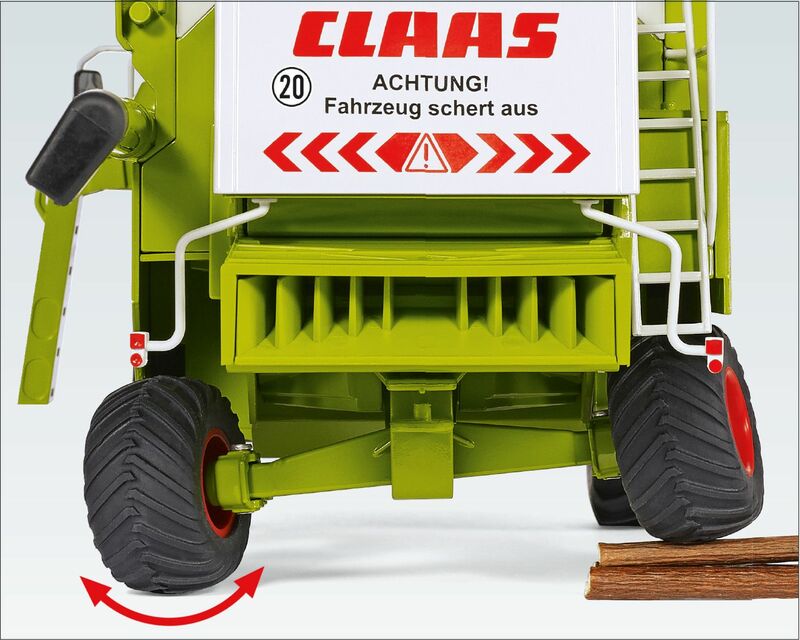 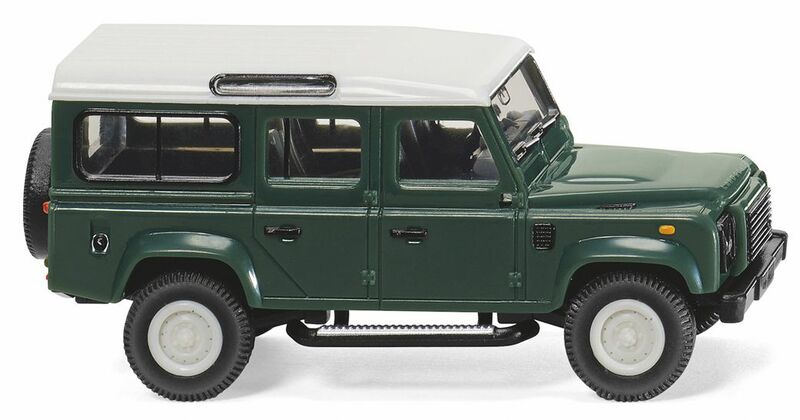 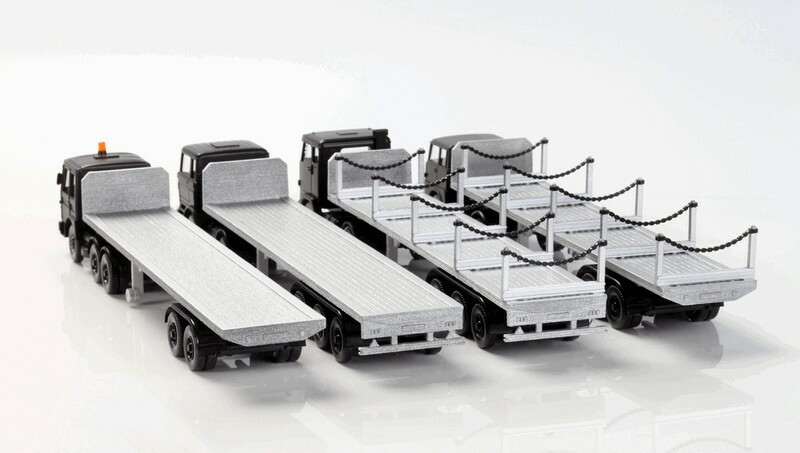 The models shown are all expected to be released by Wiking in February 2018.